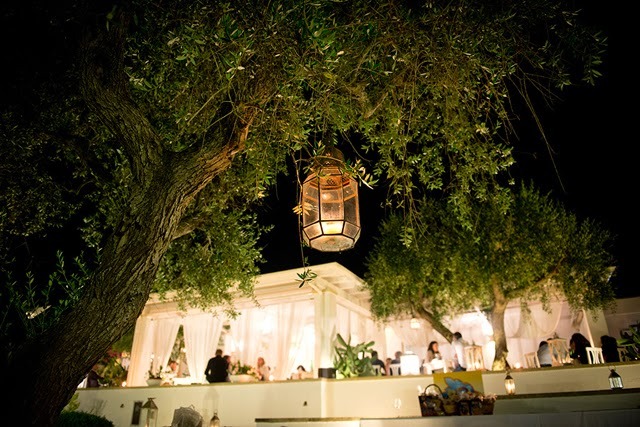 Home»Feed aggregator»Sources»Read our latest blog entries! 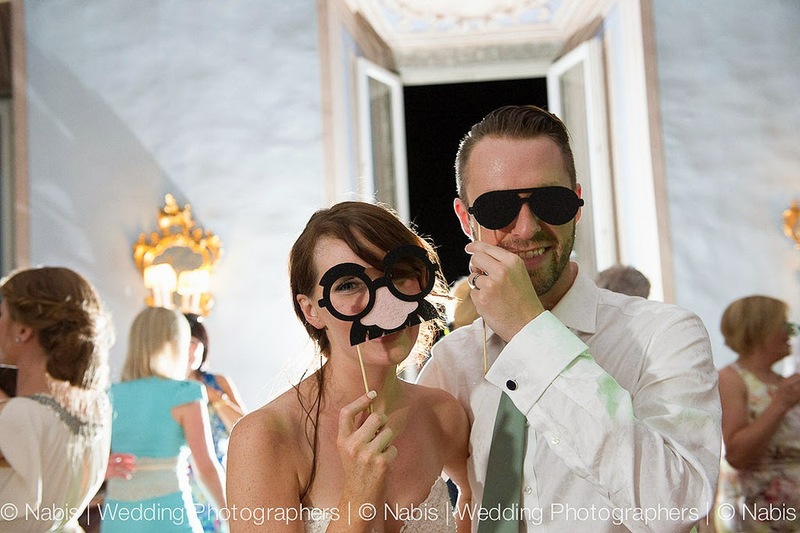 Read our latest blog entries! 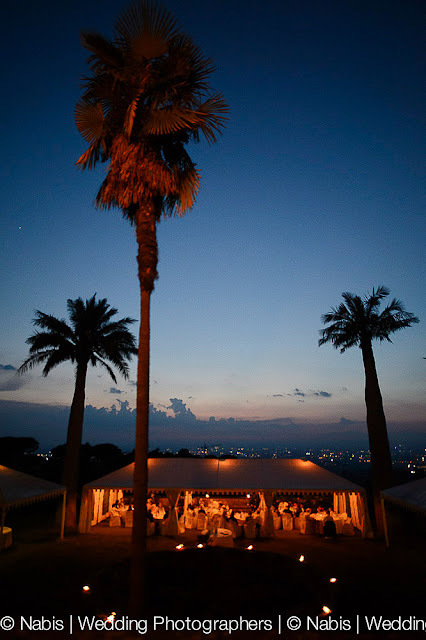 Tenuta Colfiorito is an excellent choice “off the beaten track” as this is wonderful wedding venue in the beautiful countryside close from Rome. 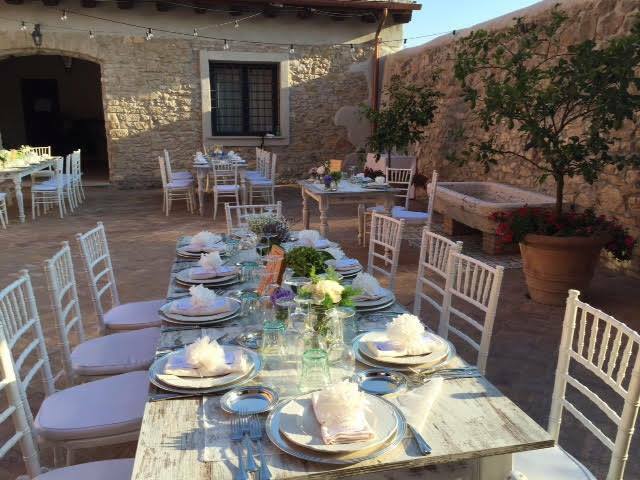 Here you can welcome your guests the night before the Wedding with a Pizza Party – pizza straight from the wood fire oven of the estate! 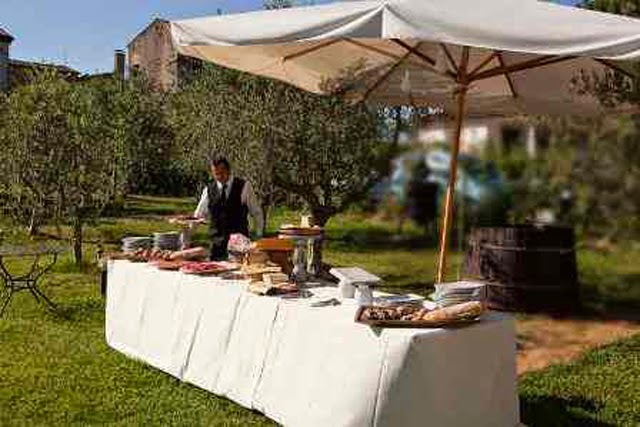 Or even a barbeque with local meats! 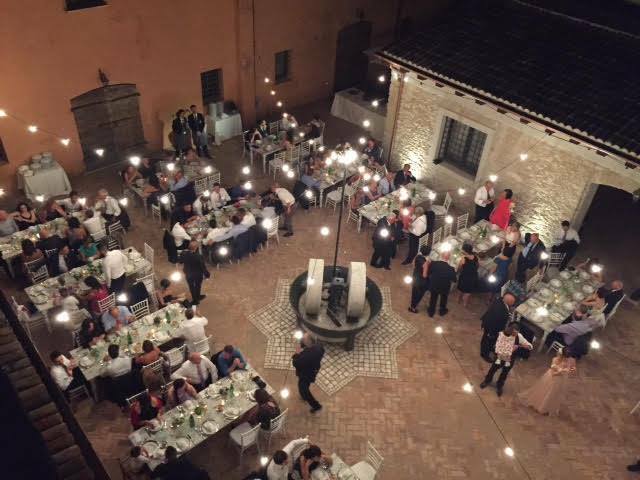 Have the wedding reception the day afetr at dinner time outdoors in the courtyard of the estate which can be decorated with charming fairy lights and dance until early morning hours! The next day, a relaxing brunch by the pool with wine tasting …. A really perfect way to say thank you and goodbye to all Guests! 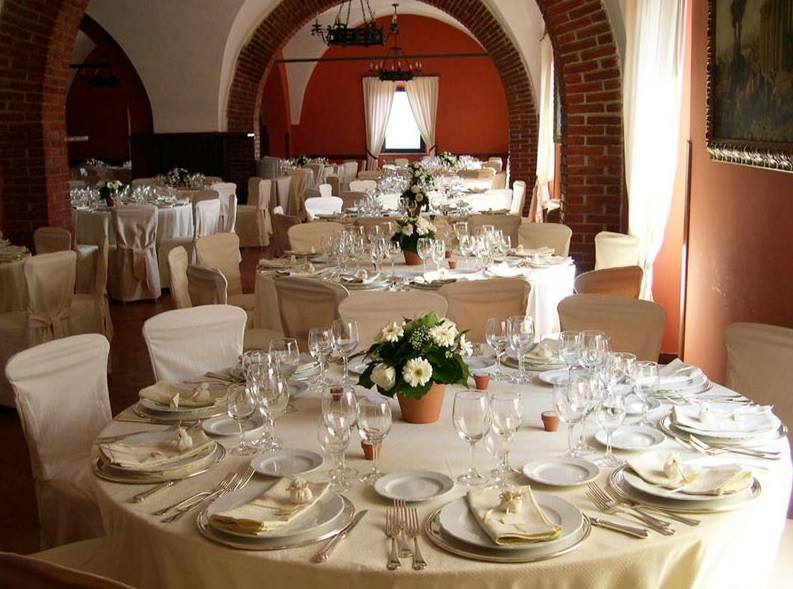 This venue can accommodate up to 50 people in different apartments located in 4 comfortable and newly renovated farmhouses. 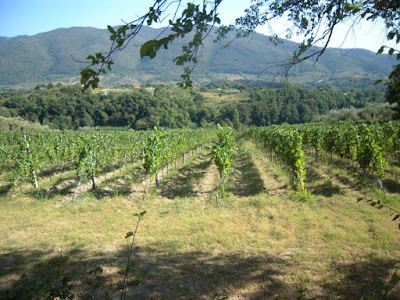 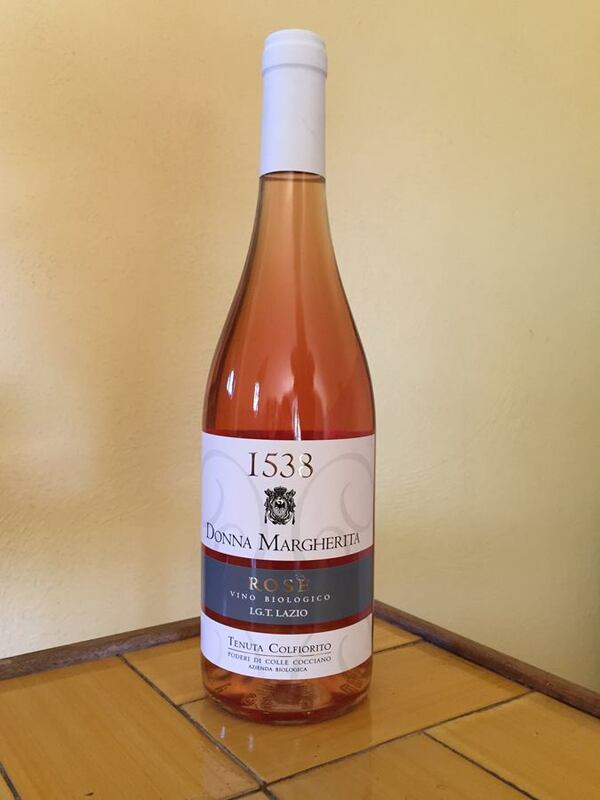 Tenuta Colfiorito farm preserved the tradition of making organic wine (white, red and Rosè!) and oil. 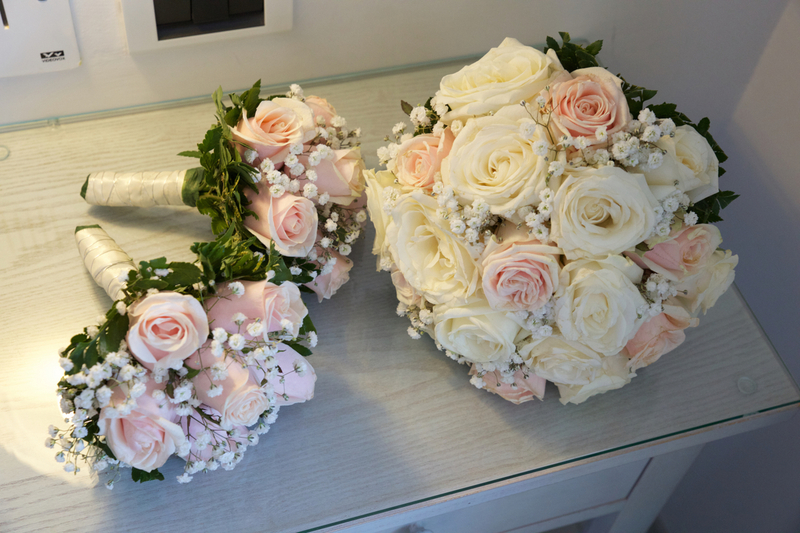 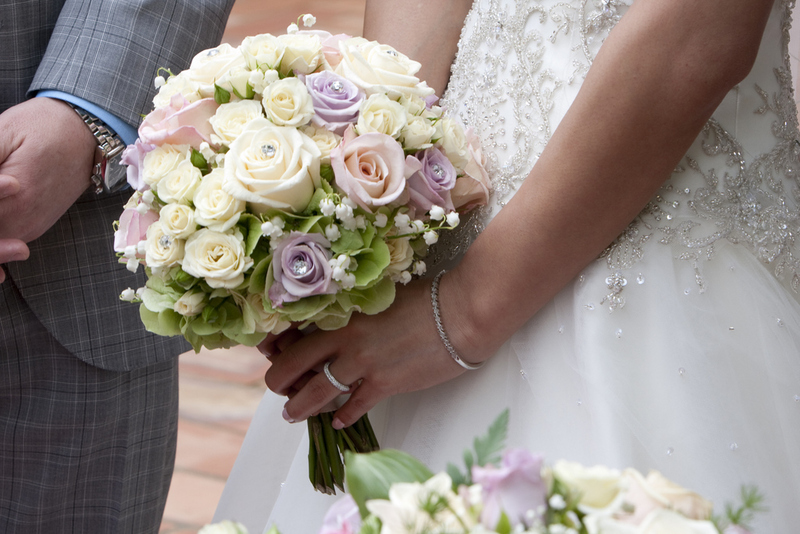 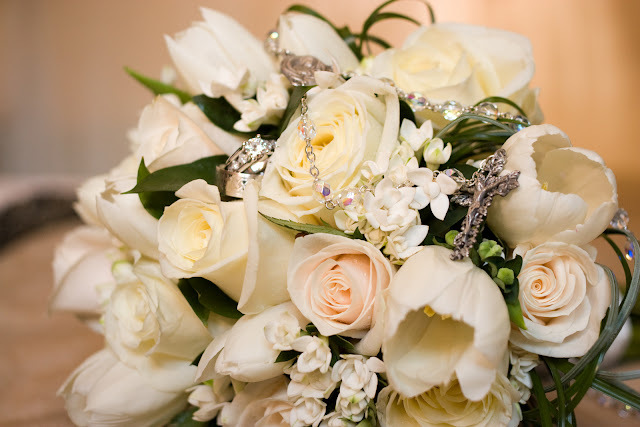 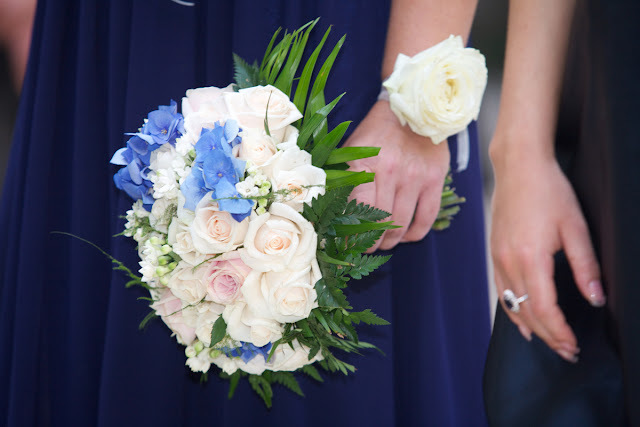 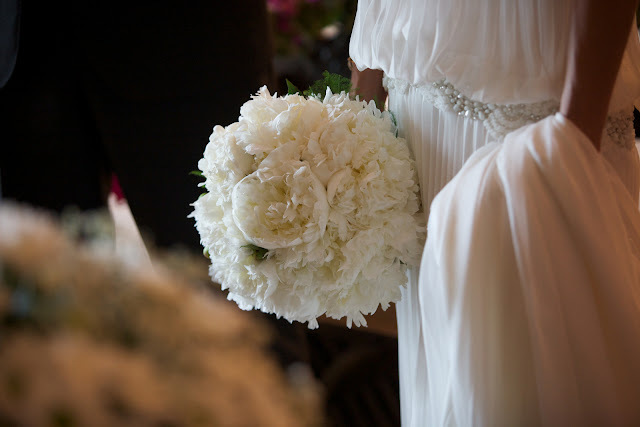 Some of our favourite Bridal Bouquets by our Italian wedding florist "Bottega dei Fiori"
Highlights of the Wedding of Adrian and Gillian from Ireland with 90 guests travelling from Ireland, UK, US and Australia. 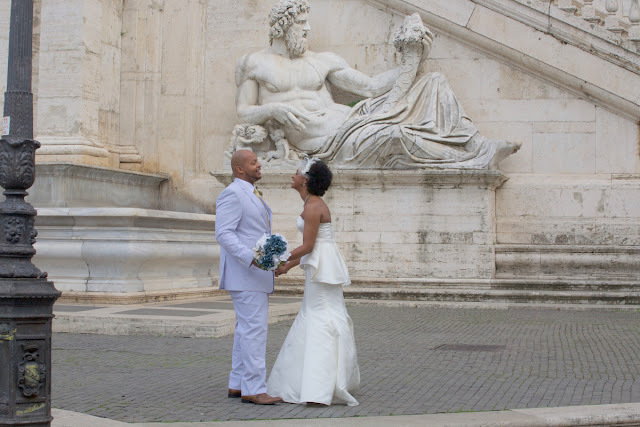 Wonderful pictures in Rome of the happy couple. 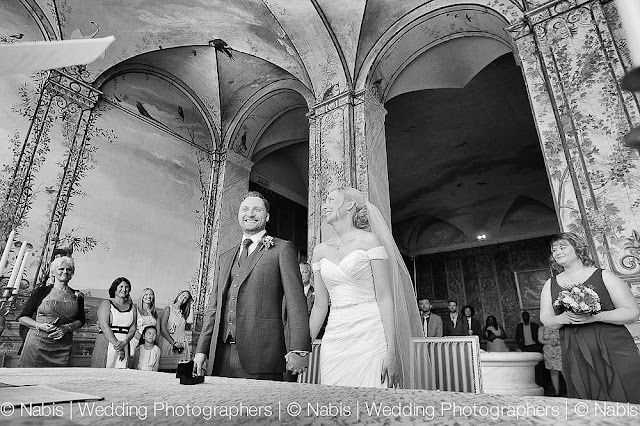 Many thanks to MB Fotografia for sharing the beautiful wedding photos. 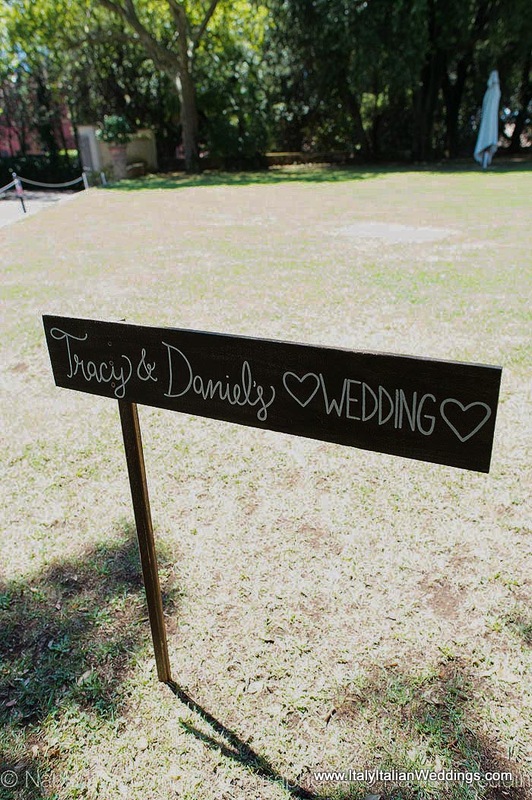 Real Wedding! 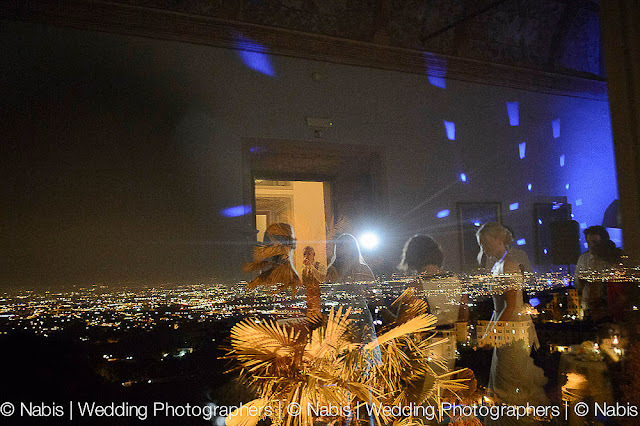 Highlights of a Wedding organized by Daniela Castellarin of www.ItalyItalianWeddings.com at Villa Grazioli near Rome with beautiful views over the Eternat City! 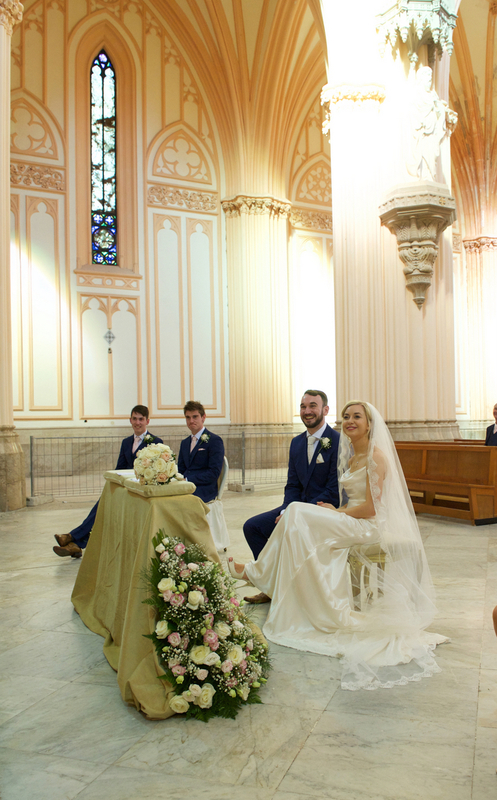 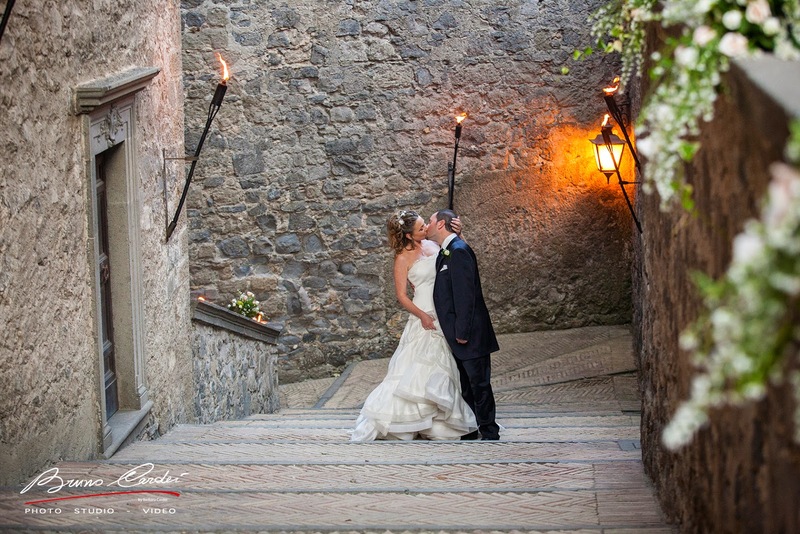 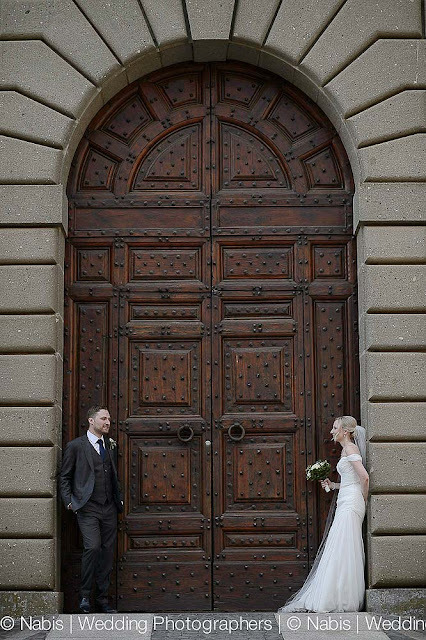 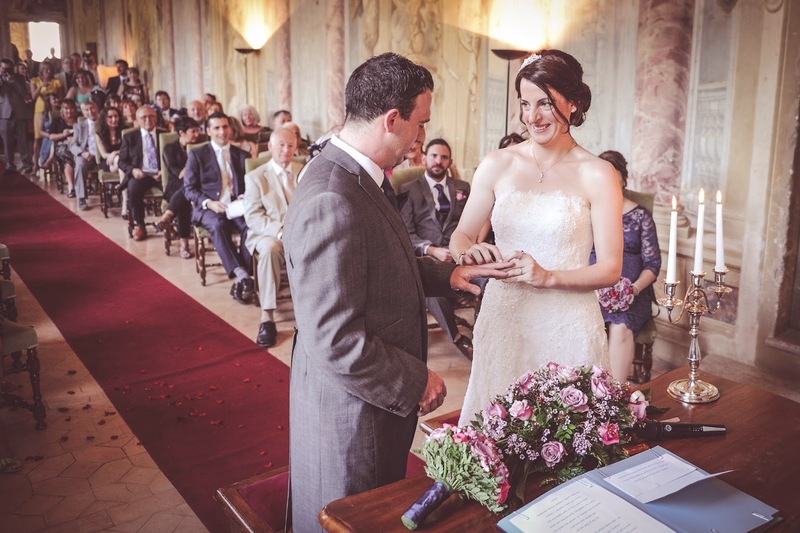 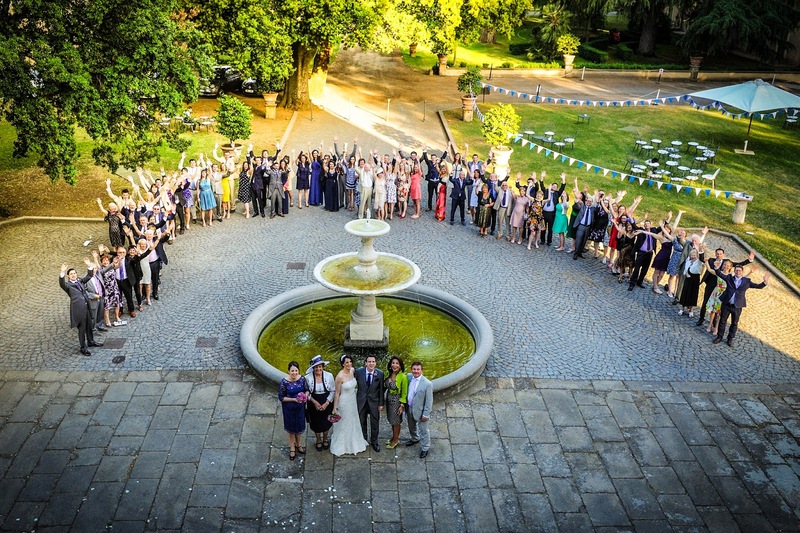 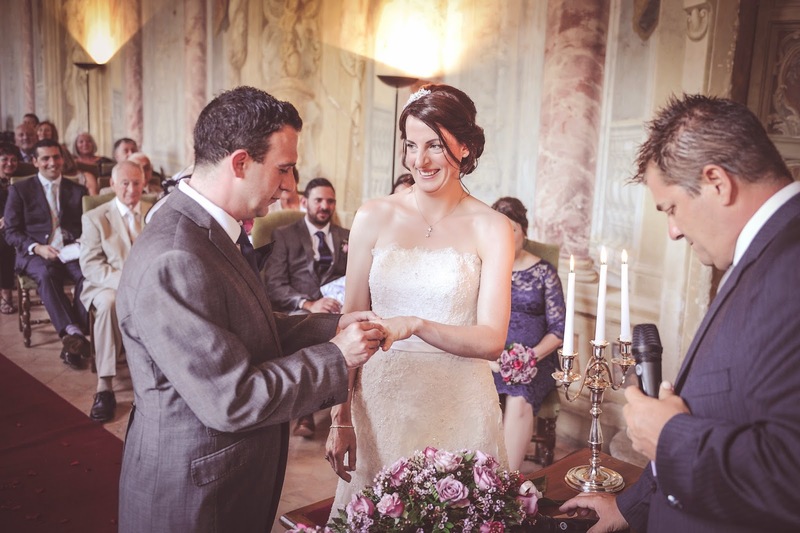 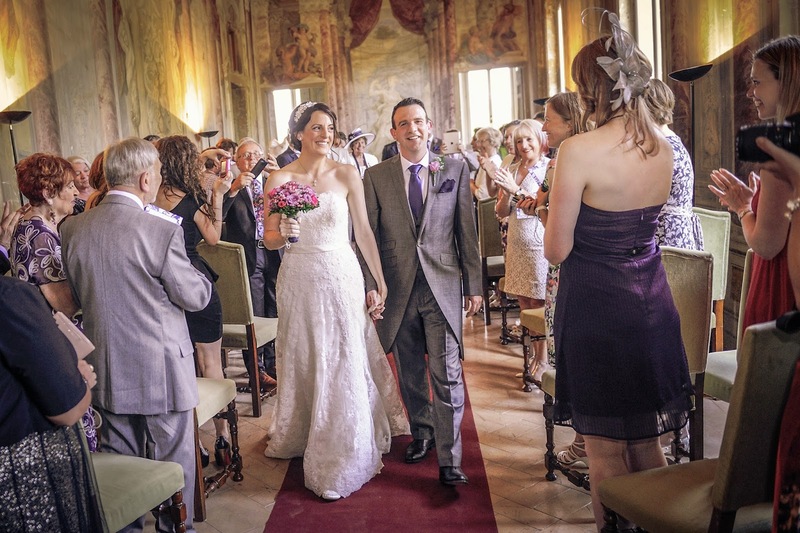 Laura and Davie had their Civil Wedding ceremony at Palazzo Chigi in the town of Ariccia in June 2015 and Wedding Reception at Villa Grazioli. 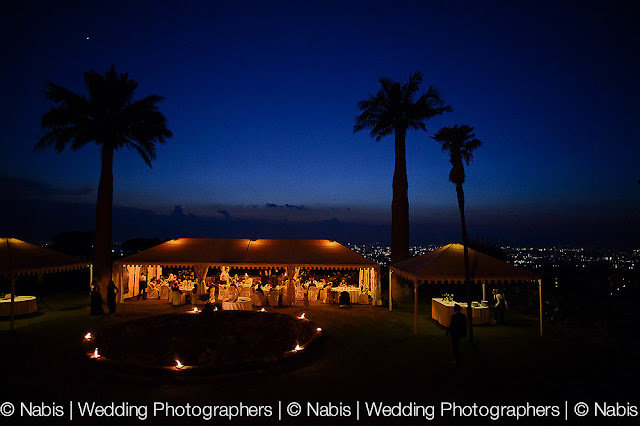 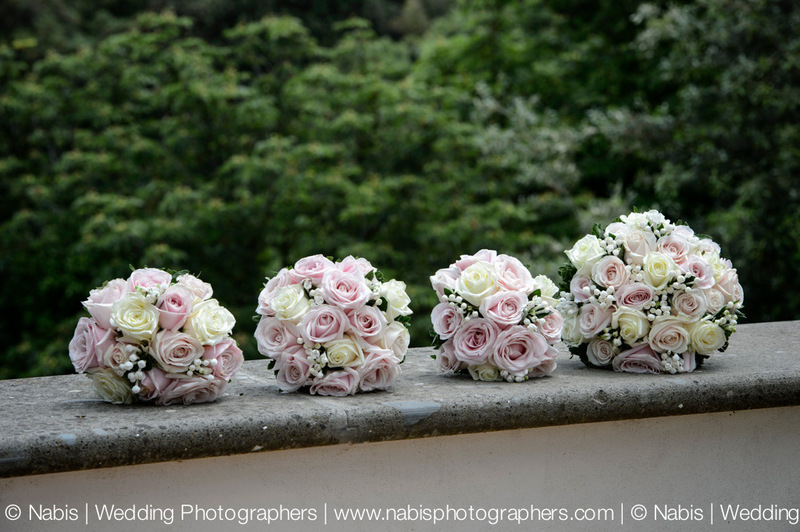 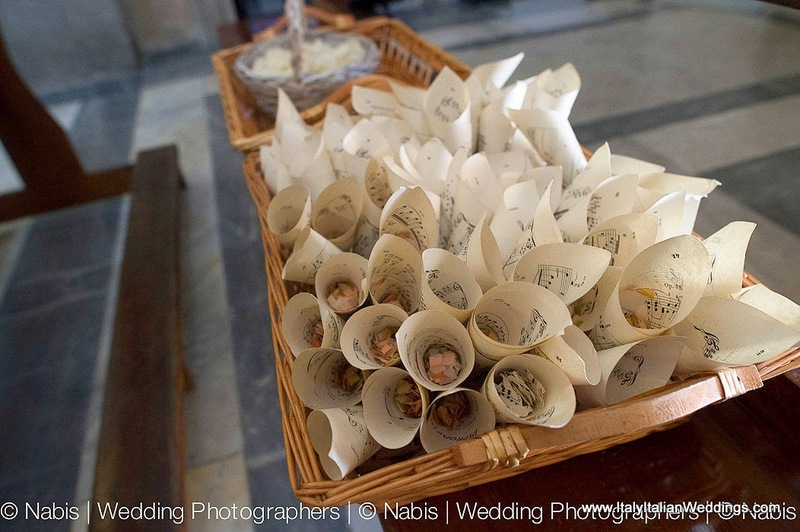 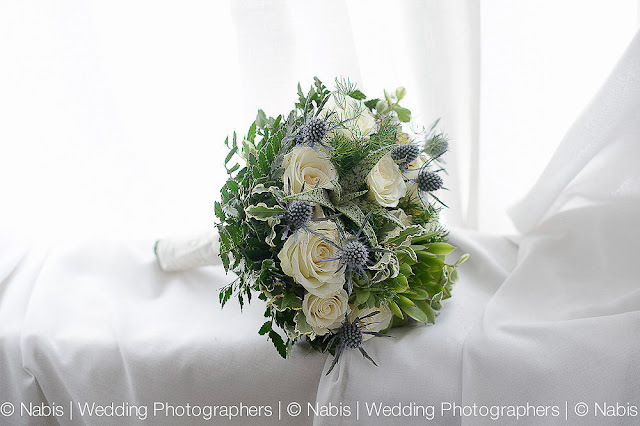 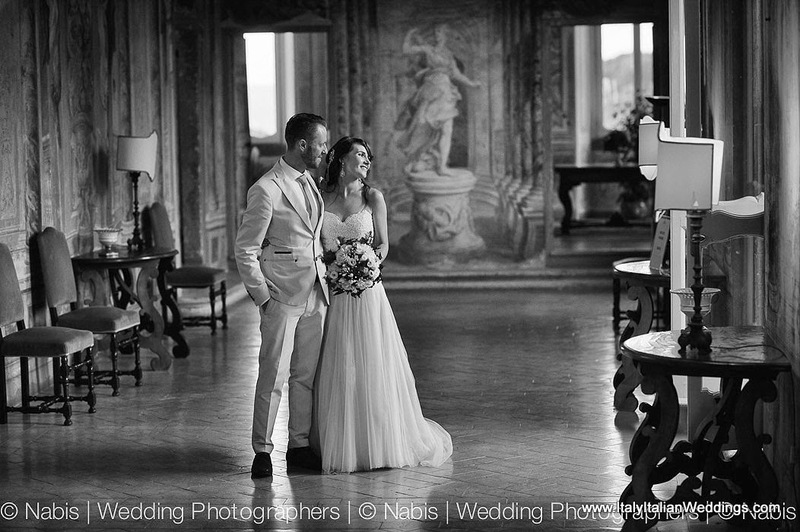 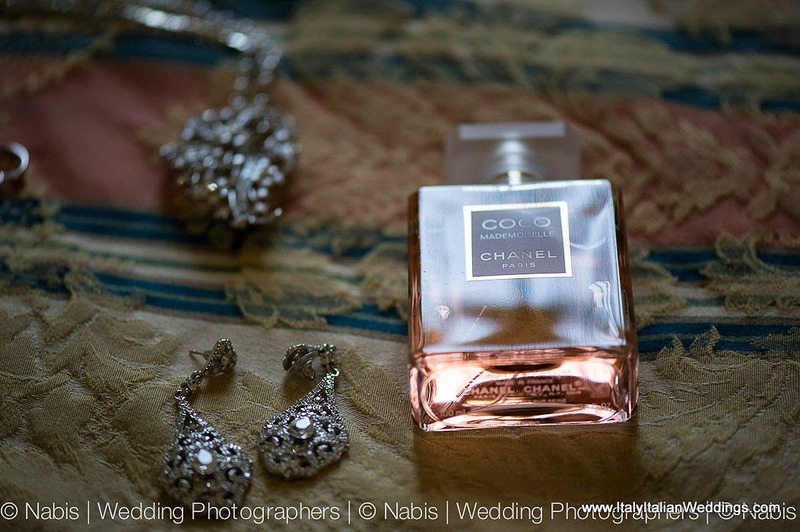 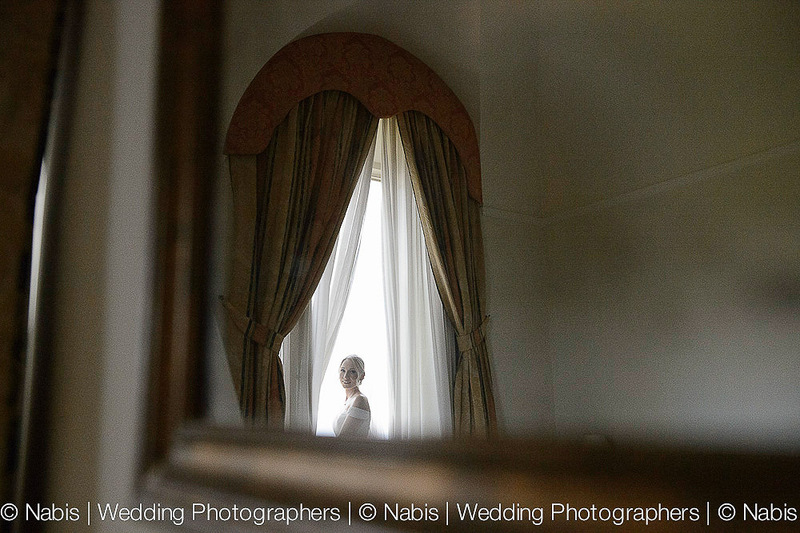 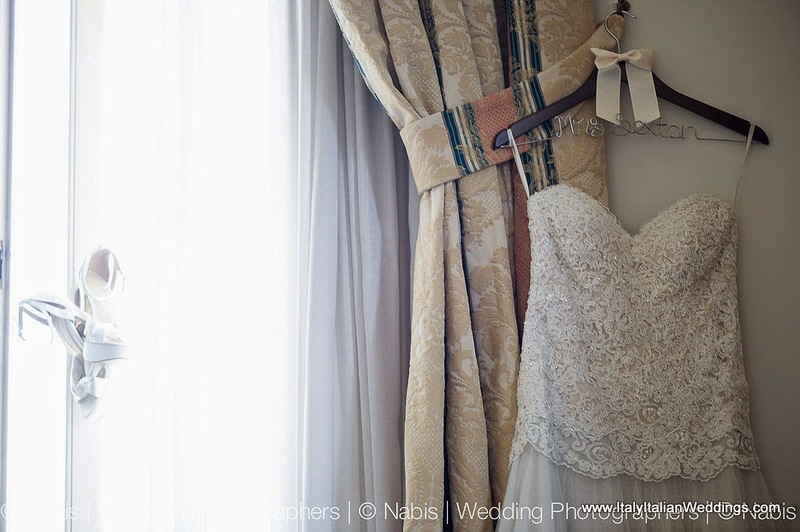 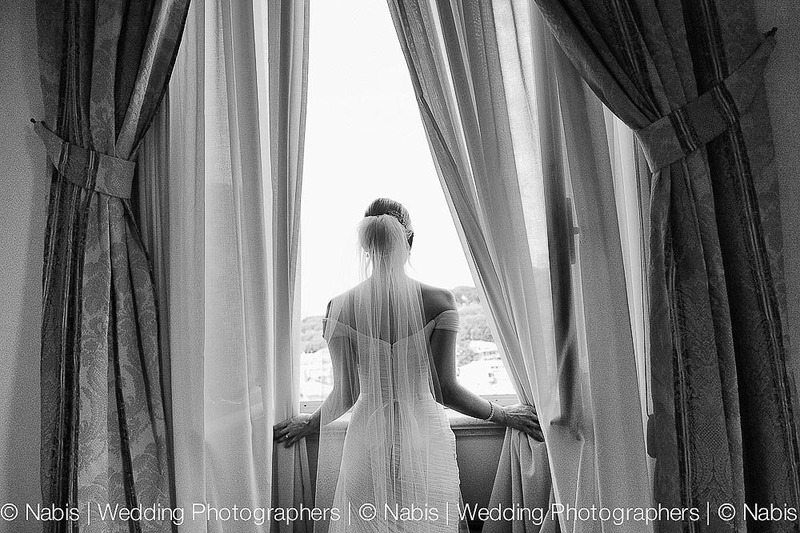 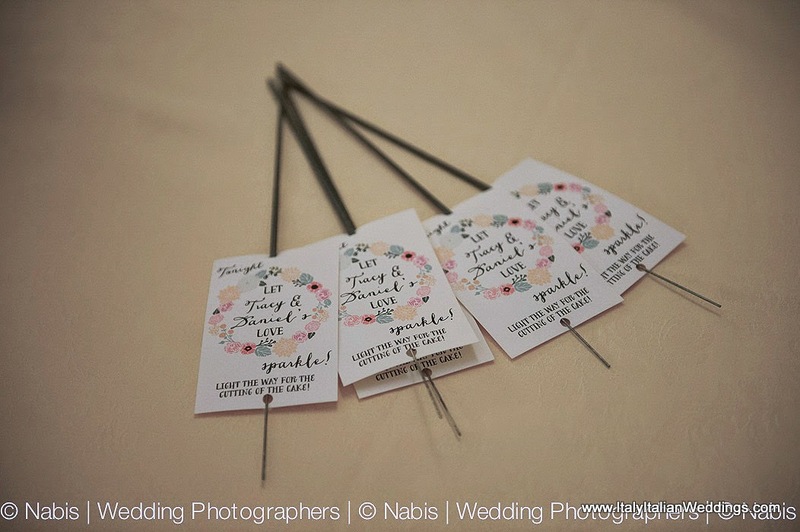 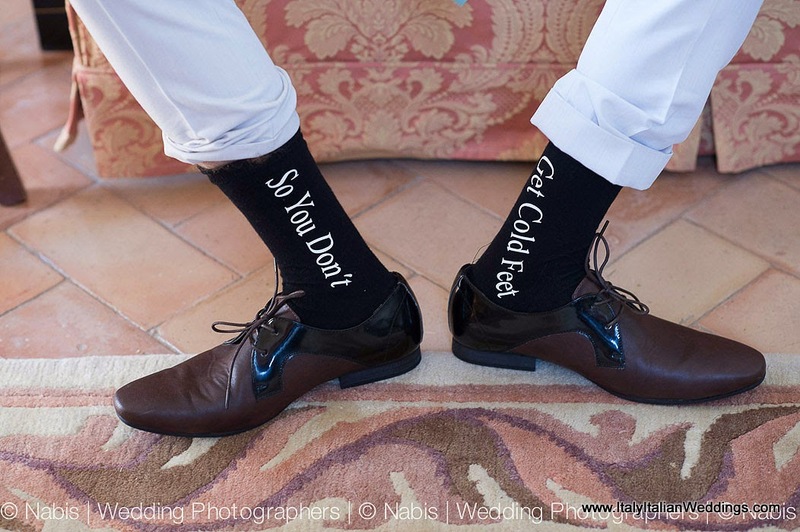 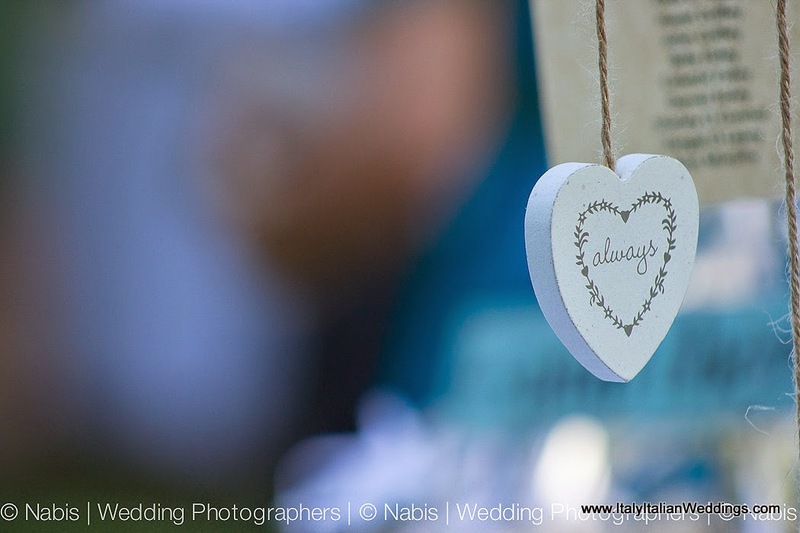 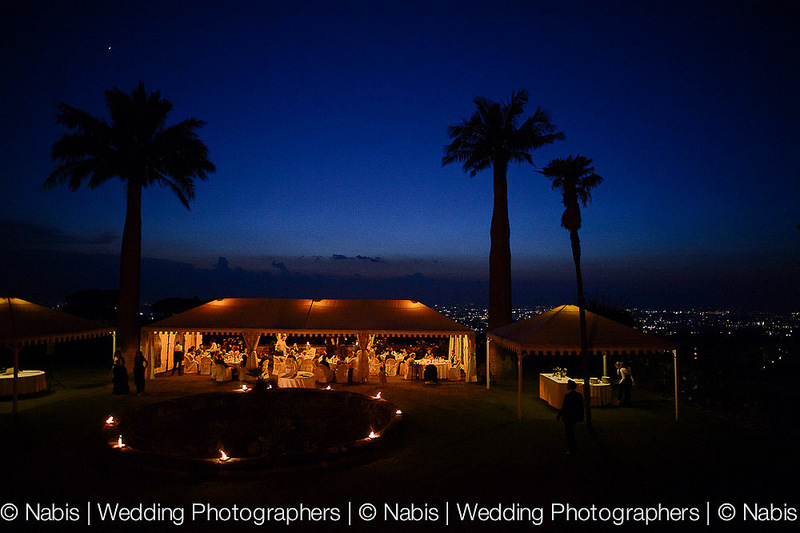 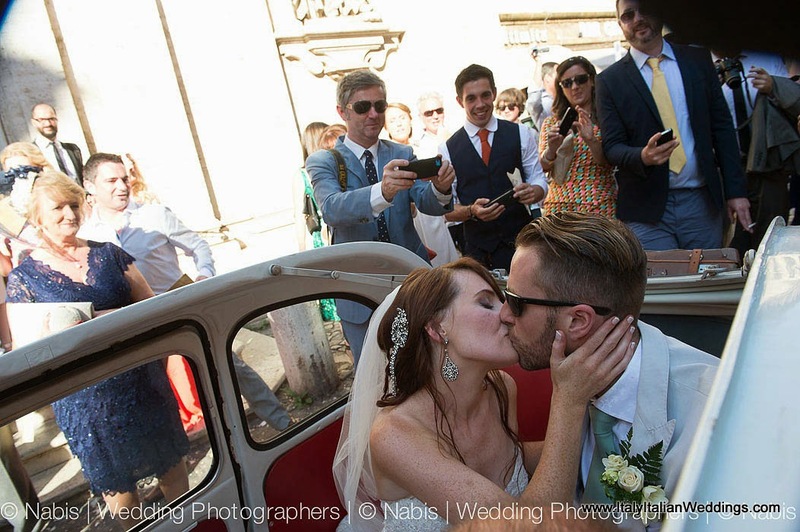 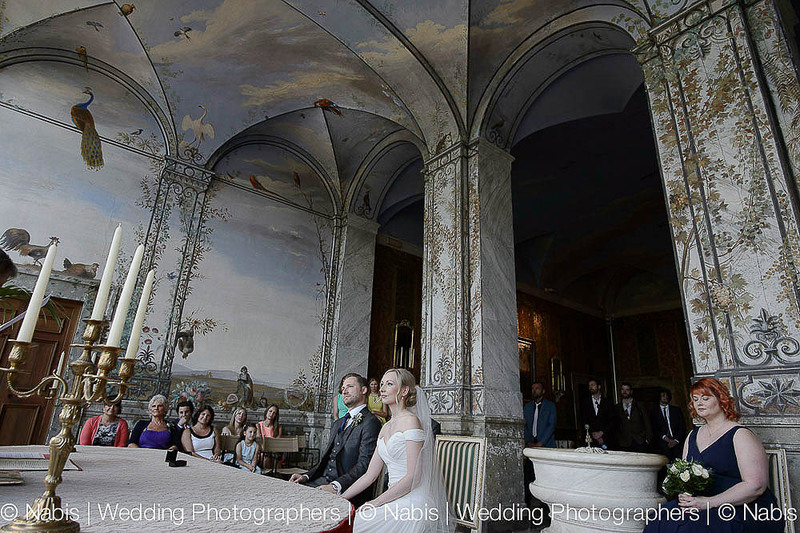 Special thanks to Nabis Wedding Photographers of Rome for the amazing wedding pictures! 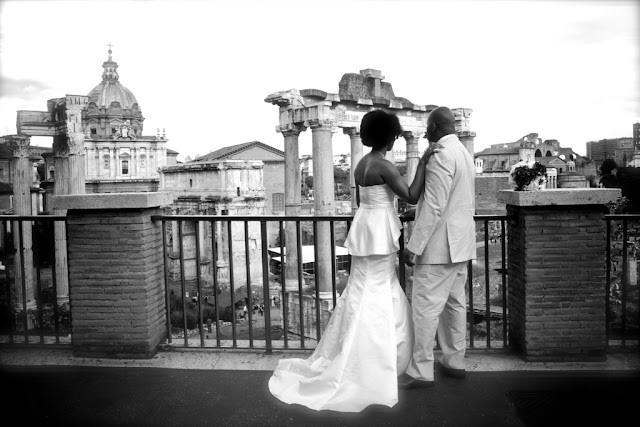 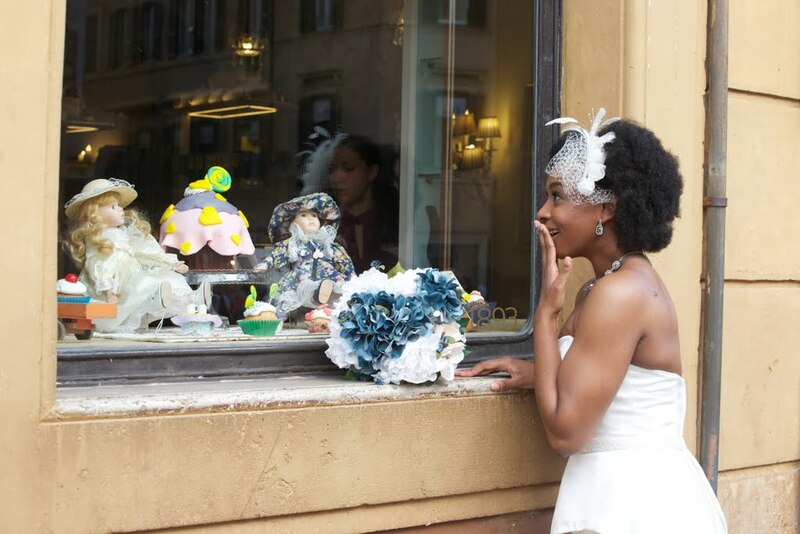 Elope to Italy on a Budget ! The classic elopement has been modernized and redefined: it's less about keeping secrets than keeping the experience personal, romantic, perfect and cutting on costs. 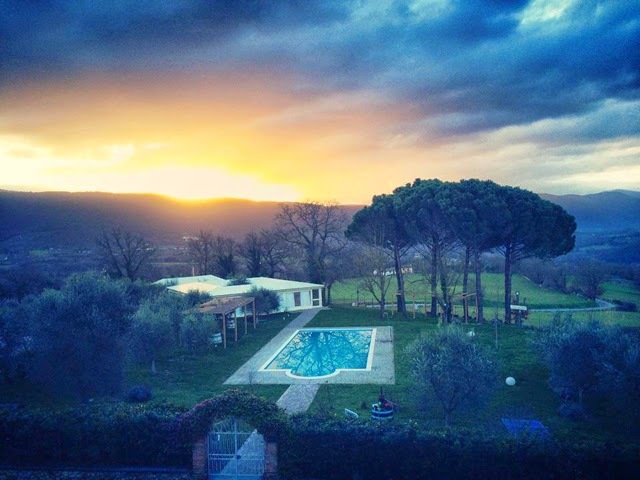 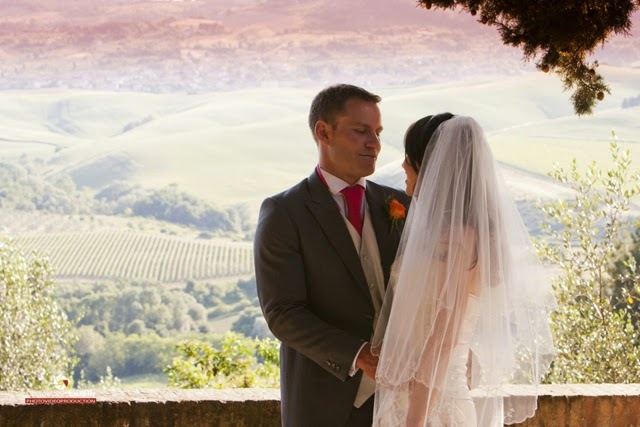 Why elope to Italy ? 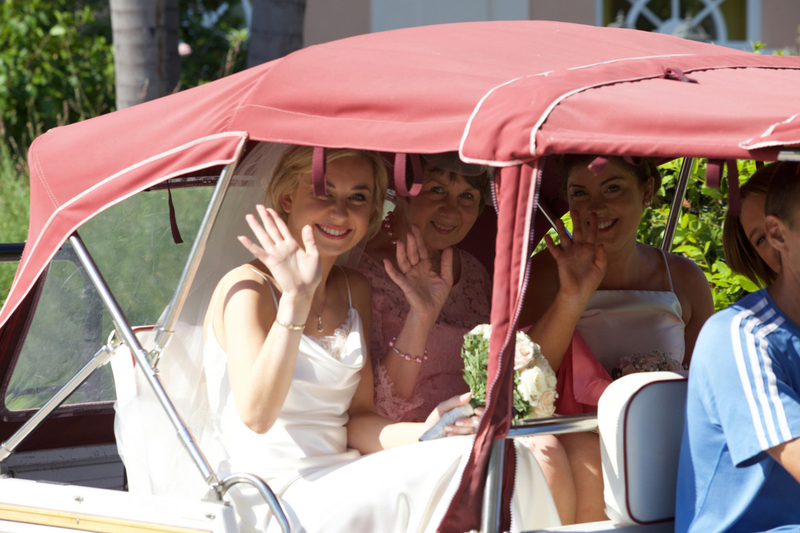 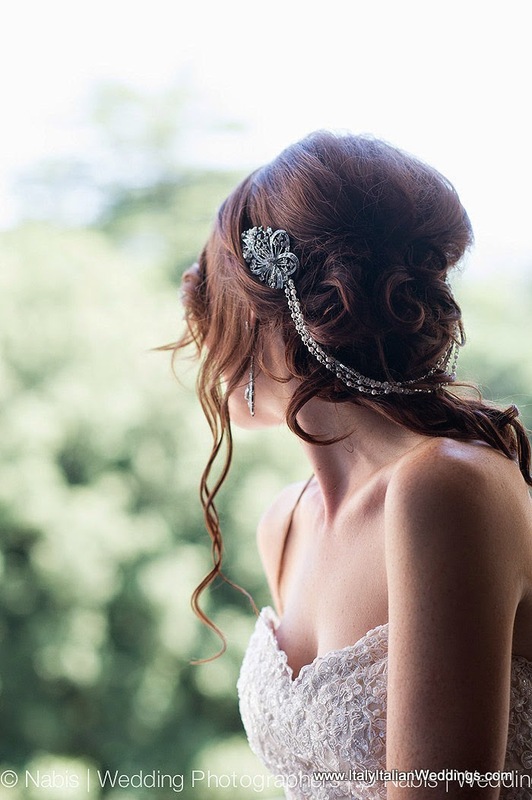 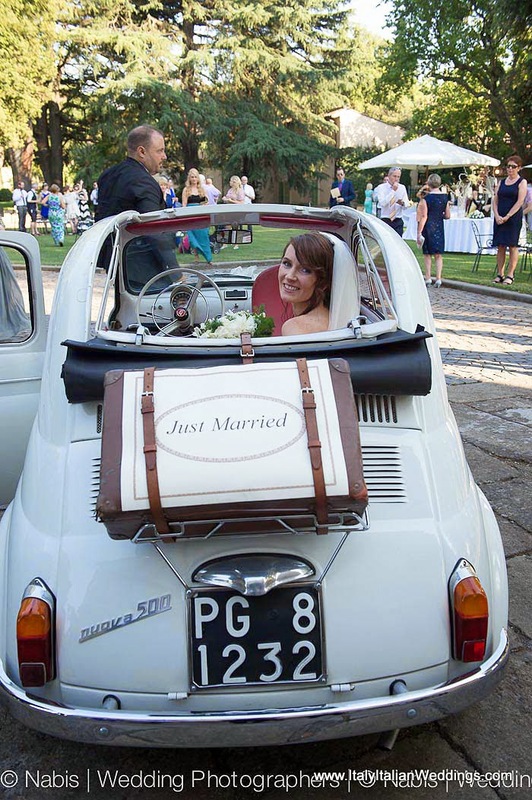 - It's Cheap - Eloping is significantly cheaper than the traditional wedding in Italy. 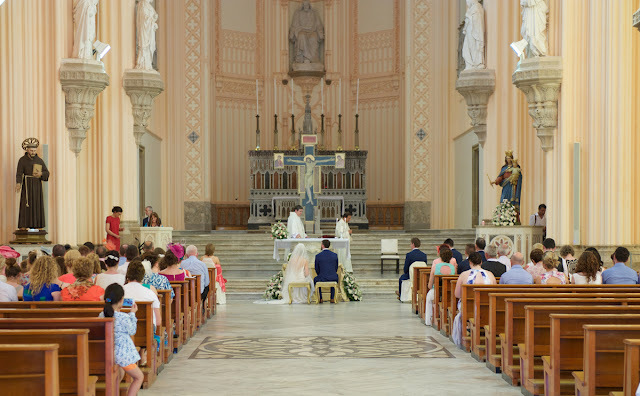 Would you rather spend money on the reception hall rental or on plane tickets to your wedding holiday destination to Italy? 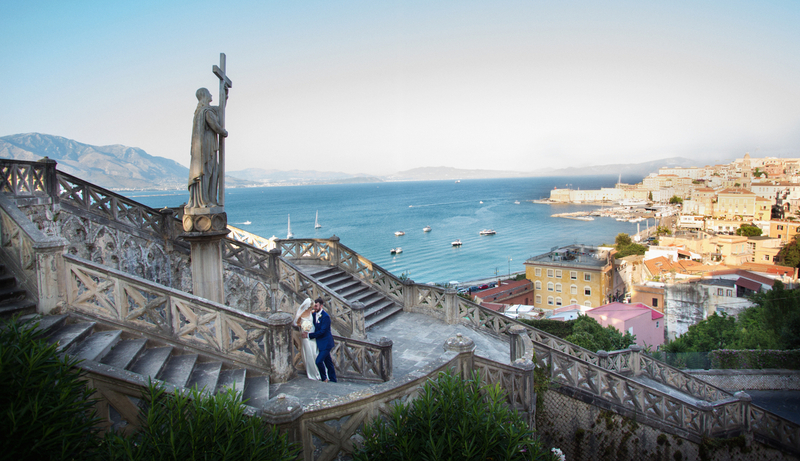 -Few countries in the world share a climate as appealing as Italy, the perfect country to elope and enjoy a truly unique, romantic wedding and honeymoon. 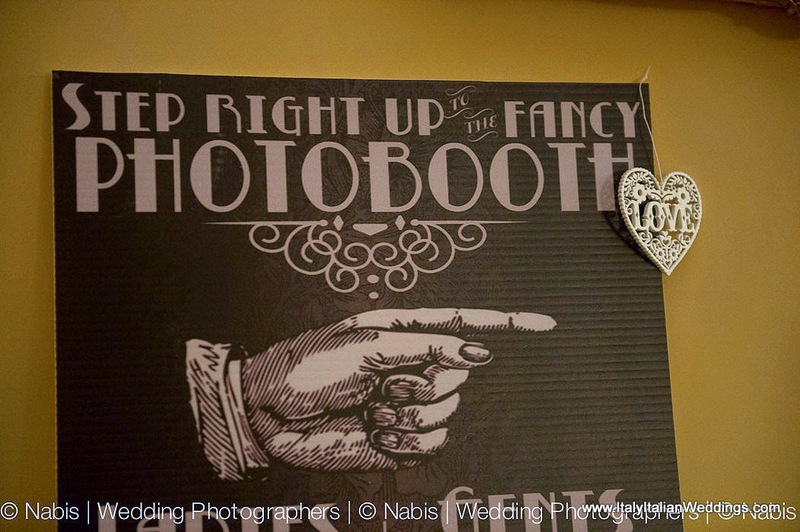 -It's Simpler - You don't have to spend a year on wedding planning! 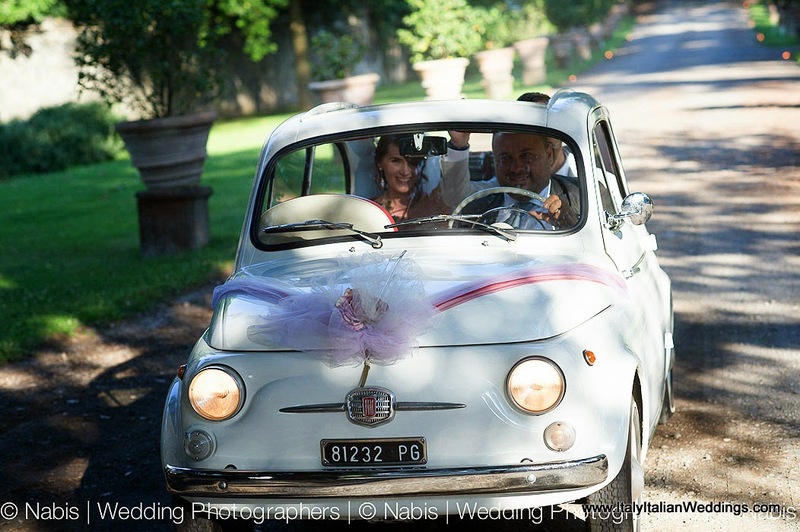 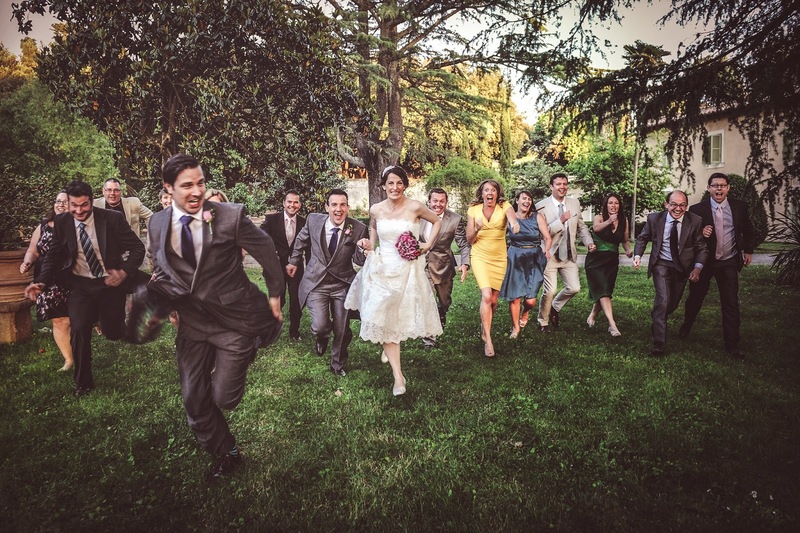 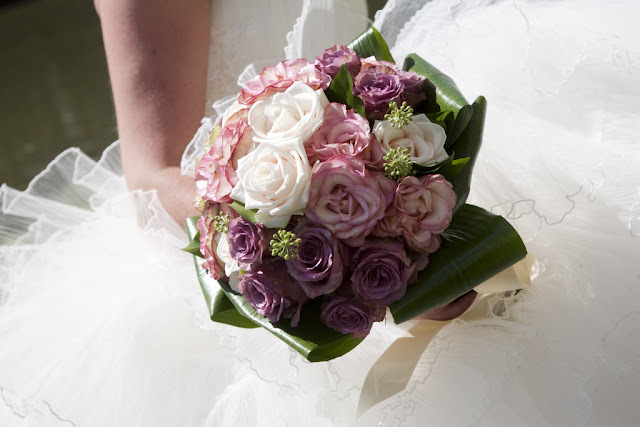 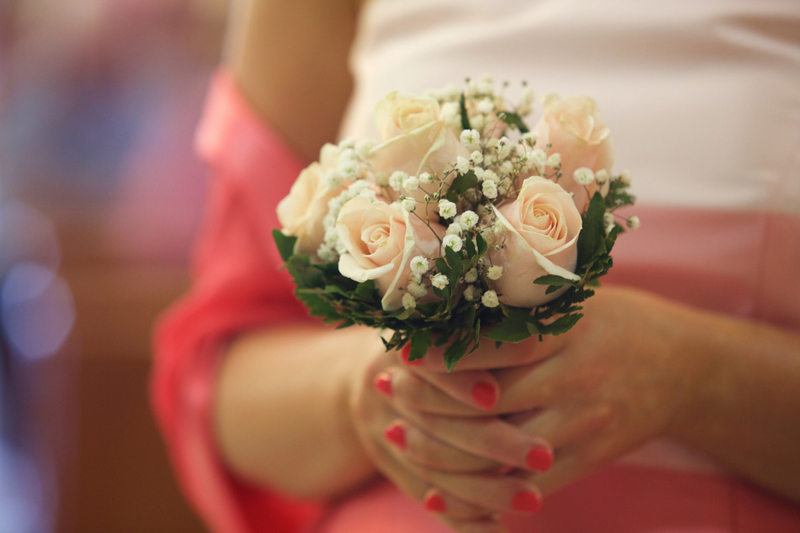 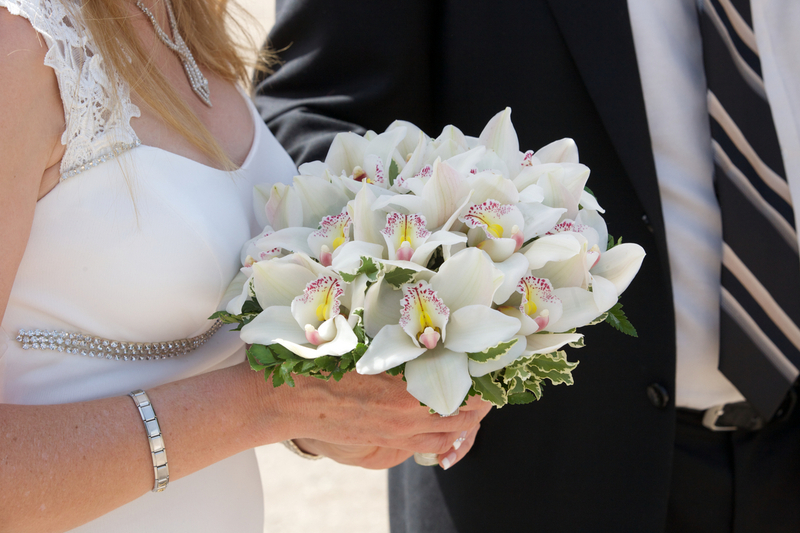 -It's Fast – Civil Weddings in Italy are romantic and fast. 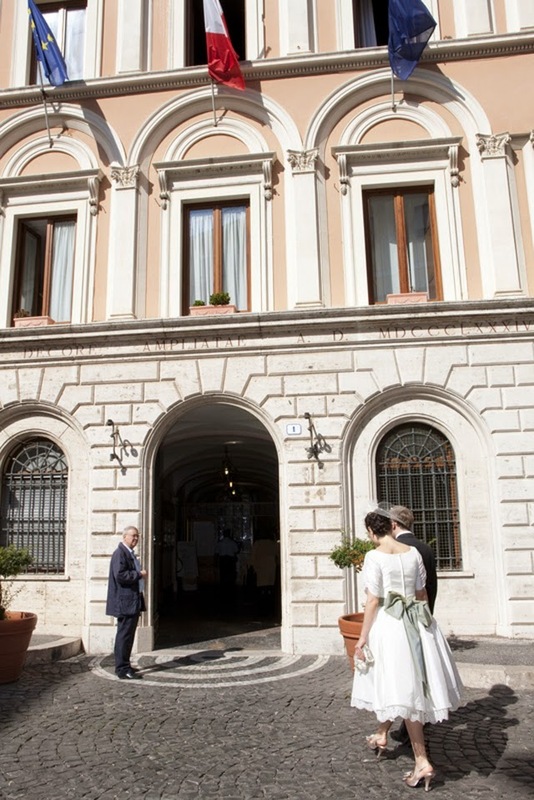 There are NO residency requirements to marry in Italy. 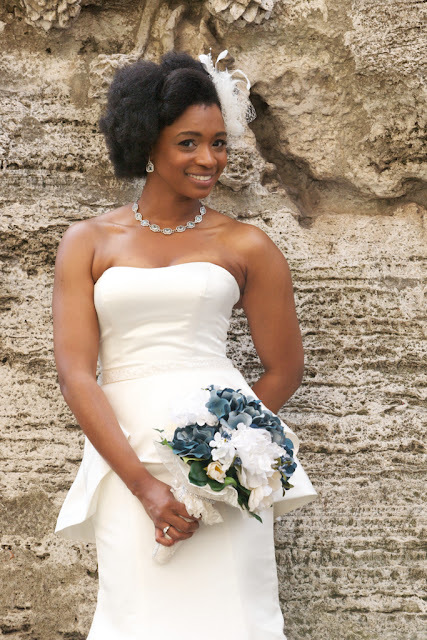 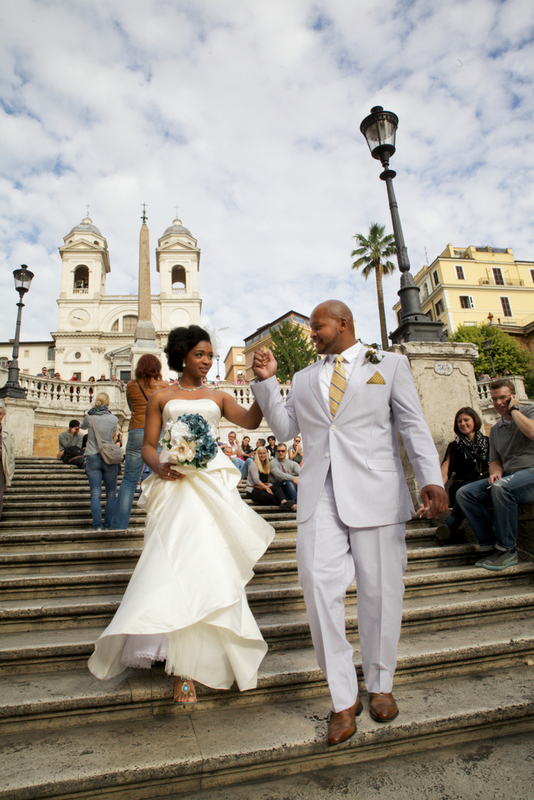 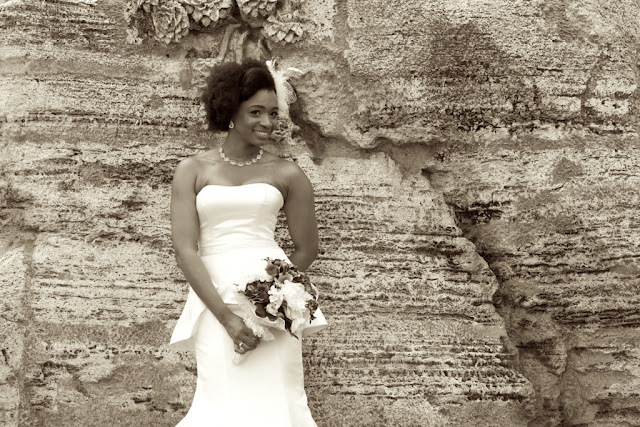 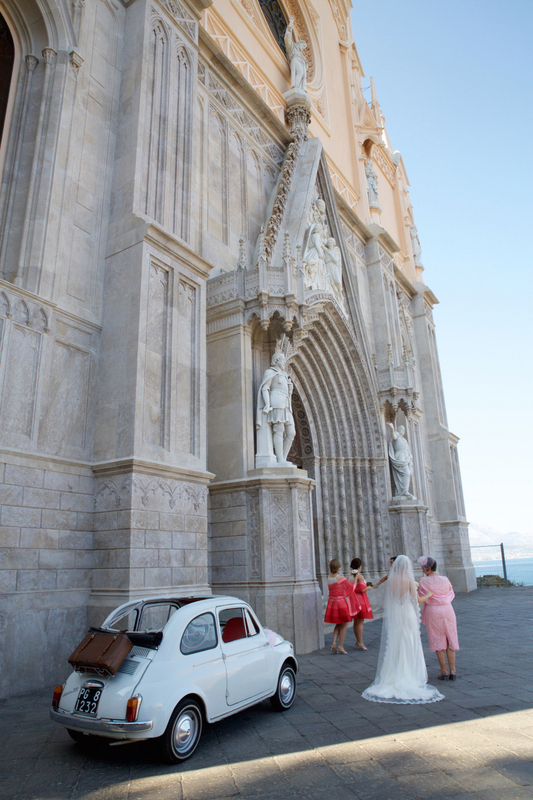 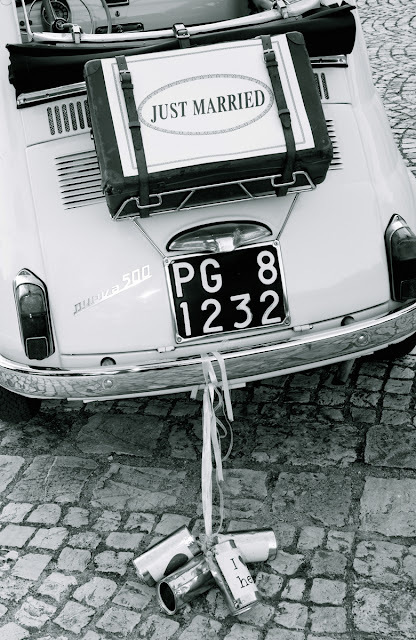 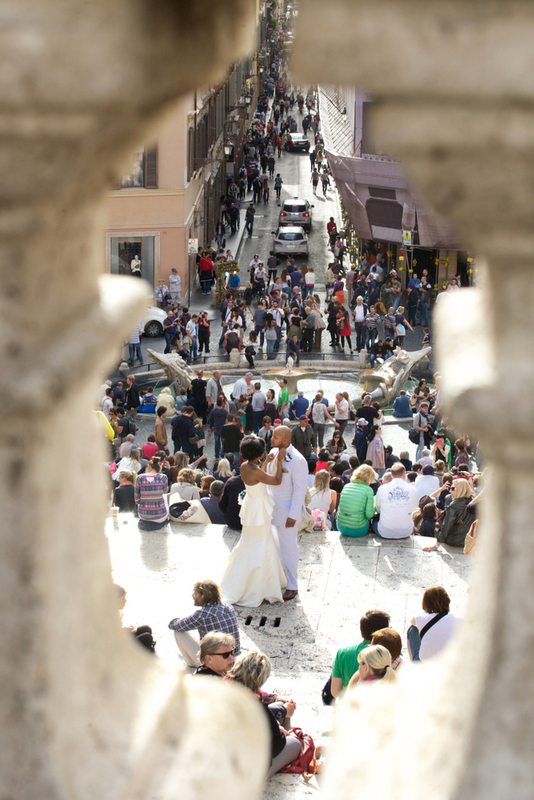 If a fast wedding is what you are looking for, eloping to Italy is the way to go! 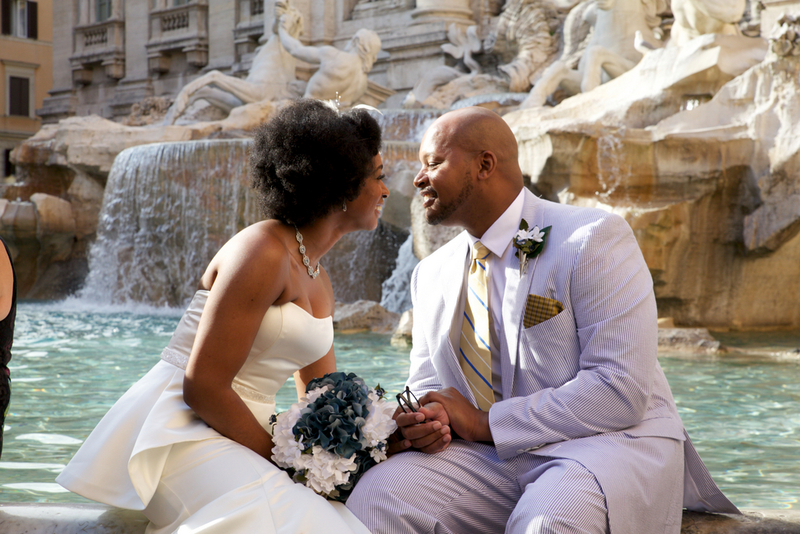 Perhaps a traditional wedding or larger planned destination wedding is not for you. 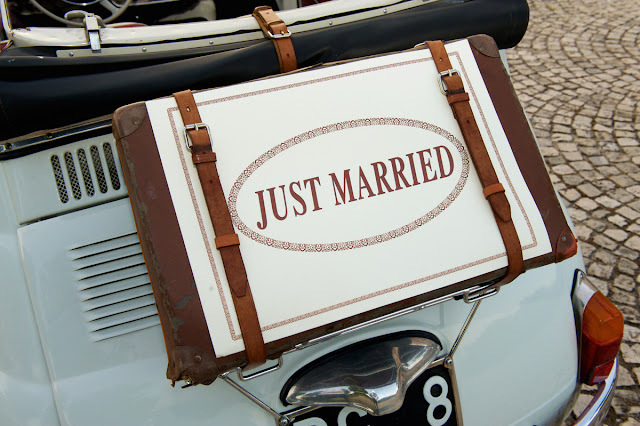 Maybe you and your fiancé' just want to be romantic, spontaneous and elope! 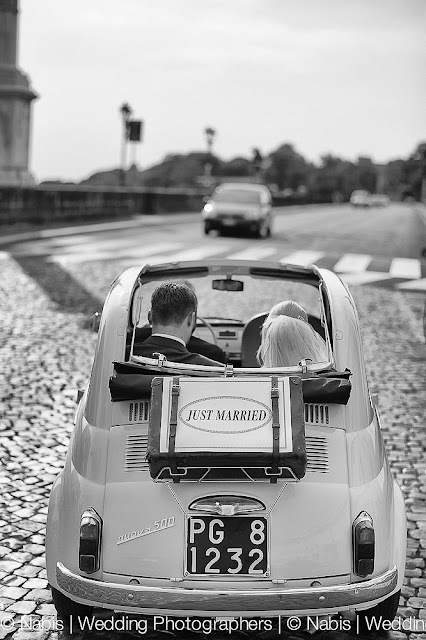 With eloping you don't have to worry about costs getting out of control, or whose feelings will be hurt by not being invited. 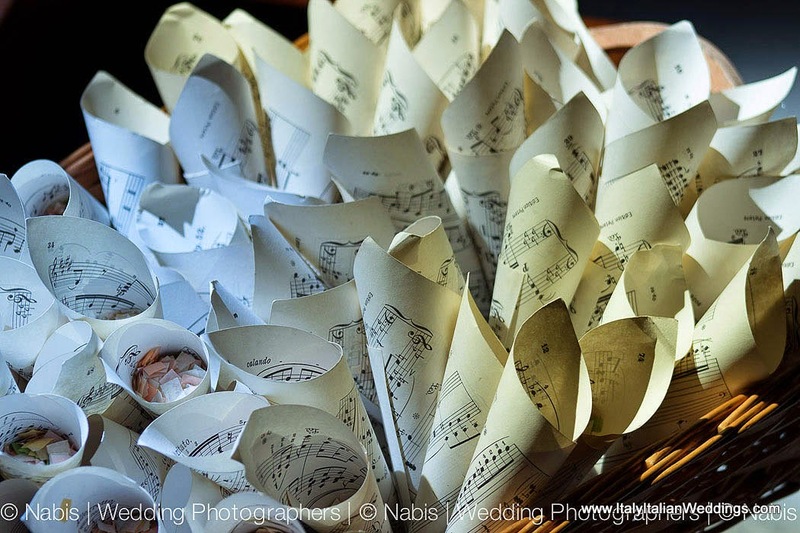 You also have enormous flexibility and can really let your creativity go wild. 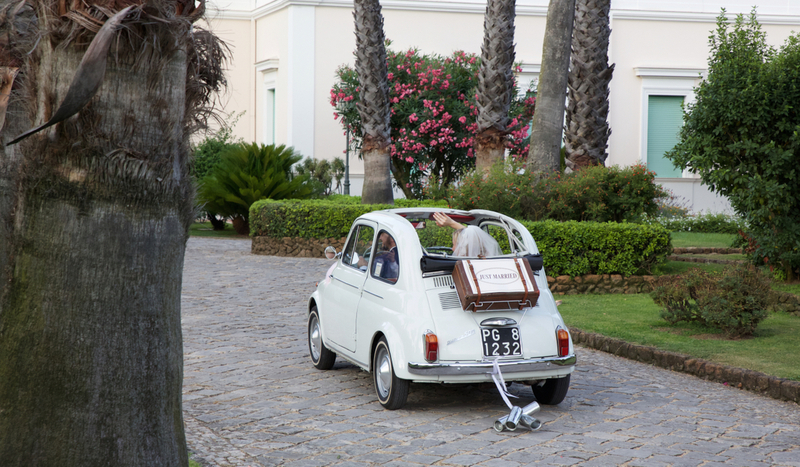 Really, the possibilities in Italy are endless. You can elope just the two of you, or invite a small group of family or friends. Choosing any of these romantic locations in Italy to elope can help ensure your day will be as perfect and memorable as a wedding day should be. www.ItalyItalianWeddings.com specializes in elopements to Italy. 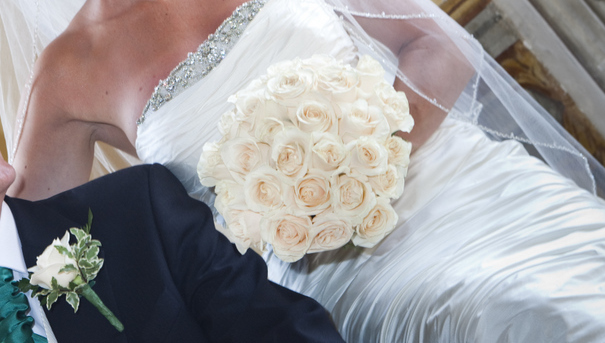 When you're ready to allow your spirits take flight, we are here to help! 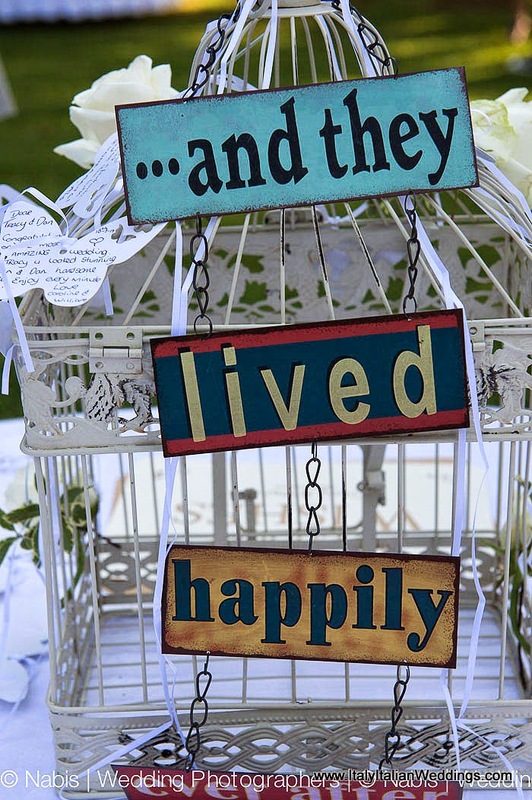 On Returning Home… Send out Marriage Announcements with a link to your online Wedding Photos. 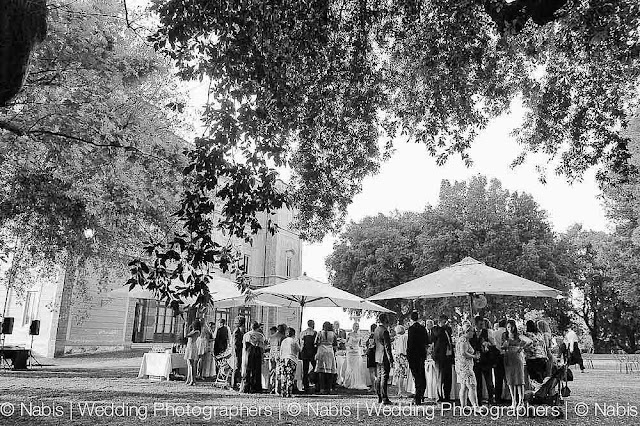 Plan a Sunday afternoon cocktail party to celebrate with friends. 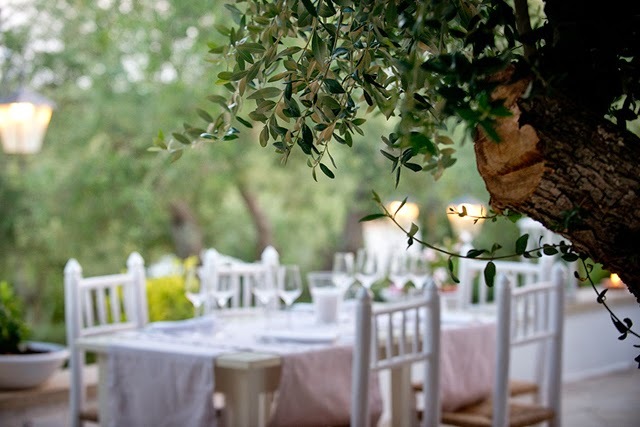 Plan a dinner party to celebrate with family. Plan your anniversary celebration for next year. 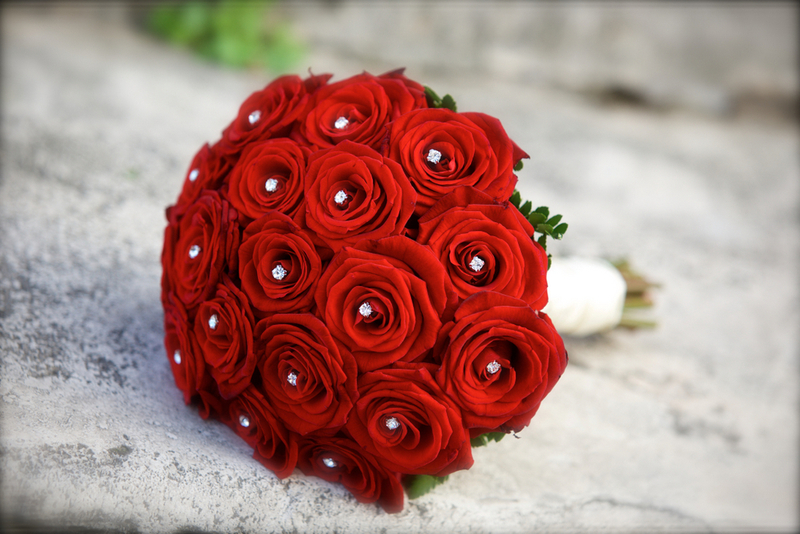 Plan something to look forward to, a little romance to keep the memories growing ! 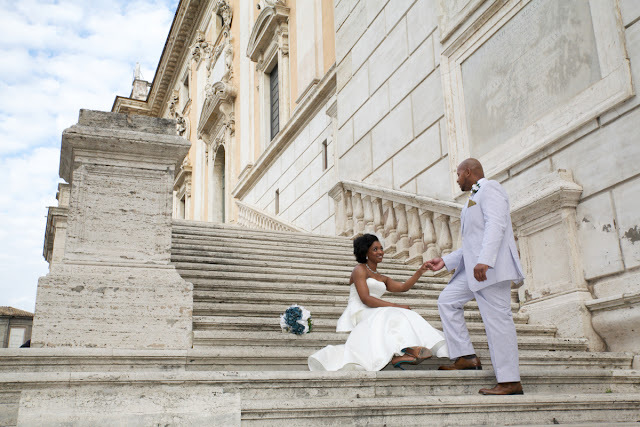 Tracy and Daniel celebrated their Wedding in Italy in a catholic church in Frascati in the Castelli Romani near Rome with wedding reception at one of our favourite wedding venues near Rome: beautiful Villa Grazioli - an historical 17th century Villa Hotel surround by gardens, park and olive grove with breathtaking views over Rome. 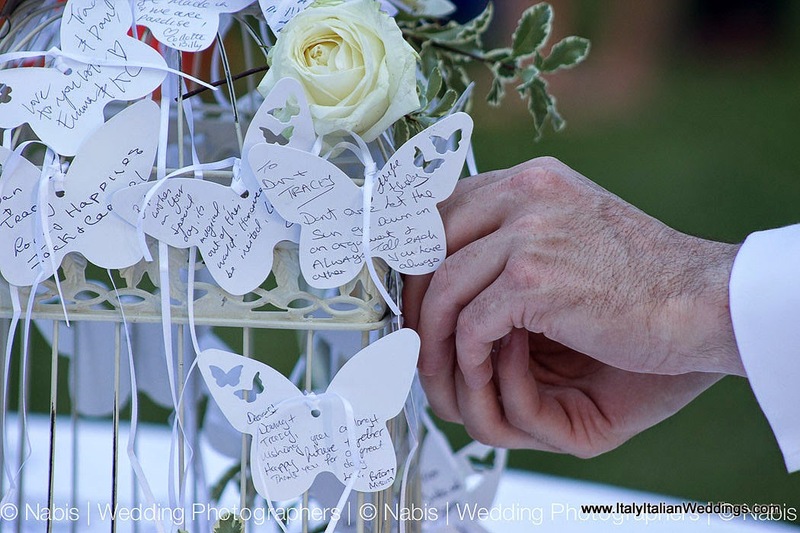 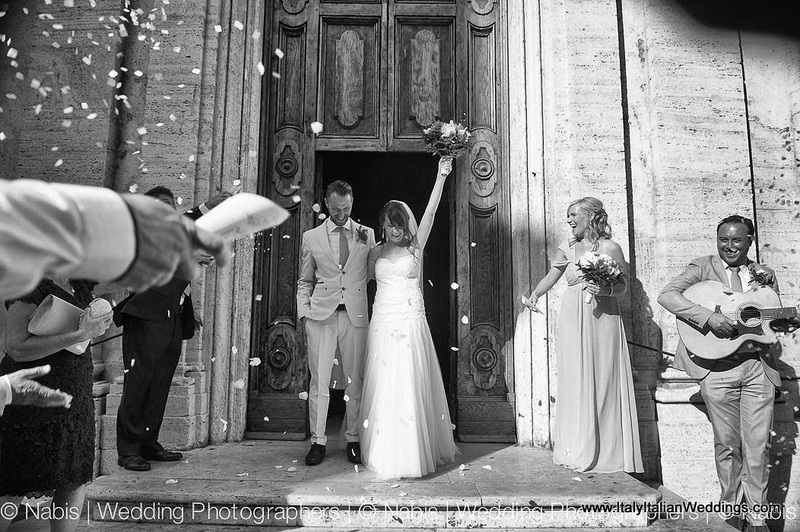 "Initially it seemed a very daunting task planning a wedding abroad until we luckily found Italy Italian Weddings. It was an absolute pleasure working with our wedding planner Daniela Catellarin, who was AMAZING!! 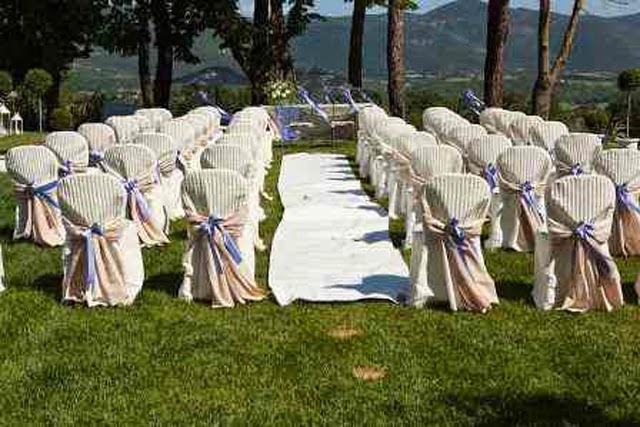 !From the beginning Daniela was extremely professional, responsive and forthcoming with all of our queries and requests. 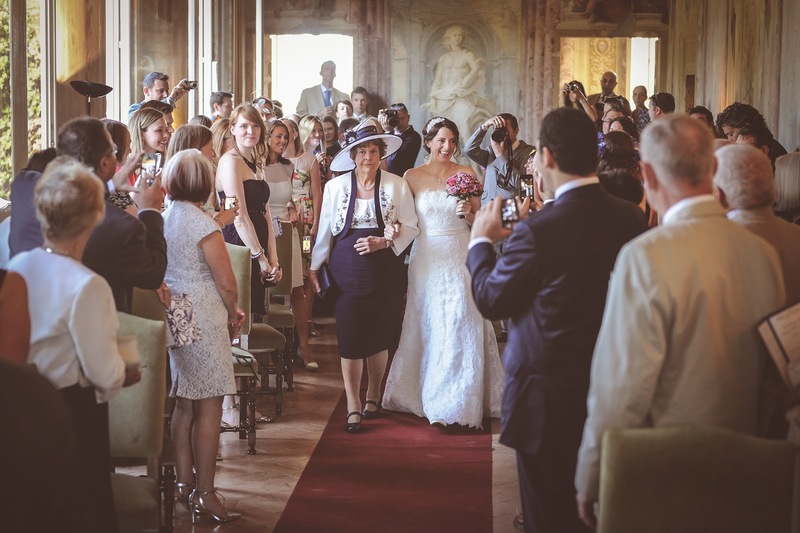 She made the planning process so stress free and easy, allowing us to completely relax and enjoy the excitement of it all.We could not have anticipated the efforts, enthusiasm, efficiency and hard work that Daniela put into our wedding day. She organised and arranged everything for us and even our guests including hair/make-up appointments, transportation, flowers, music, photography and videography and most importantly our paperwork. 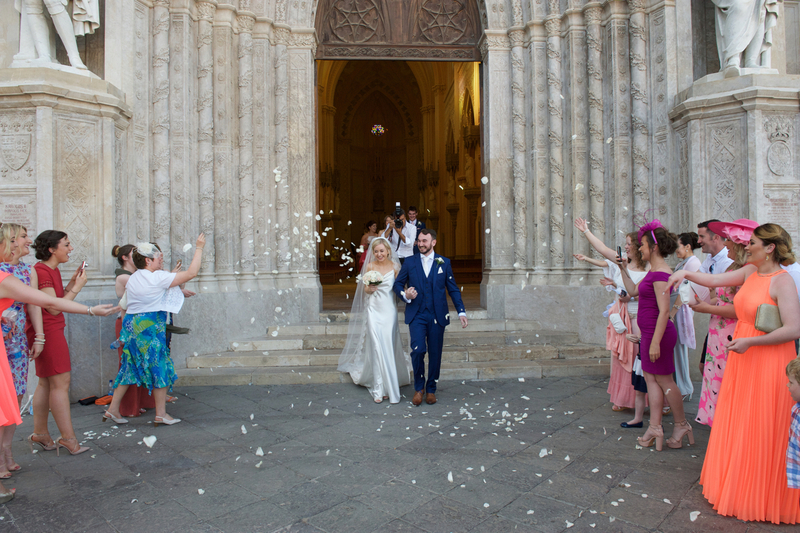 Her attention to detail was impeccable and she made a huge impression on all of our guests!My husband and I had a very clear vintage vision for our wedding and Daniela ultimately made this happen. 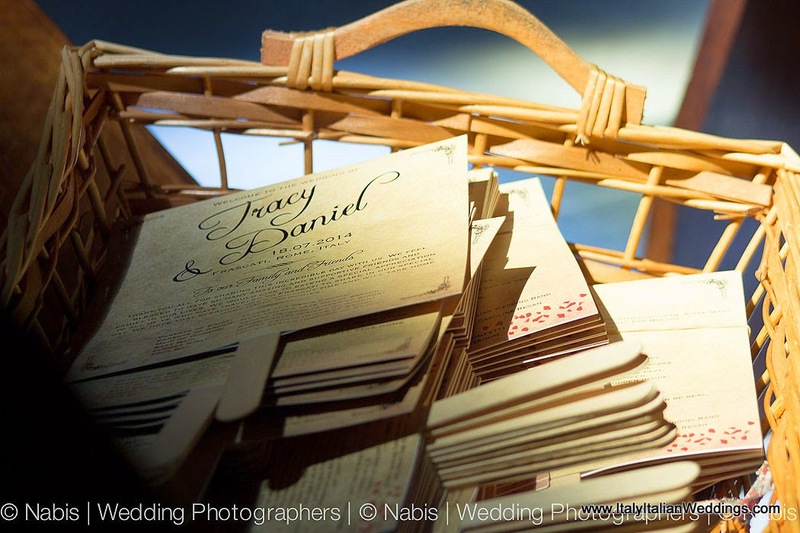 We brought two suitcases of props and decor which she arranged beautifully in various areas of the venue. 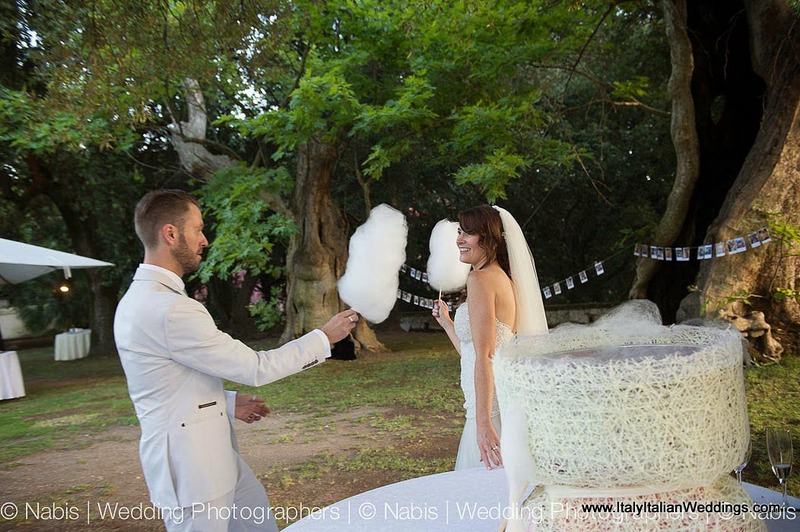 She also brought her own ideas to the table and organised a candy floss machine, an abundance array of candles in jars other things we would not have thought of ourselves. She really went above and beyond her call of duty and organised all of transfers for us for our honeymoon. 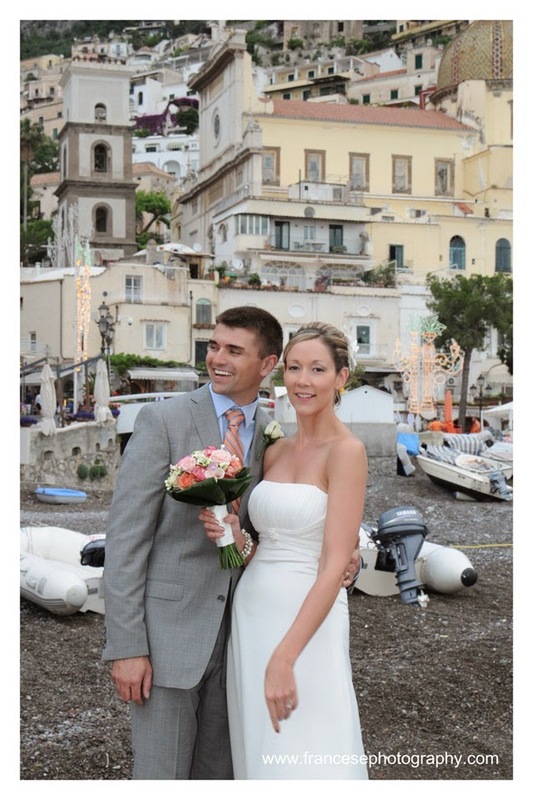 And even while we were away on our honeymoon she kept in contact to ensure the transfers were alright. 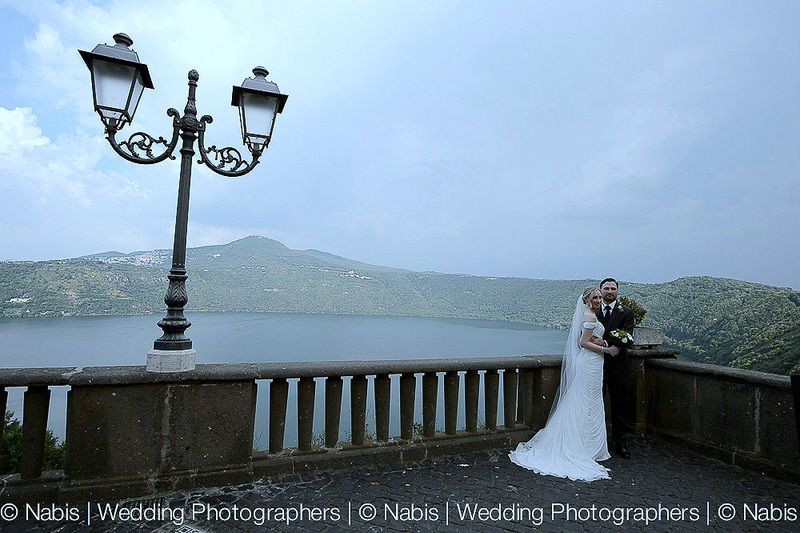 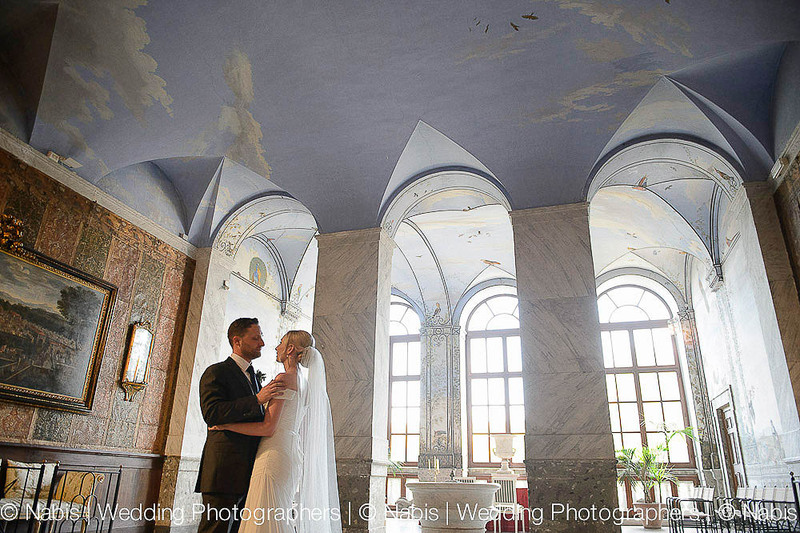 An unforgettable wedding day at the magnificent historical Castle Odescalchi of Lake Bracciano near Rome. 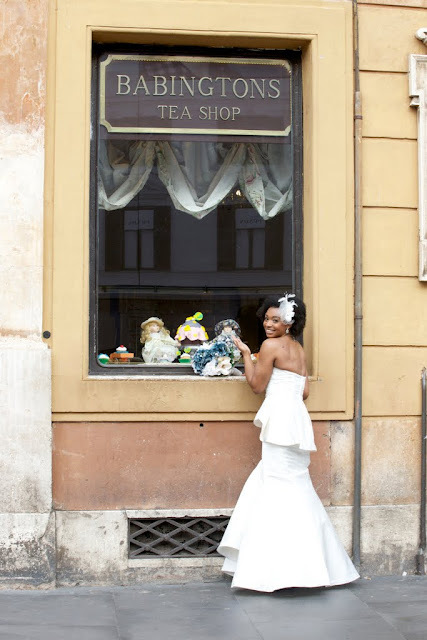 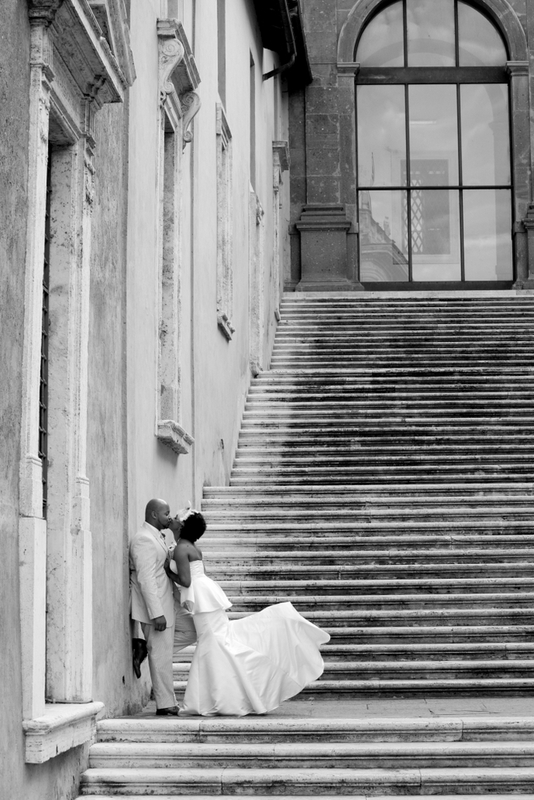 Wedding in Rome - Check this out! 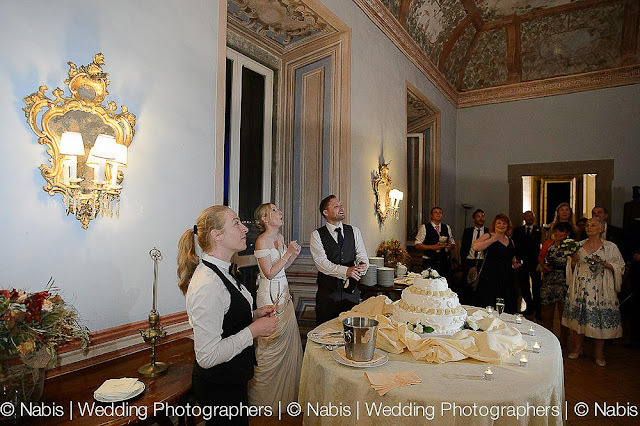 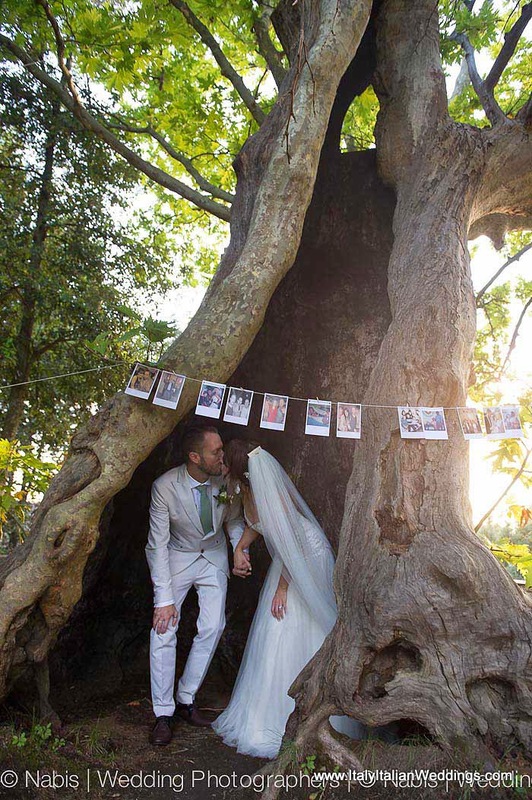 A truly romantic wedding ceremony for Andy and Fiona from the UK in the precious frescoed Gallery Pannini on the noble floor of Villa Grazioli followed by an exclusive wedding reception in the font gardens and hanging garden of Villa Grazioli overlooking Rome. 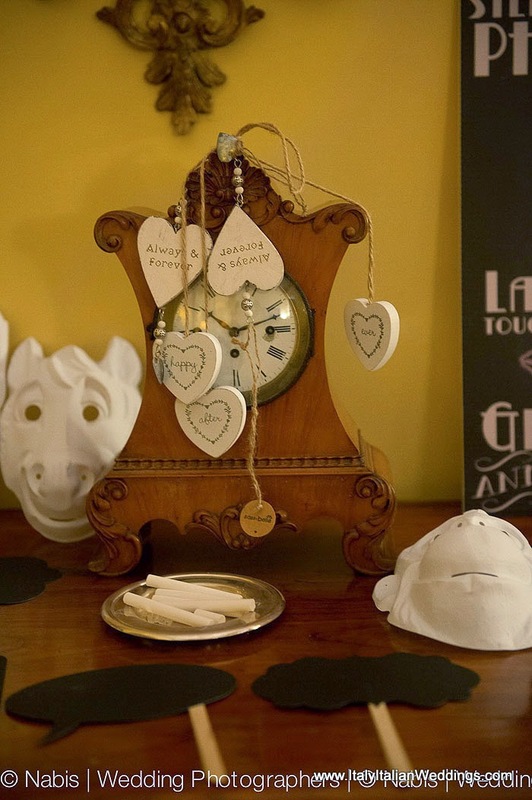 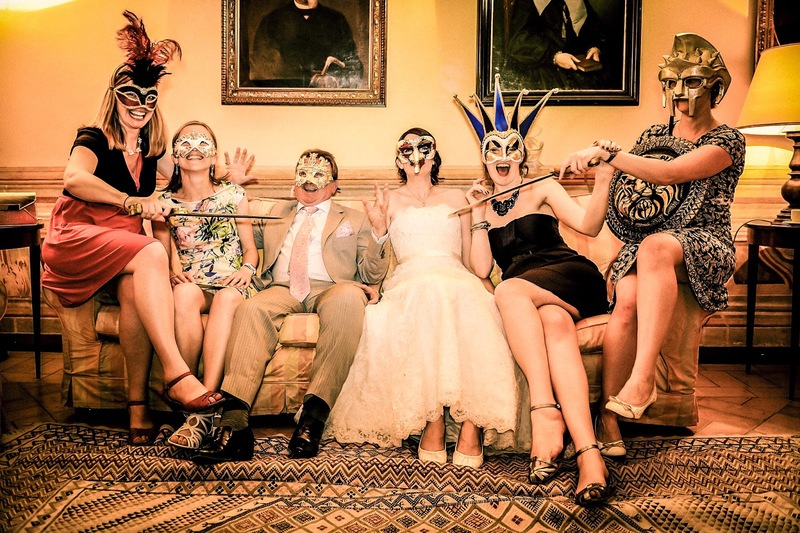 Romanrticism, Glamour, but also Fun with a photo booth setup in one of the halls of the Villa with authentic handmade Venetian masks bought directly from the famous Venetian craftsmen "Carta Alta Laboratory" located on the Giudecca island of Venice. 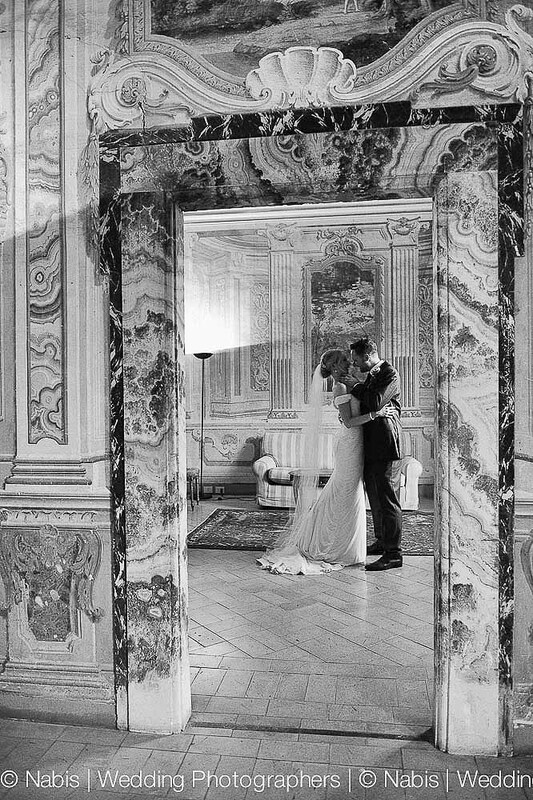 Take a look at some of their wonderful wedding pictures shot by the famous wedding photographer Domenico Costabile at Villa Grazioli. 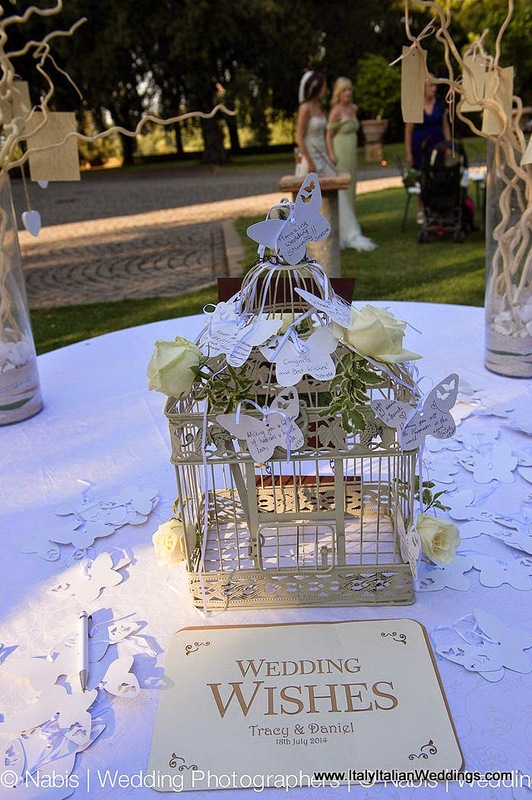 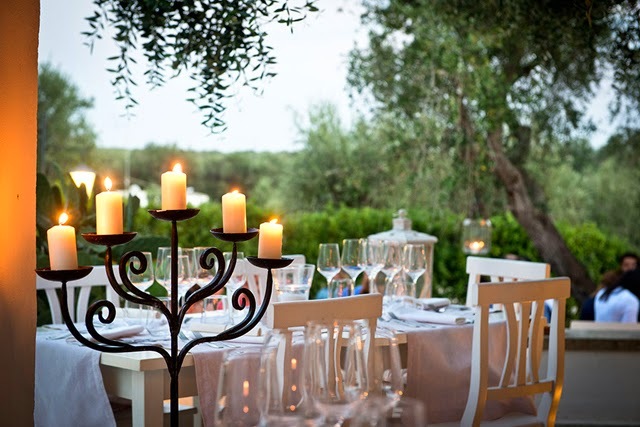 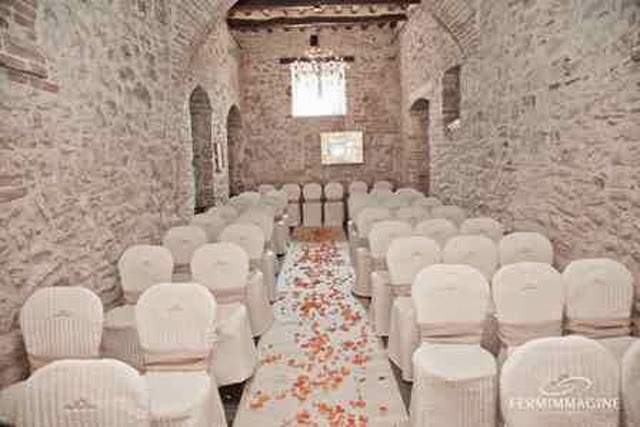 Tenuta Centoporte: our featured Wedding Abroad in Italy Venue, this weekend! 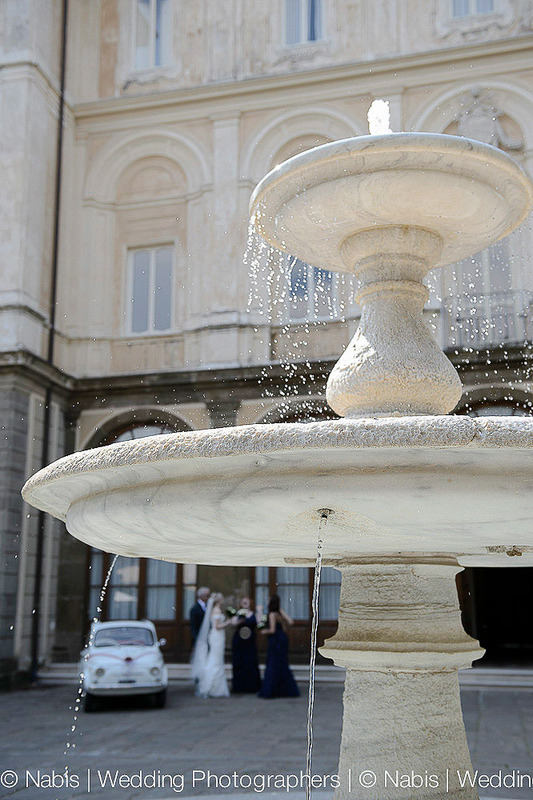 Most couples looking for a venue for a luxury wedding abroad in Italy, wish for it to have a set of specific characteristics: a natural environment where they can enjoy of Italy's beautiful weather and sunshine surrounded by the typical elements of the Mediterranean garden: olive groves, orange and lemon trees and vineyards. They probably want a tailored wedding reception, at which the scents and flavours of the traditional Italian cuisine are served by professional staff and every complimentary service (decor, flowers, music, illumination, photography, video, etc) is planned, organized, coordinated and looked after by well-qualified experts, who will pay careful attention to detail. 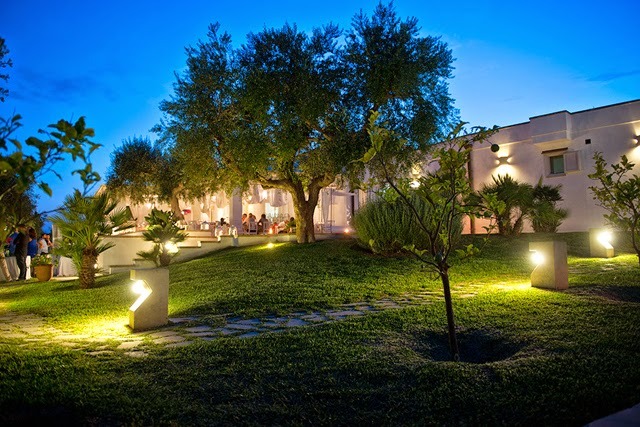 They most likely also want to compliment it all with modern and comfortable facilities, that ensure their stay and that of their guests will be unforgettable. 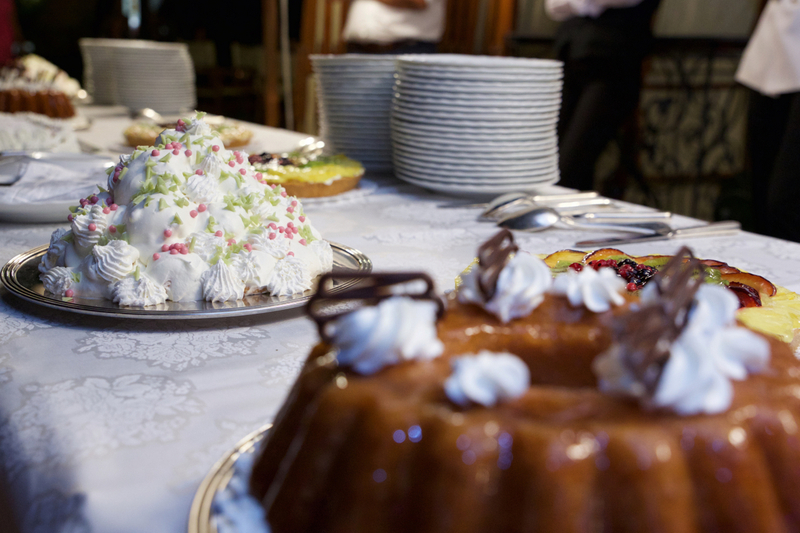 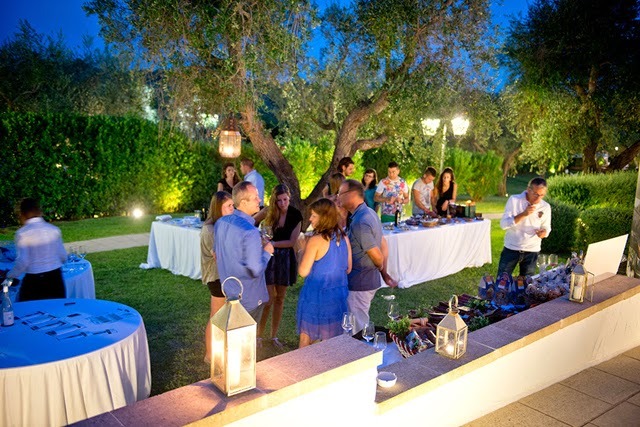 If you feel identified, we have the perfect venue to suggest to you! 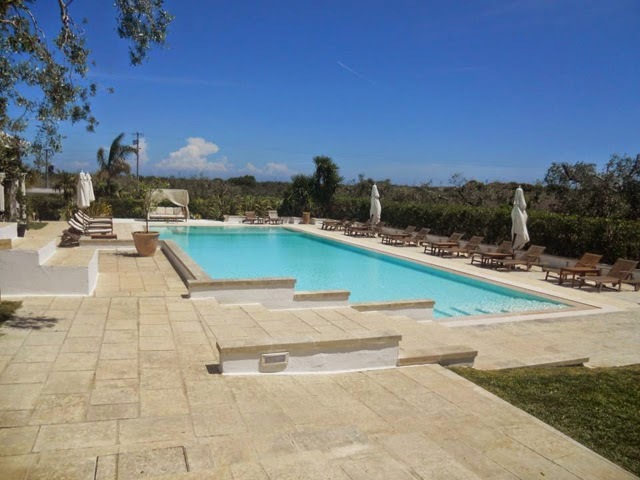 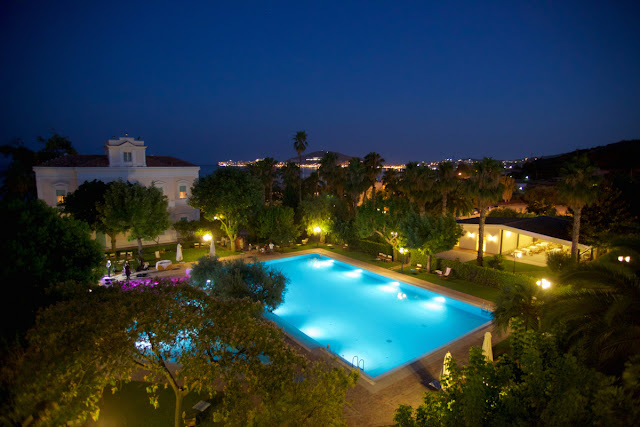 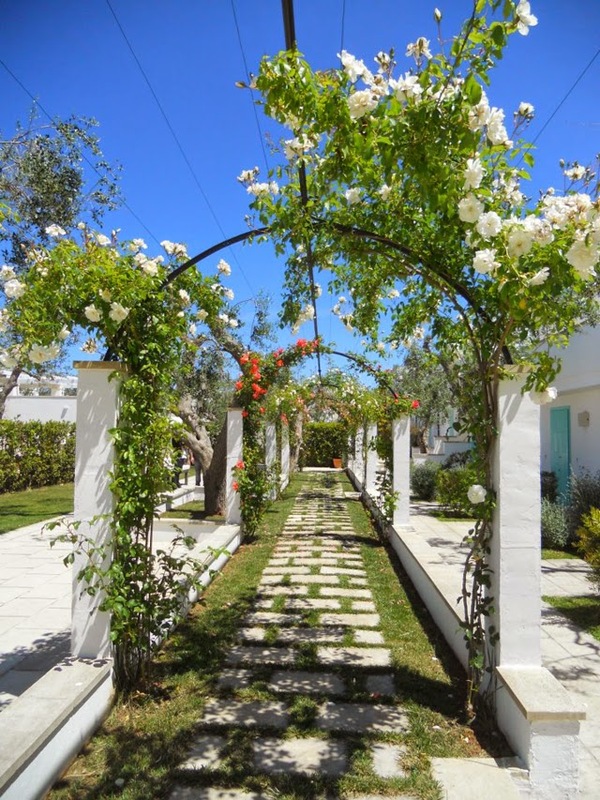 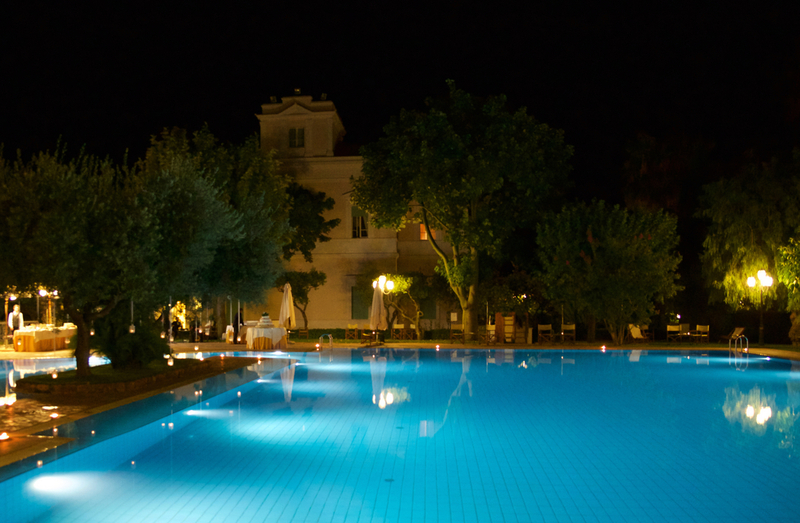 Tenuta Centorporte is a luxury hotel and resort only five minutes away from the famous seaside city of Otranto. 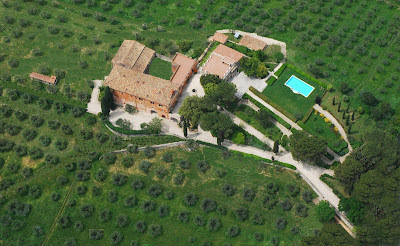 Surrounded by splending Mediterranean vegetation, Tenuta Centoporte -that takes its name from the many windows present in the remains of the ancient Basilian Abbey of Monastero le Centoporte, from the V-VI century- offers a unique blending of luxury and relaxation. 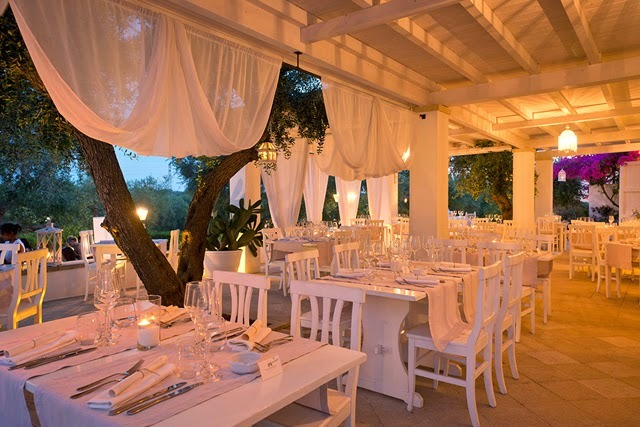 Wedding receptions at Tenuta Centoporte take place at the exclusive Hotel's Restaurant, composed of two internal dining rooms and a large terrace, serving the most selected Salento Cuisine of land and sea dishes, that present the regional gastronomic traditions for the enjoyment of all senses, and are skillfully prepared by top professionals. 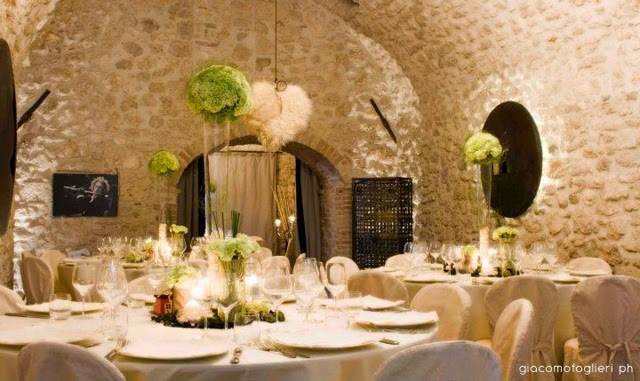 The elegant and delicate decoration, creates a luxury and sophisticated atmosphere to enhance the celebration. 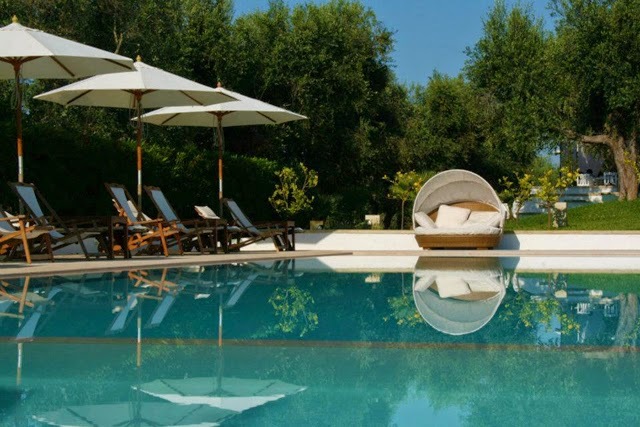 Tenuta Centoporte offers accommodation in a total of 37 different kind of rooms and suites, decorated with the elegance and sobriety of the high class Mediterranean mansions, all with private entrance and equipped with modern appliances. Please visit their profile on our website, to enjoy dozens of pictures in their gallery and read more about Tenuta Centoporte. Our professional wedding planner Daniela Castellarin will be glad to personally answer any questions regarding the possibility of celebrating your wedding reception, at this amazing wedding venue in Italy! 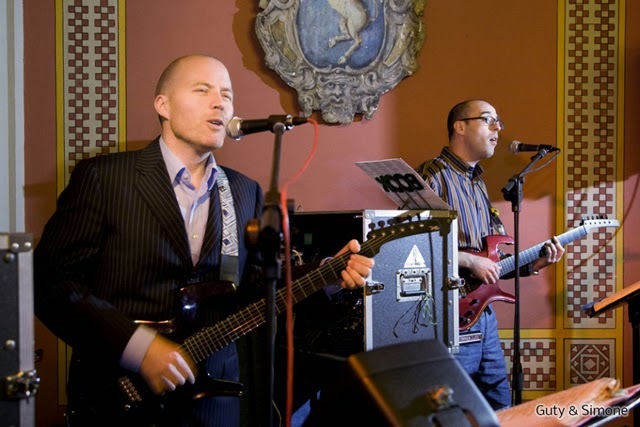 Guty and Simone are two exceptionally talented guitar players and singers, with more than 15 years of experience bringing quality music entertainment to wedding events in Italy and abroad. 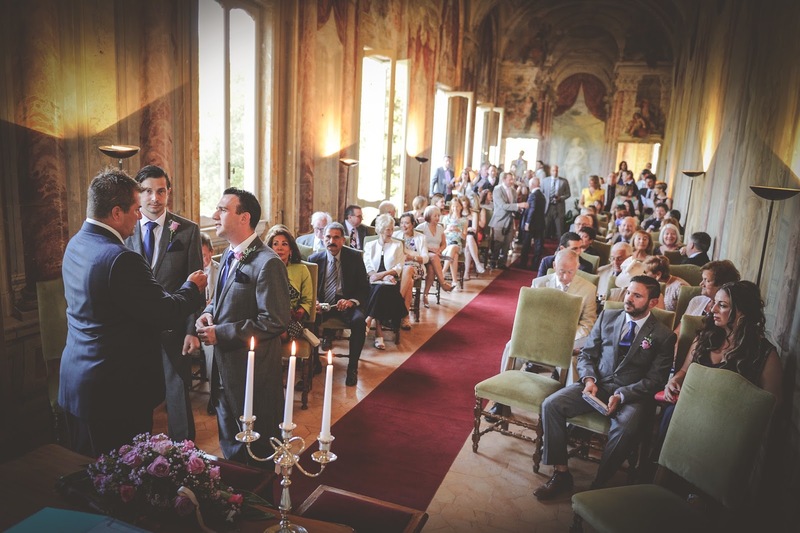 Because of their professionalism and skills, they are well know all across Italy, but also in Ireland, England and even in the USA. 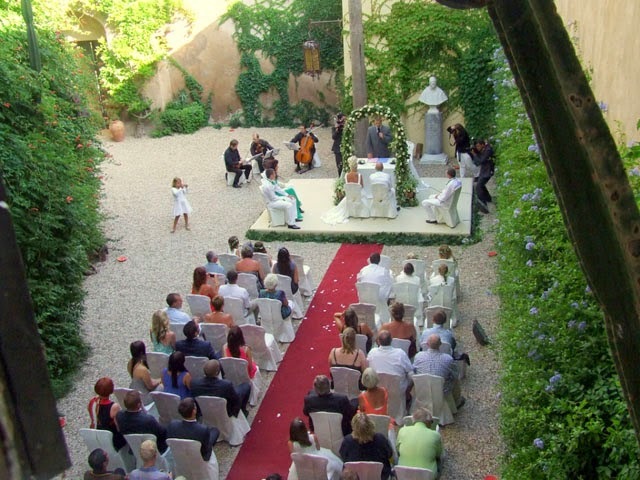 These English speaking musicians make all possible effort to really grasp the preferences of the wedding couple, by establishing an open and frequent communication with them via email before the wedding reception, in order to be able to offer a high quality live music show. 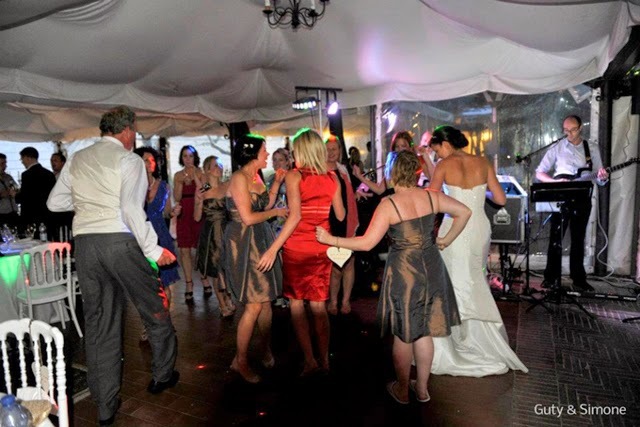 Their flexibility makes it possible for them to include a wide range of styles and genres from the last 50 years of the history of music, making their show successful in entertaining guests of all ages. 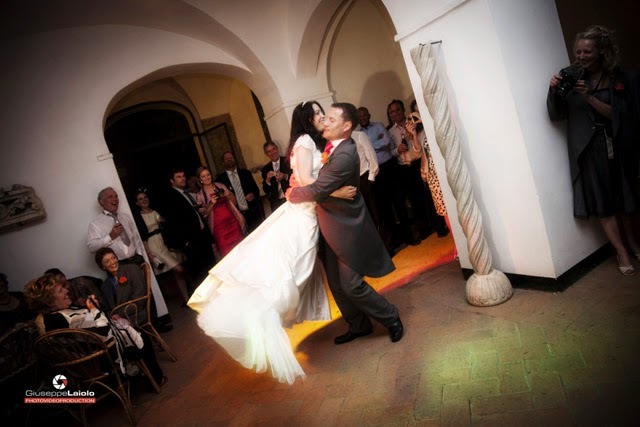 At no extra cost you will be able to choose your favorite tunes from a long list of songs they'll email you. 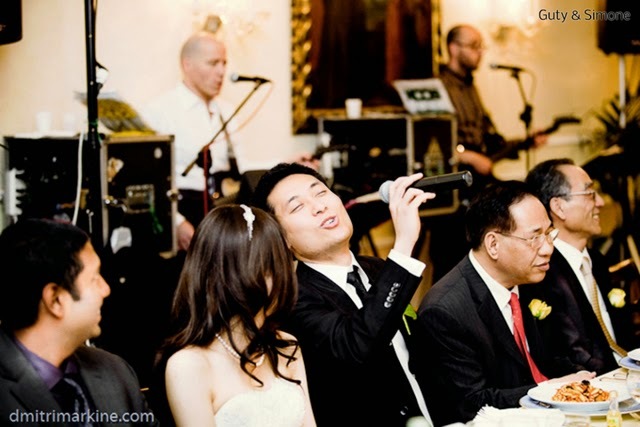 You may request them to learn and perform one extra song that is not included in that list, especially for your reception party. 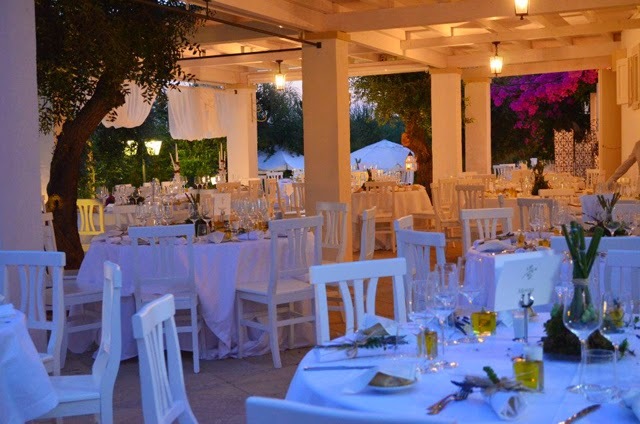 They will play a selection of dance music between the live performances, in order to keep the party going. 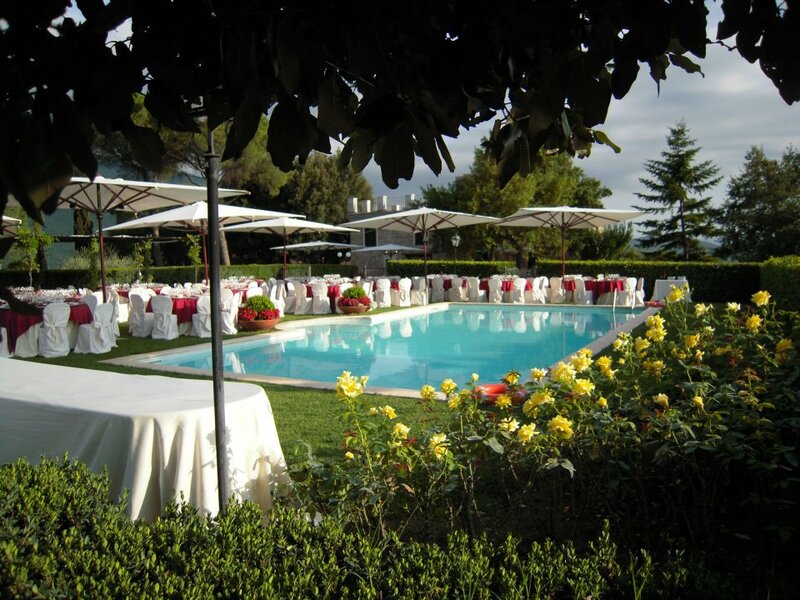 You may also request a DJ set for the after lunch or after dinner. The duo's performances are enhanced with a low consumption, very efficient LED lights system, and they may include a second PA mixer + wireless mic for backdrop music and speeches, again, at no extra charge. At Italy Italian Weddings we always stress how important it is for a wedding reception to be enriched with a live music performance. 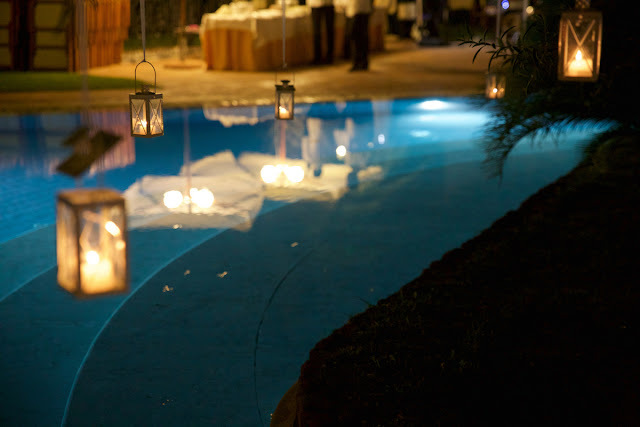 Music keeps the party in full swing and helps you build amazing memories of one of the most important day of your lives! 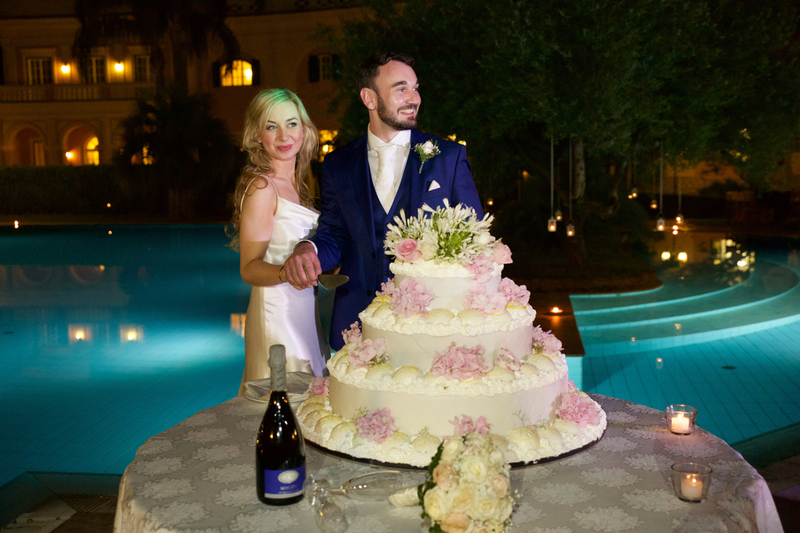 For more information about having Guty and Simone perform live at your wedding abroad in Italy, please do not hesitate to contact our wedding planner, Daniela Castellarin. 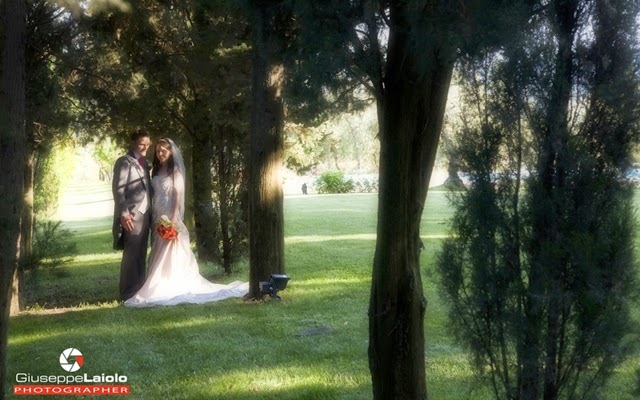 And don't forget to visit their profile on our wesite! 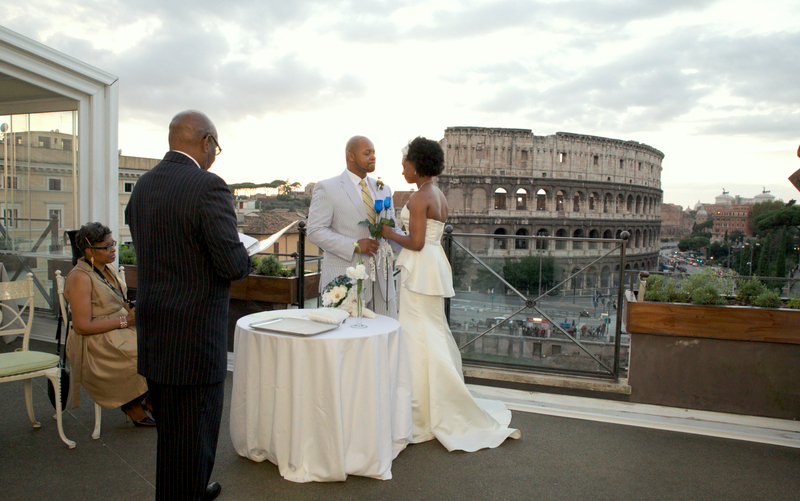 Getting married in the Colosseum? 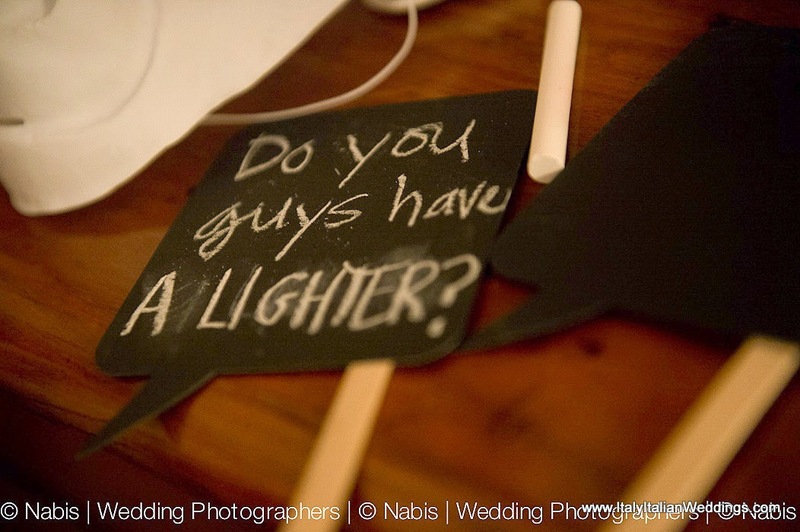 YES, I DO! 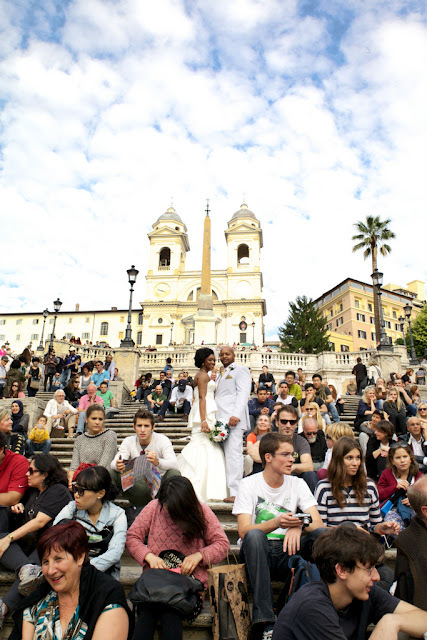 As we announced in first news last weekend on our blog, coming soon, and thanks to a new resolution to be approved by the Roman Assembly, both Italians and foreigners will be able to get married in historical locations, ancient monuments, and other beautiful places of the Roman capital. 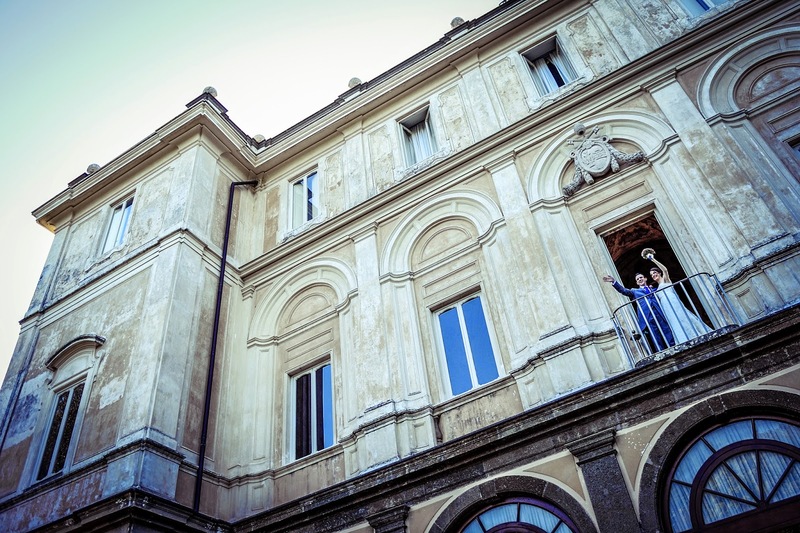 Some of the most sought for spots include the arena of the Colosseum, the parks of Villa Borghese, and even the Stadio Olimpico, home of Serie A clubs Lazio and Roma. 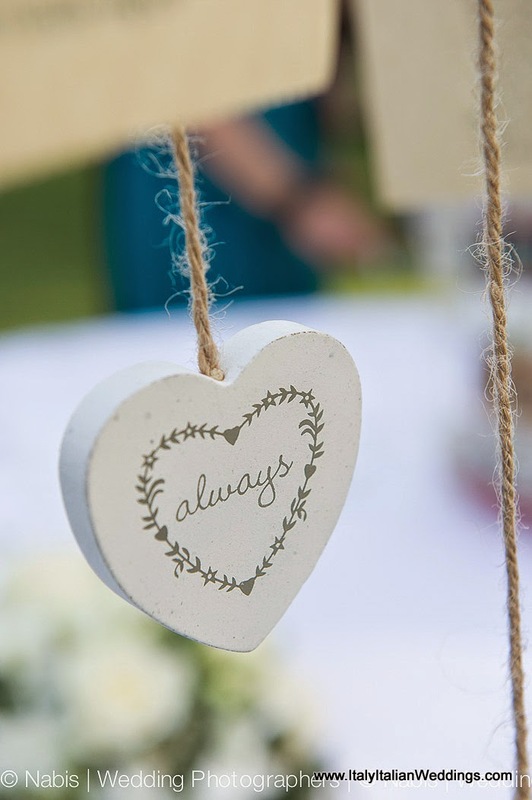 But not only! 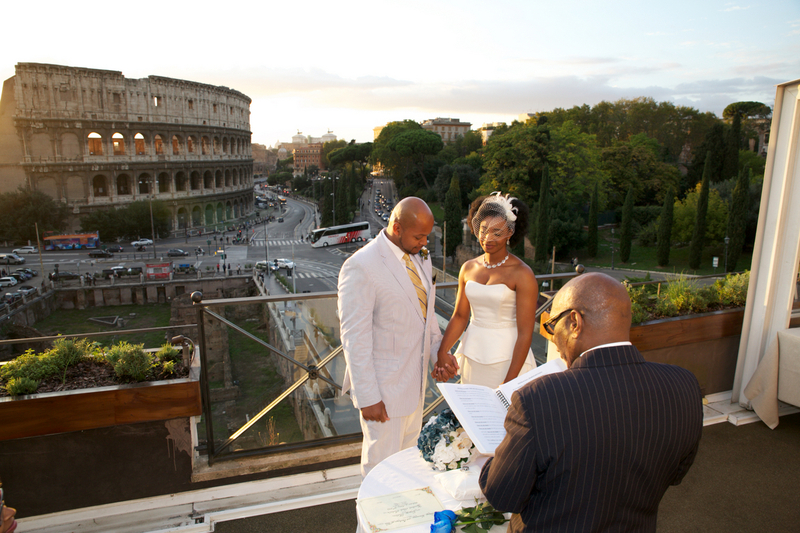 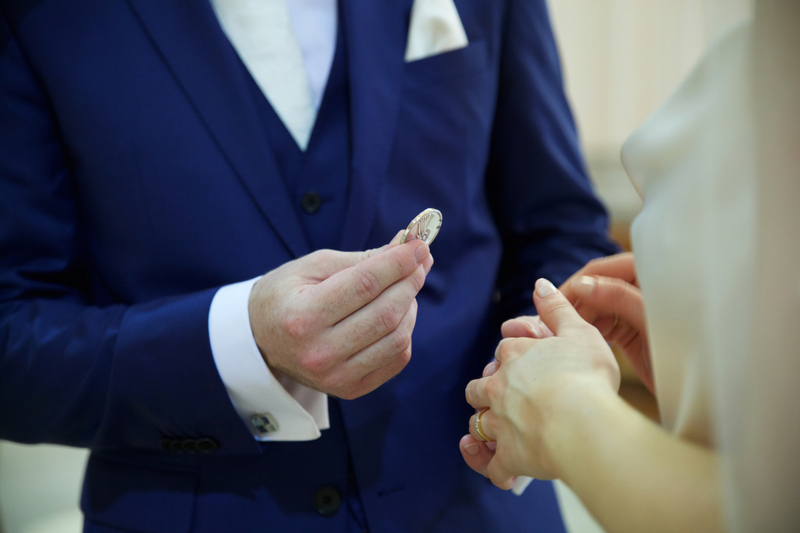 Any location, be it public or private, indoors or outdoors, may host civil ceremonies providing they pay an annual permit. 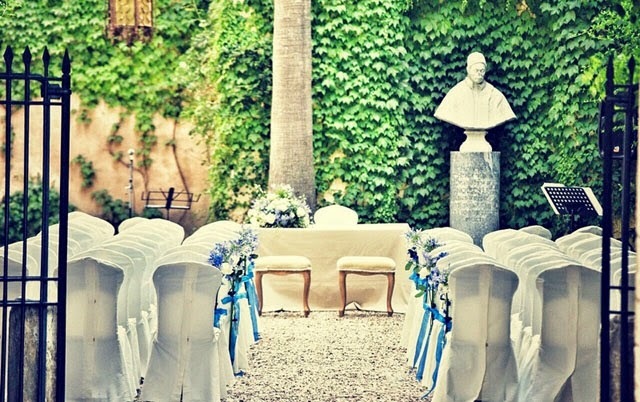 What would be your venue of choice? Leave us a comment! 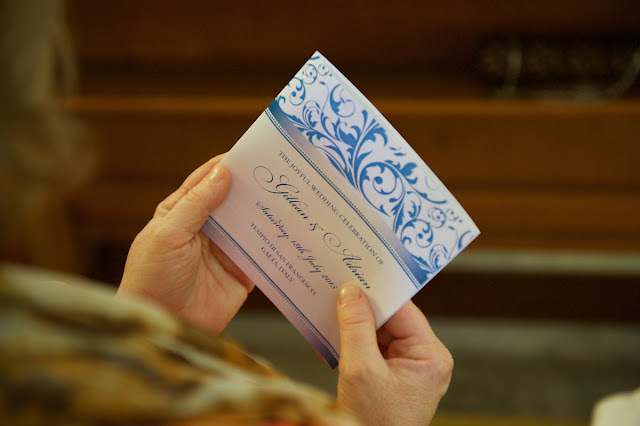 We would like to hear from you! 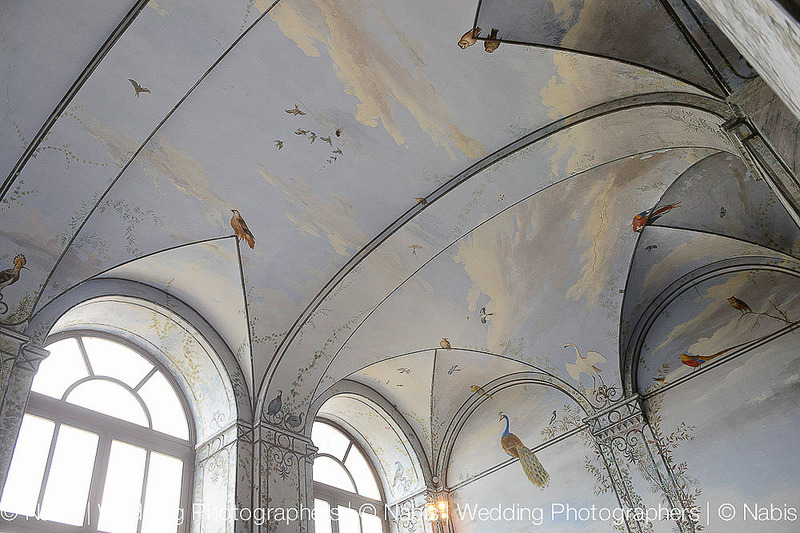 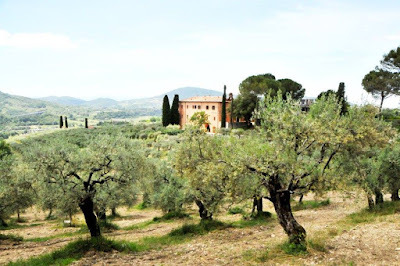 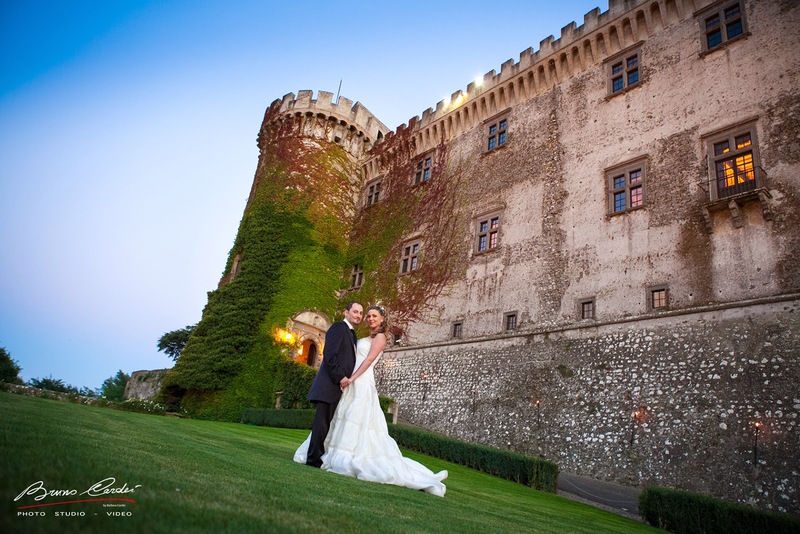 Castello di Montagnano: Our Featured Wedding Venue this Week! 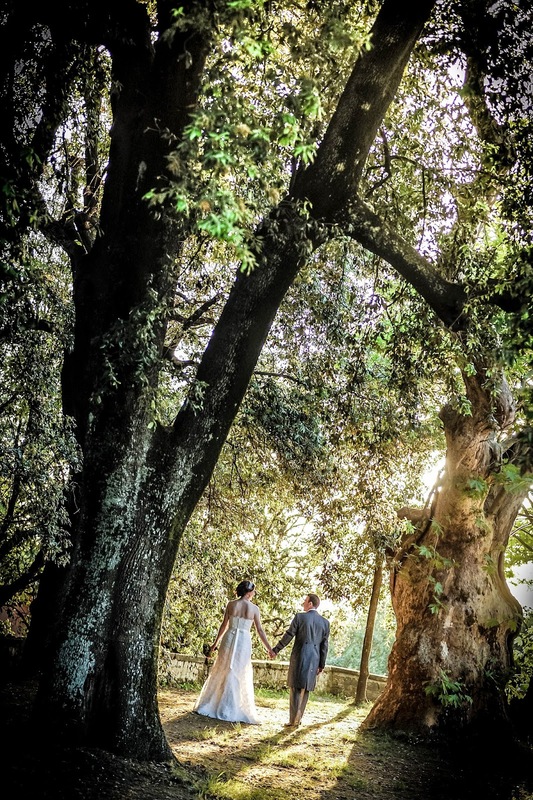 Can you think of anything more romantic than saying "yes, I do" in the middle of a beautiful Mediterranean park, surrounded by ancient olive trees, and with a medieval castle as a backdrop? Is it your drem to get married in the heart of Italy, under a bright blue sky or under a starry night? 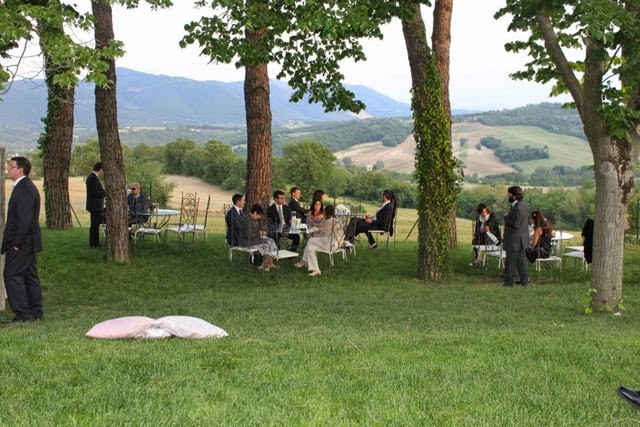 Do you want to host a large reception for up to 250 guests or an intimate country chic Italian wedding? 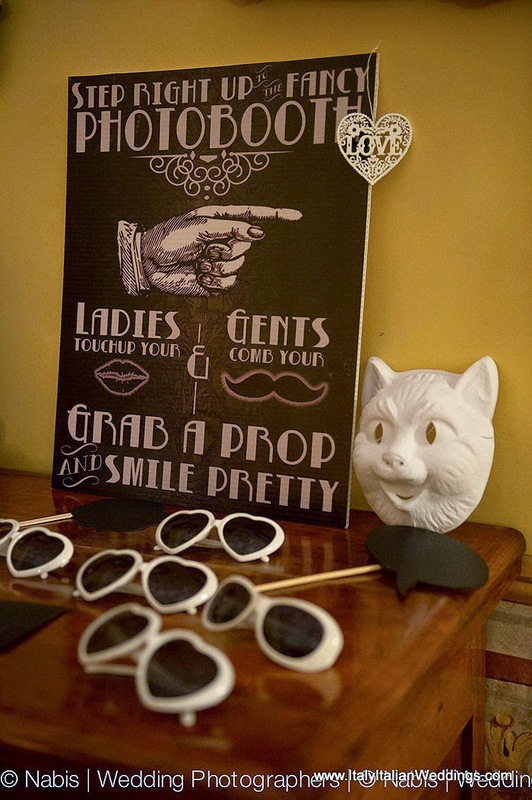 Then we have the perfect venue to suggest you! 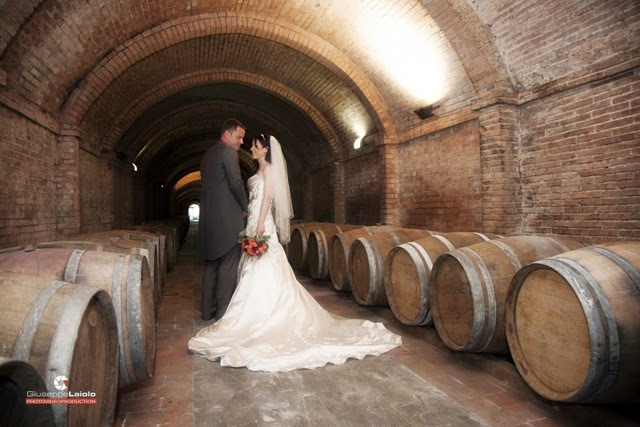 Castello di Montagnano is all of the above, and more. 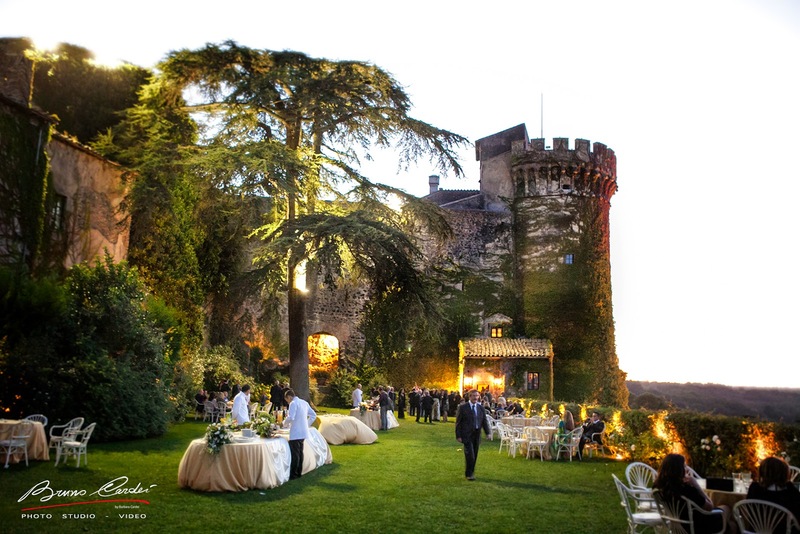 A Castle of Love located in the region of Umbria, the extension of land between the region of Lazio (for which Rome is the capital city), and Tuscany. 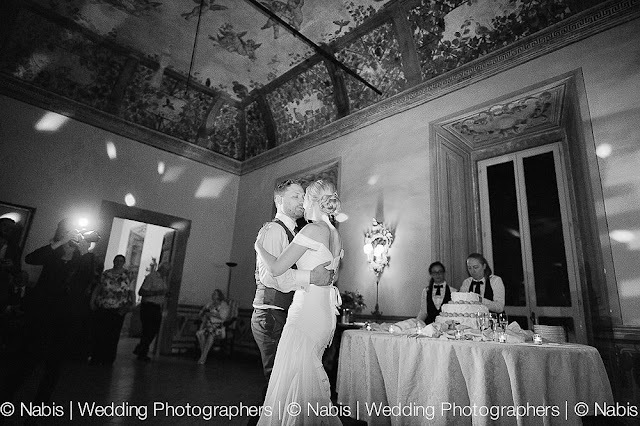 In the nearby of the charming city of Todi, this exclusive wedding venue offers a blending of history and high-class modern design, combining medieval elements like stone walls, old arches and ground floors, with the most sophisticated contemporary design. 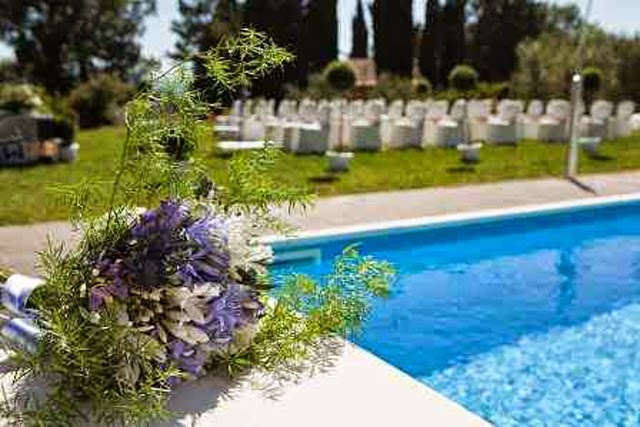 Some of the special features of this Relais include a splending swimming pool by the façade of the building, a first-class Spa offering a myriad of wellness services - including a steam bath and cool watefall, perfect to relax after the reception with champagne cocktails- and the Imperial Room, on the fourth floor. 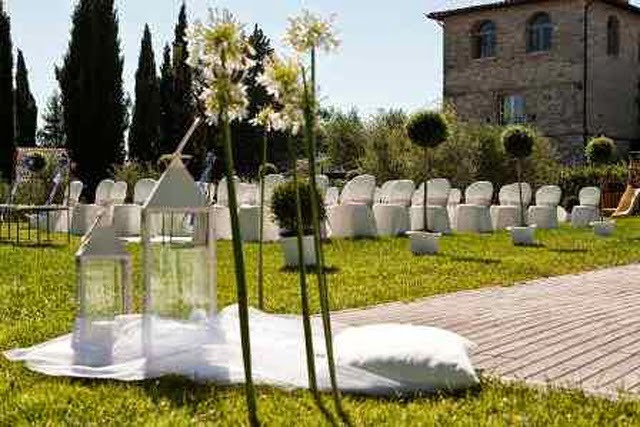 Castello di Montagnano is the ideal venue for a country chic ceremony, but also for a high-profile large event. 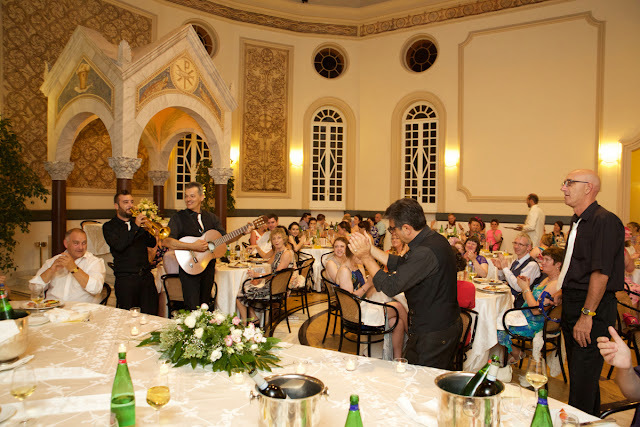 Their highly professional staff takes care of all the details and they provide all necessary services to complement the reception: decor, flowers, live music and performance shows, DJ and even a baby-sitter service. 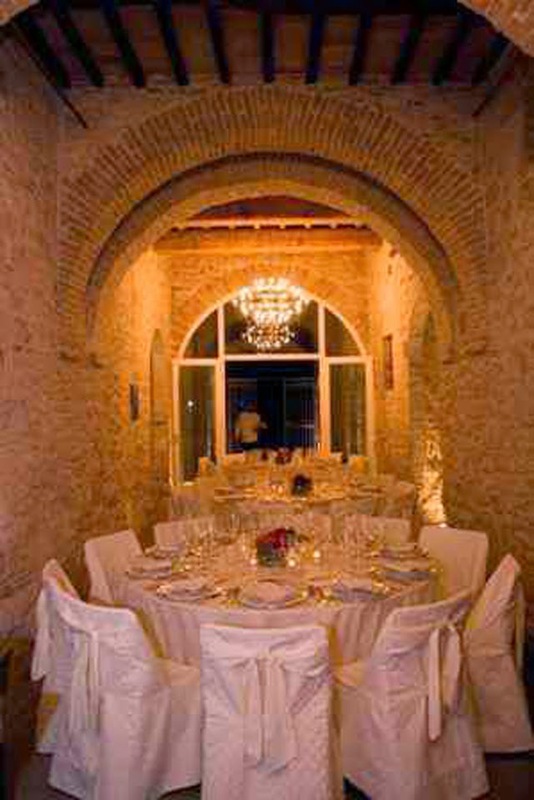 The Castle also has accommodation available for the couple and their guests, in 13 rooms with the best ammenities and comfort, and they organize all types of activities that range from guided mountain bike tours, to horse riding to wine and typical food tastings, in the nearby vineyards. 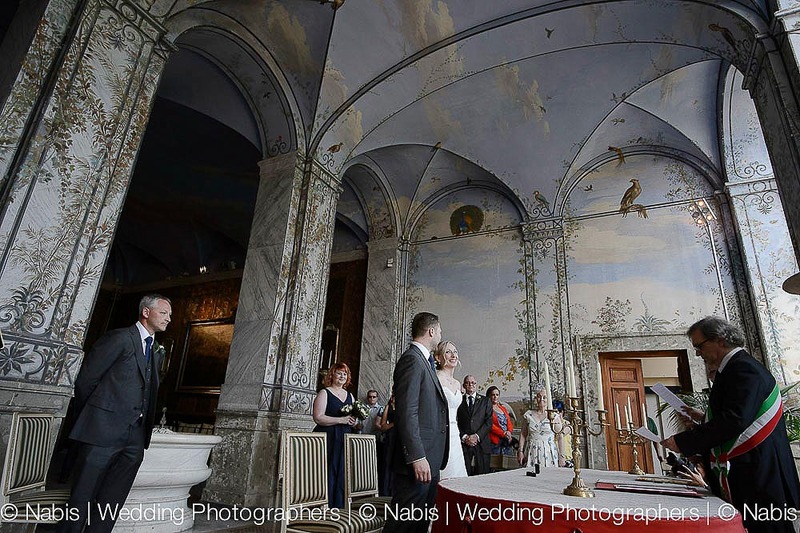 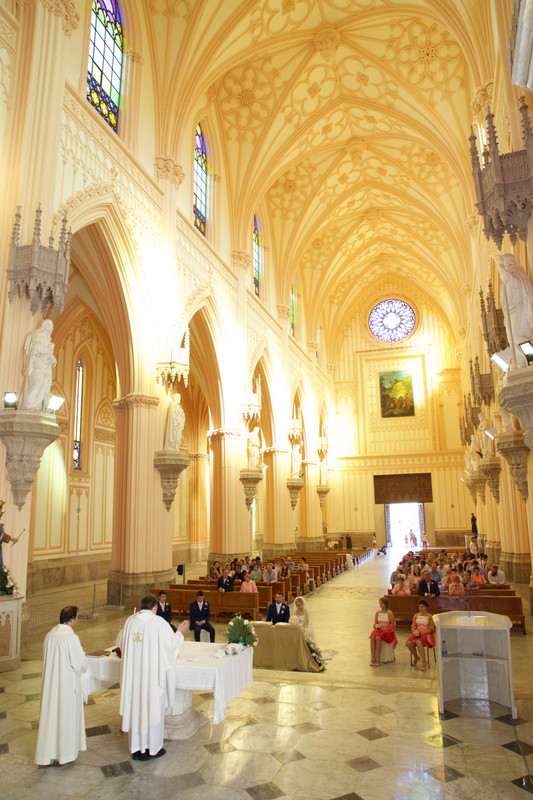 You only have to take a look at the pictures we have selected for you, to see how incredibly beautiful this venue is. 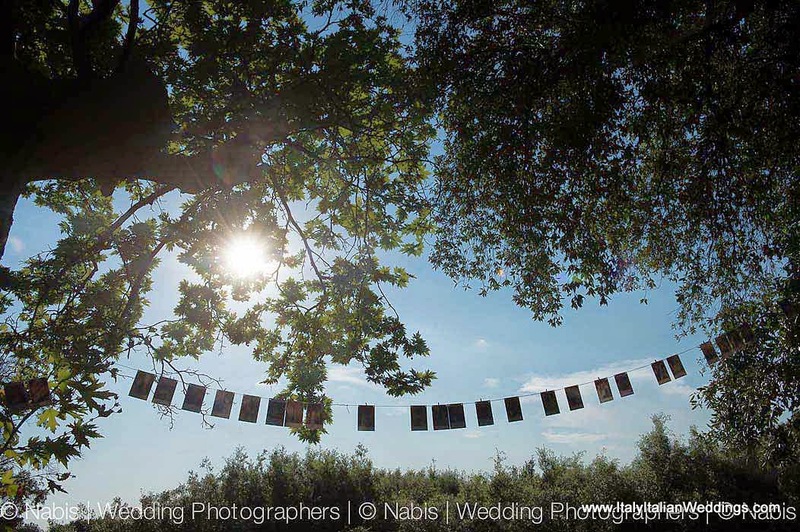 And don't forget to visit their profile on our website, to see many more photographs in their gallery! 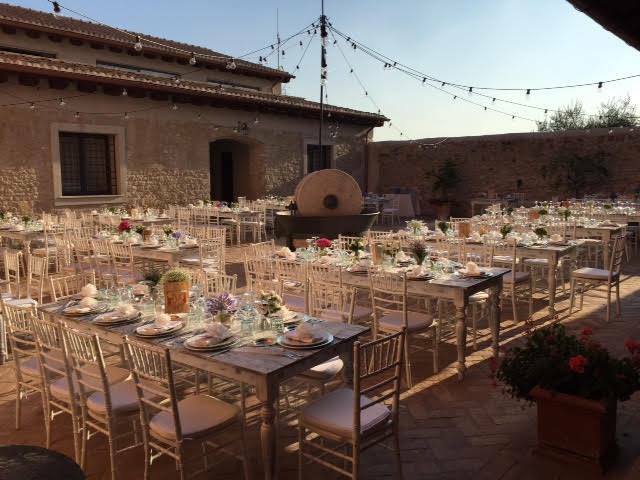 Please do not hesitate to contact our professional wedding planner Daniela Castellarin, to get more information on this venue. 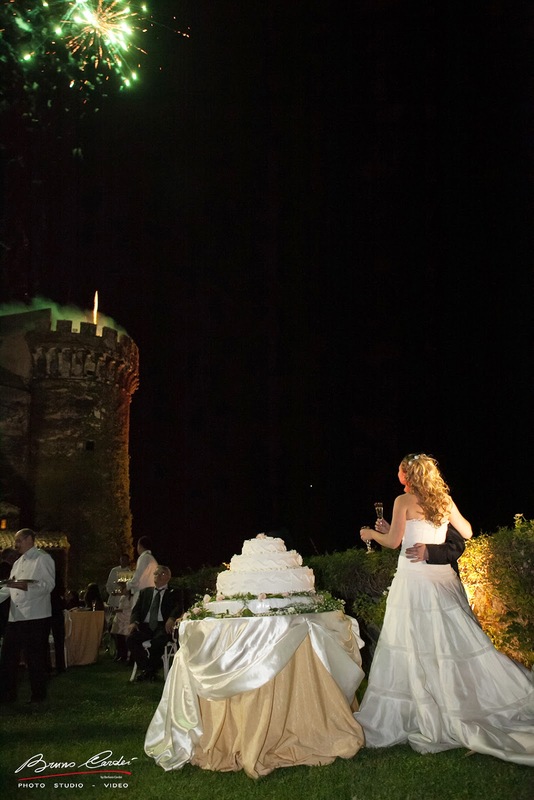 Castello di Montagnano on Italy Italian Weddings - your website for your weddings abroad in Italy. 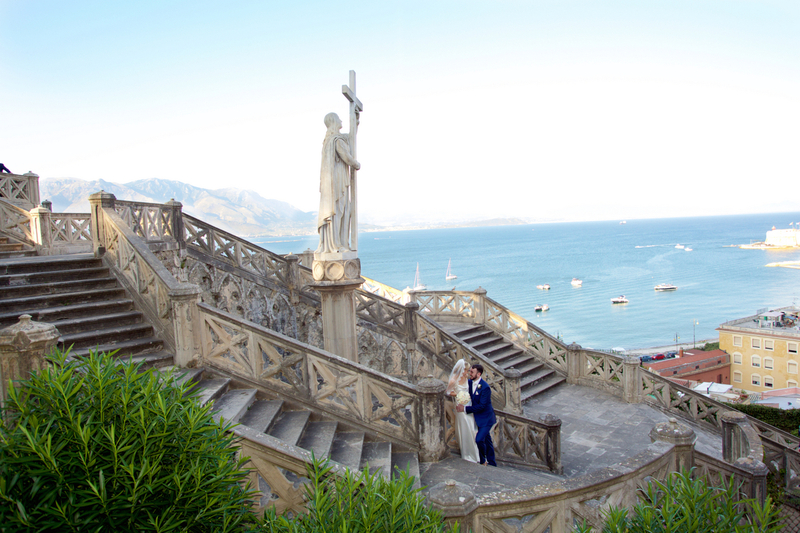 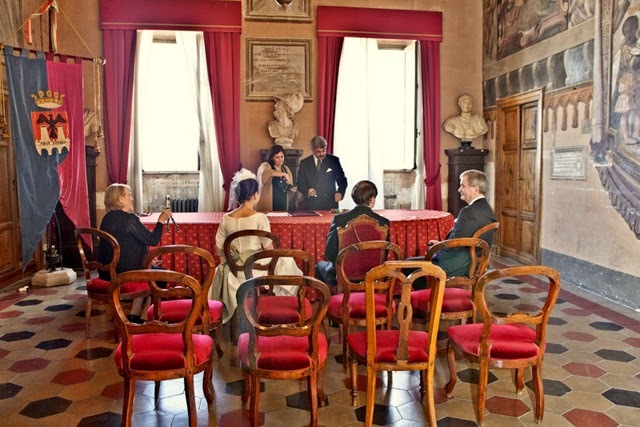 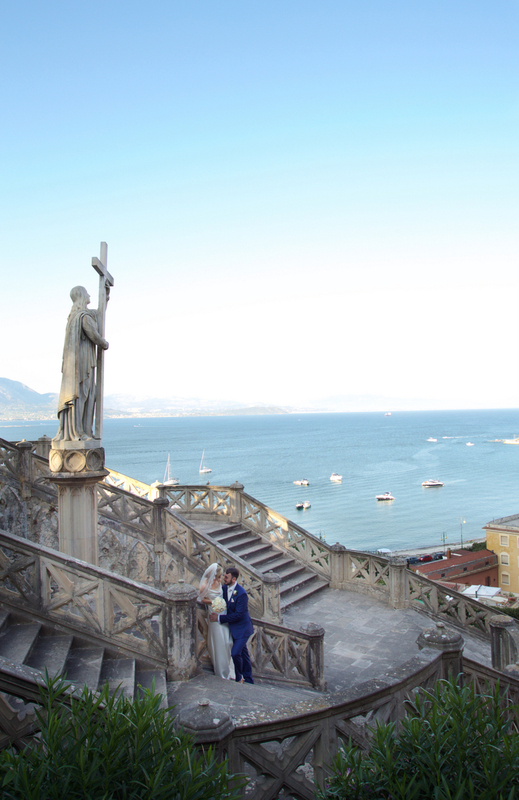 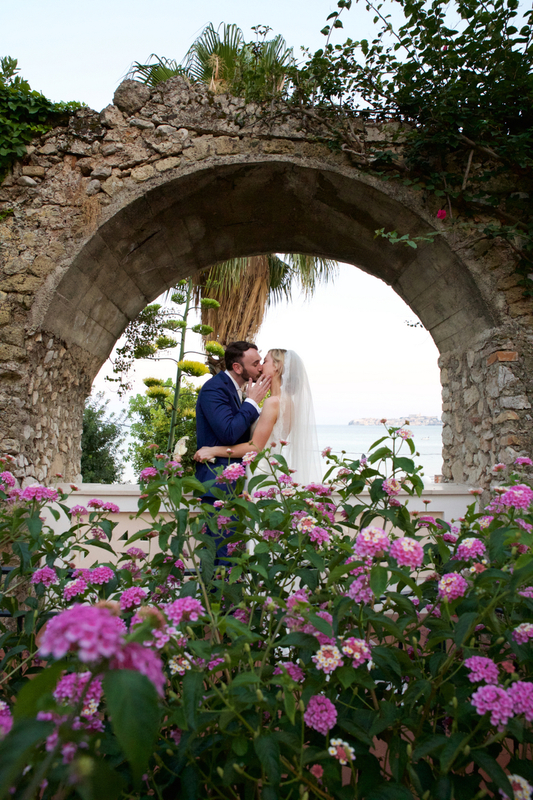 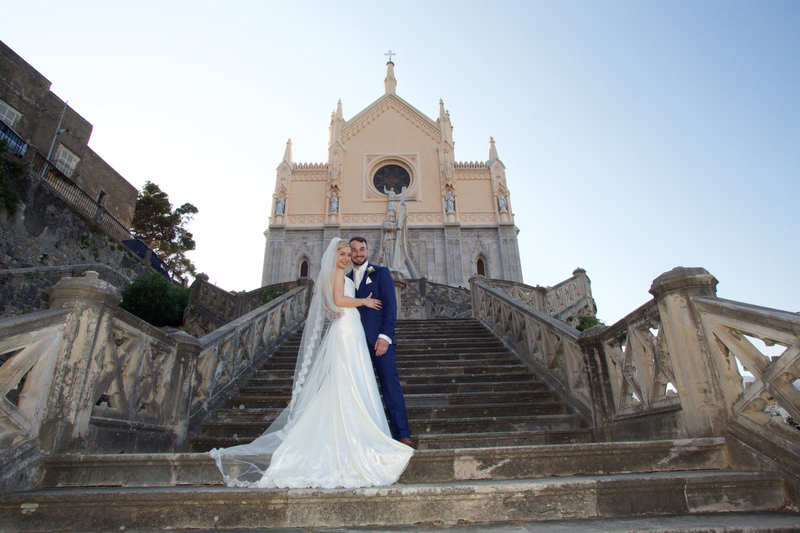 NEWS: Castello Odescalchi Santa Marinella now hosts fully licensed Civil Weddings!!! 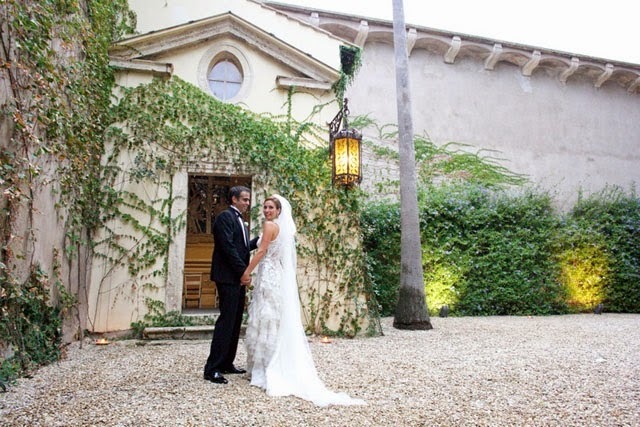 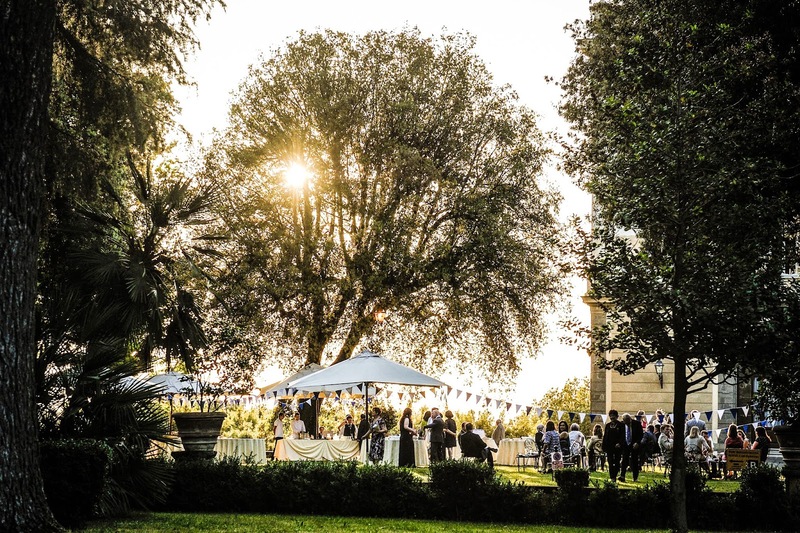 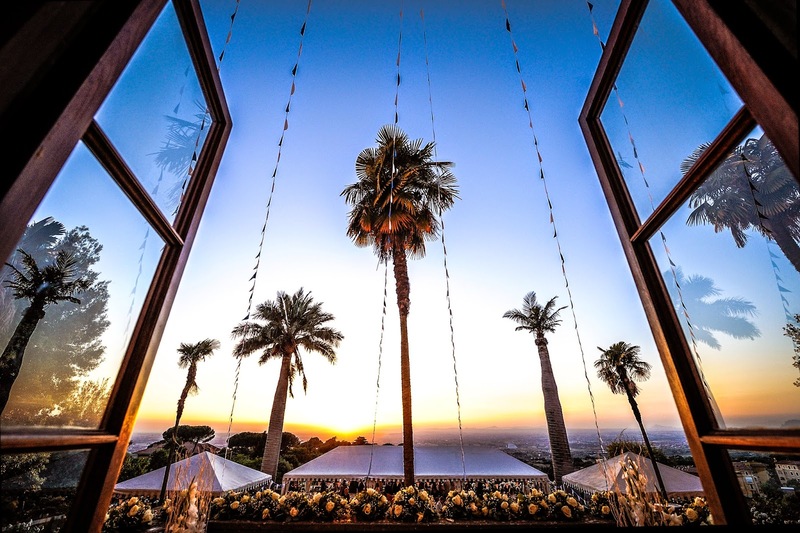 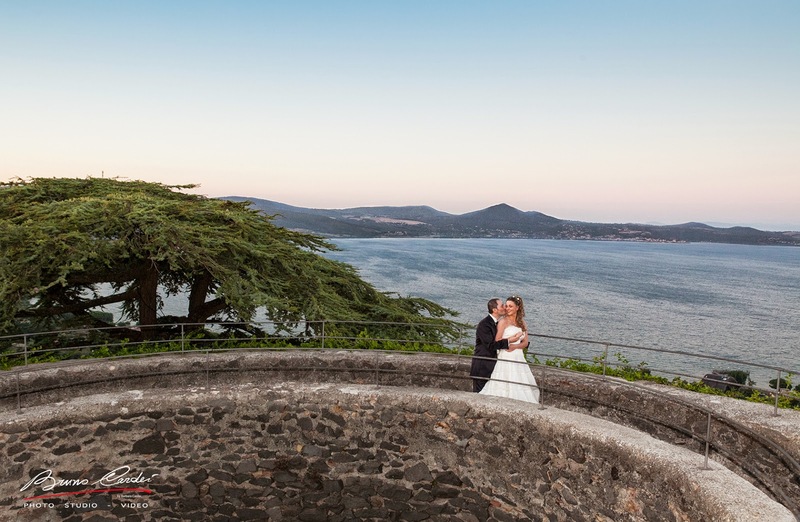 Great news for those who love Italy and are looking for the perfect wedding venue to celebrate their Civil Wedding: now Castello Odescalchi in Santa Marinella, offers the possibility of celebrating the civil wedding right at the castle! 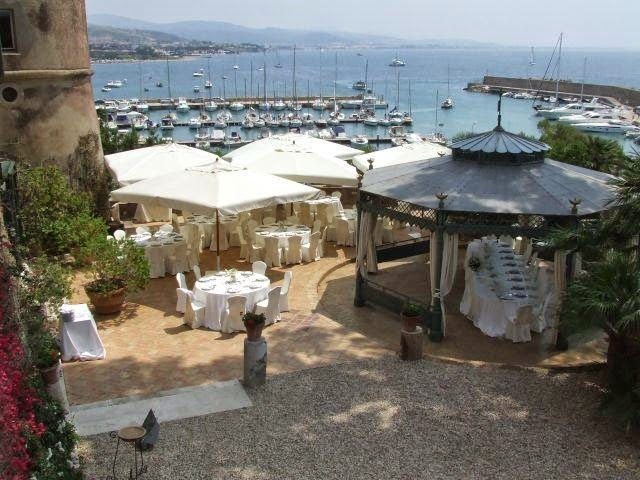 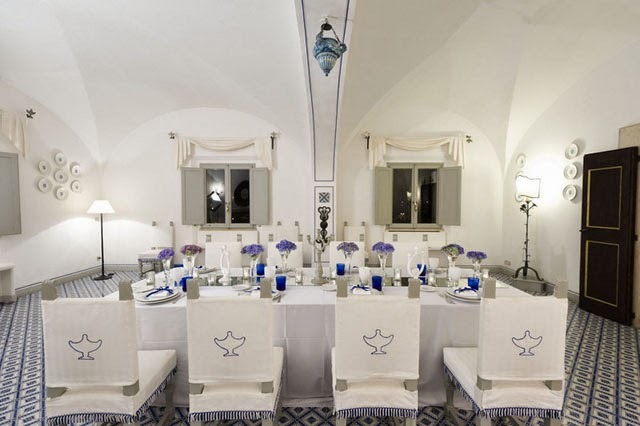 Castello Odescalchi Santa Marinella is an extremely romantic location overlooking the sea. 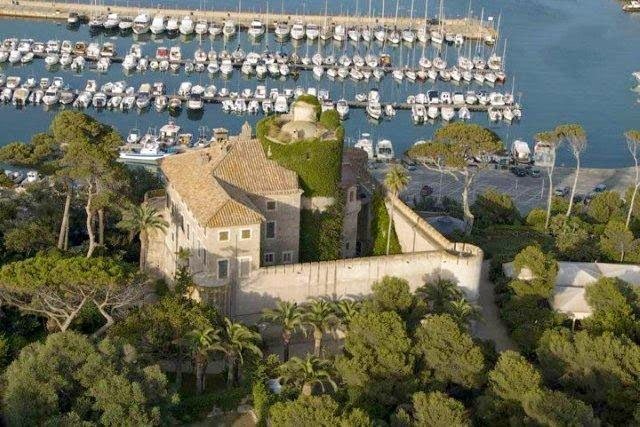 The compound includes fortified walls and medieval towers, the most notorious being a Norman watch tower from the 12th century that rises high above the splendid coastline, and it's surrounded by sumptous parks of umbrella pine trees. 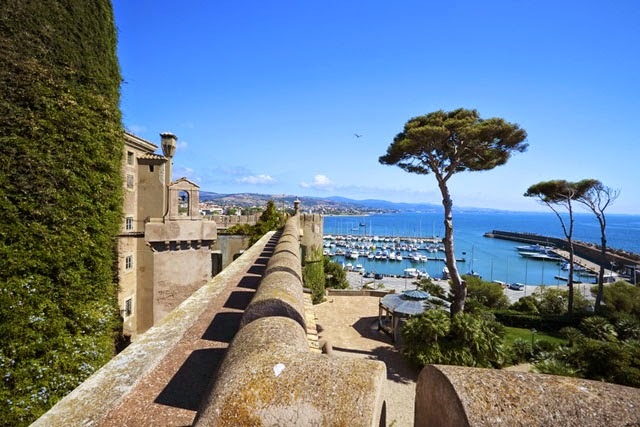 Santa Marinella is only 40 minutes north-west of Rome and 10 minutes away from Civitavecchia. 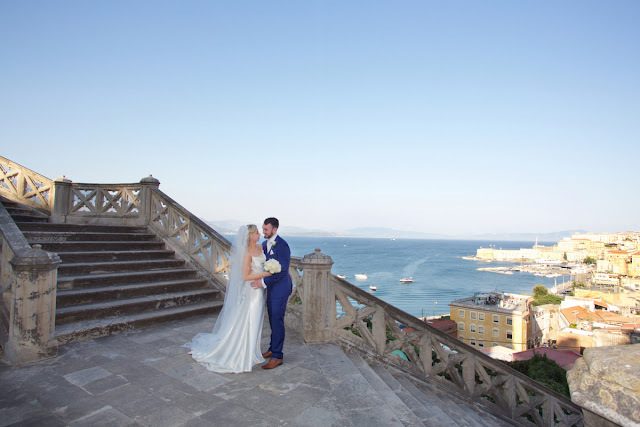 If you wish to live a fairytale wedding and impress every one of your guests with the choice of venue, this is definitely the right wedding venue in Italy, for you! 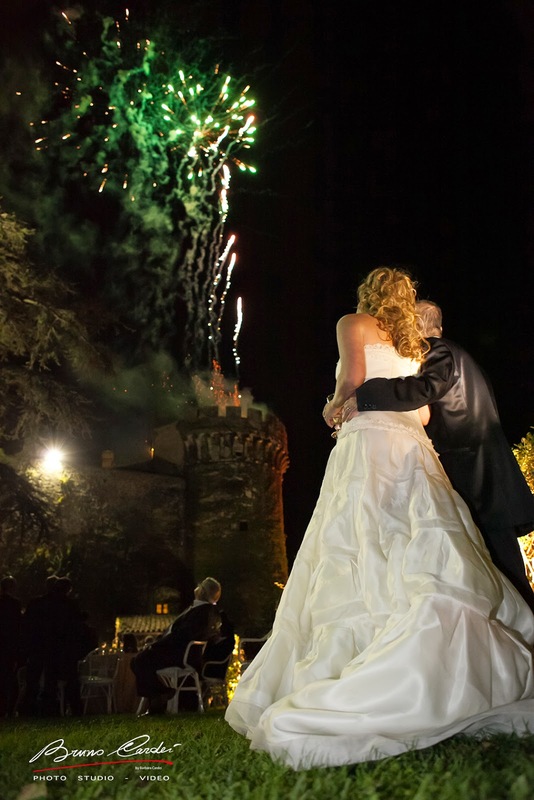 Please get in contact with our professional wedding planner Daniela Castellarin, to request her advice or ask for a quotation, or visit the castle's profile on our website where you will find lots of information, including the venue's capacity and accommodation, and our featured wedding packages! 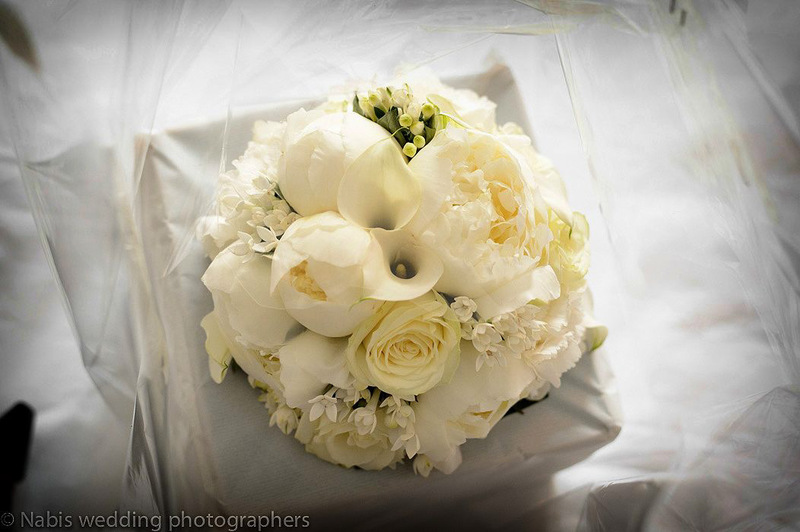 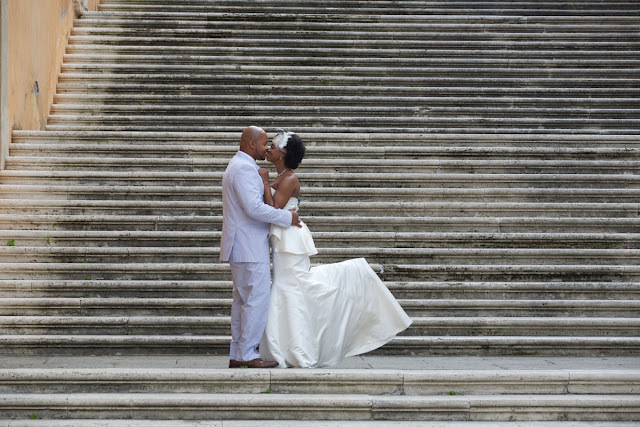 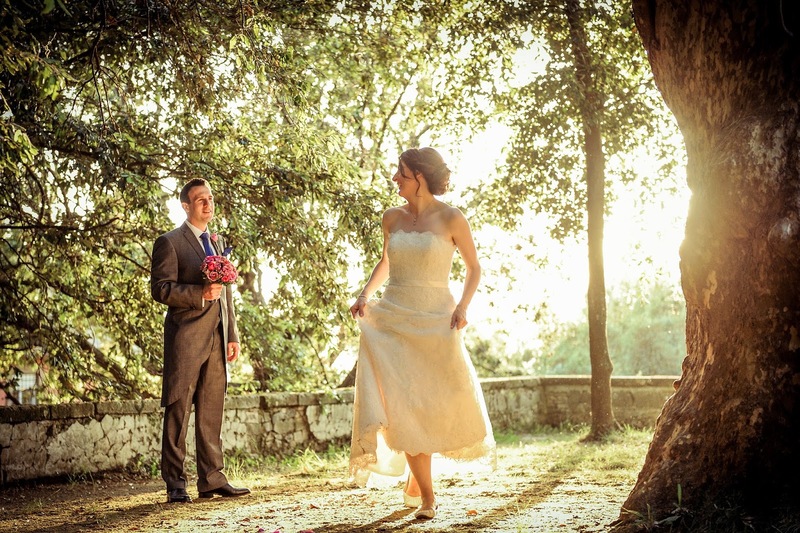 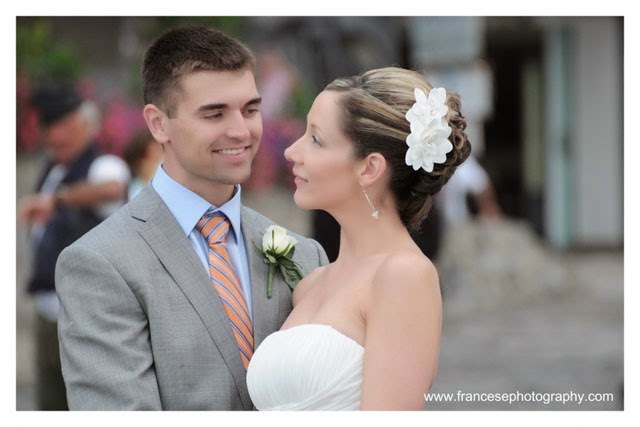 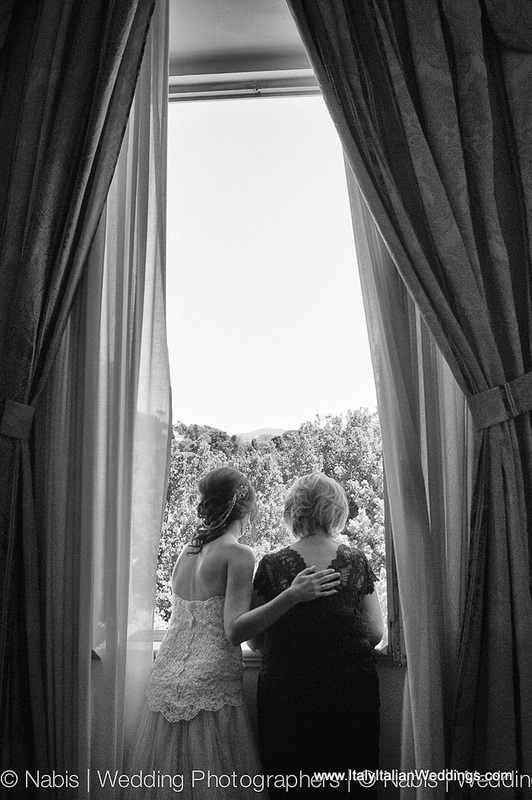 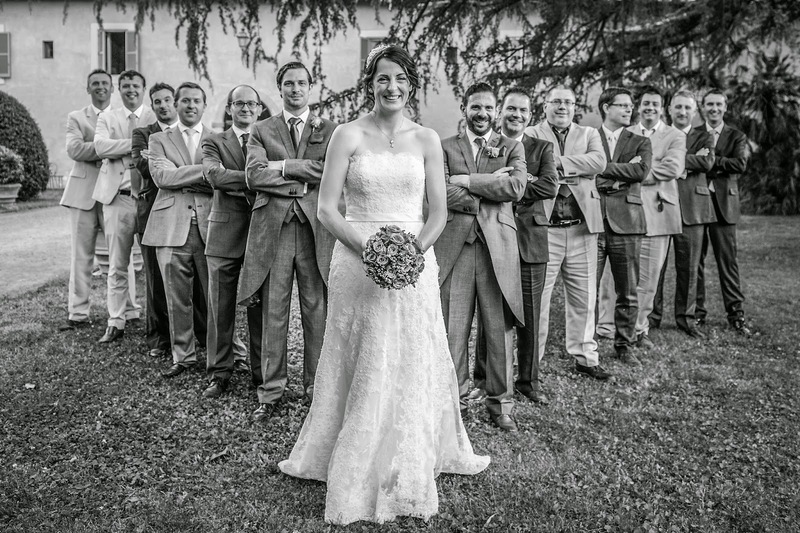 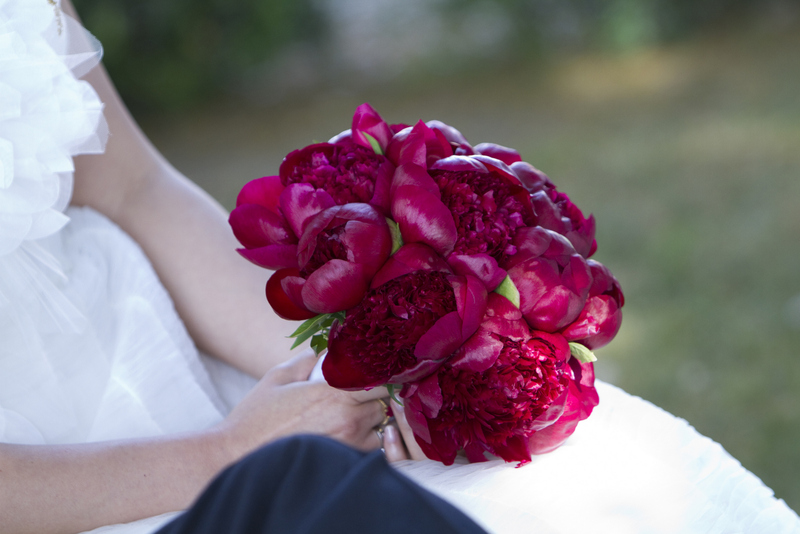 Francese Photography: our featured wedding service provider this week! 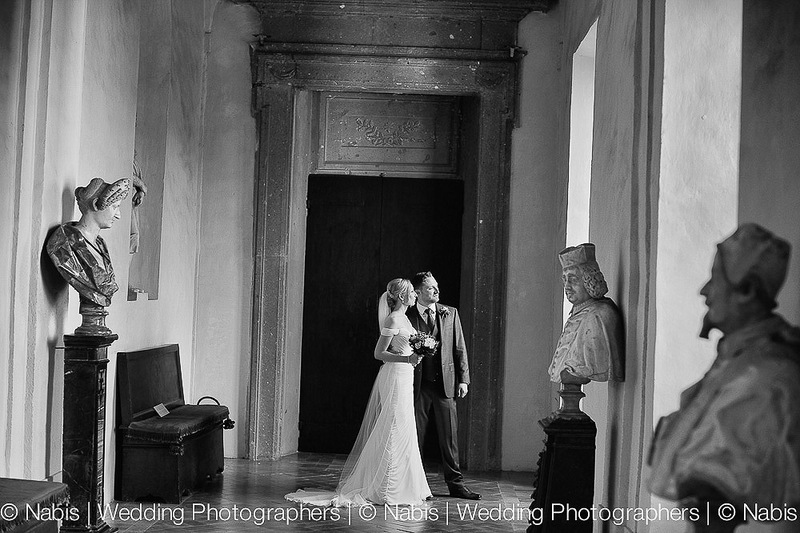 There was a time, not that long ago, that professional photography equipment was only available for certain people. Those that aquired cameras and development gear that produced the best results, where usually professionals that worked in the photography industry, one way or another. Nowadays, high resolution cameras are pretty much affordable and available to most. 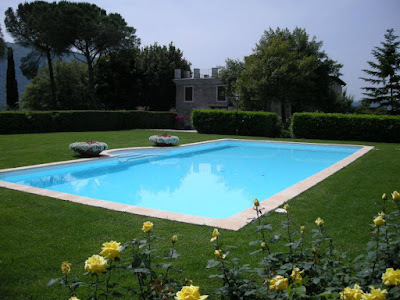 The internet is flooded with pictures of more or less decent quality. 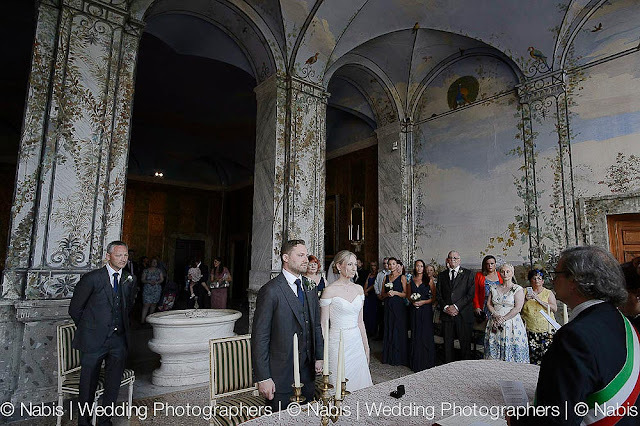 That, and some smart marketing strategies from the camera makers and the social networks PR teams, have given people the illusion that anyone can be a photographer... 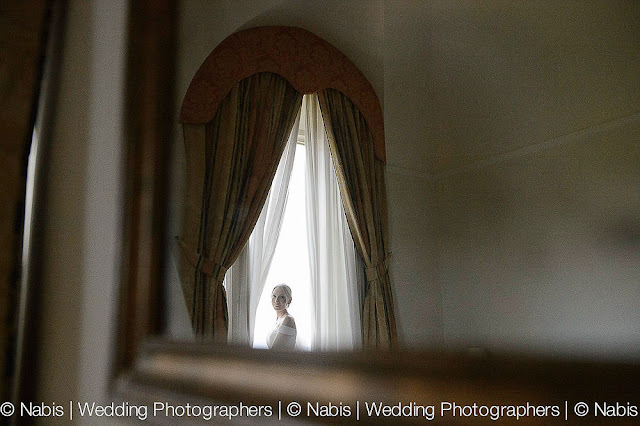 It only takes to see the work of our featured wedding photographers today, to realise that there is nothing further from the truth. 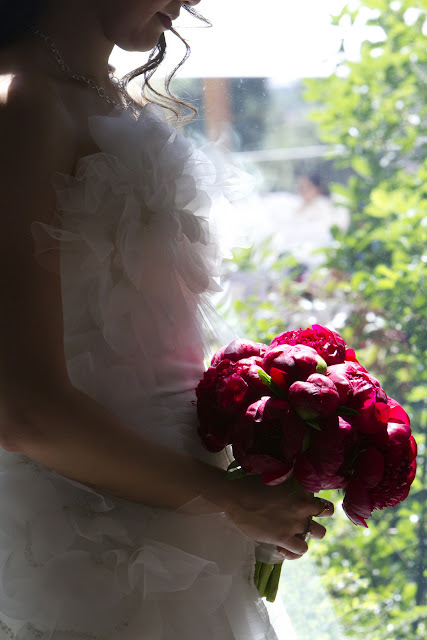 Not only qualified professional photographers have in-depth knowdlege of the use of their -usually very sophisticated and expensive equipment, including not so affordable lenses-, they have formal education in the matter, and they have something that cannot be acquired, and does not come built-in your smartphone: artistic sensitivity. An innate ability to find the perfect angle, the right light, to decide when to press the button, so the most spontaneous and beautiful moments are captured, and in a way that even the slightest detail is there to enhance the final result. 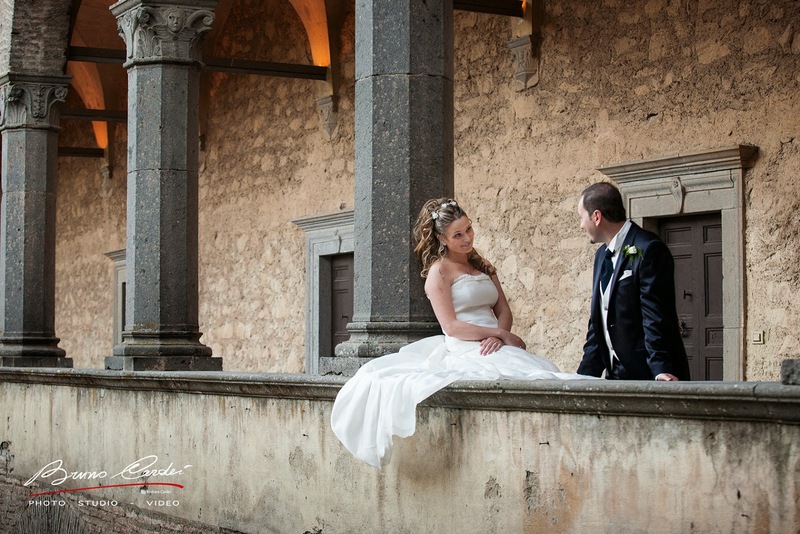 Personally, the sisters Claudia and Antonella of Francese Photography, are among my favorite wedding photographers. 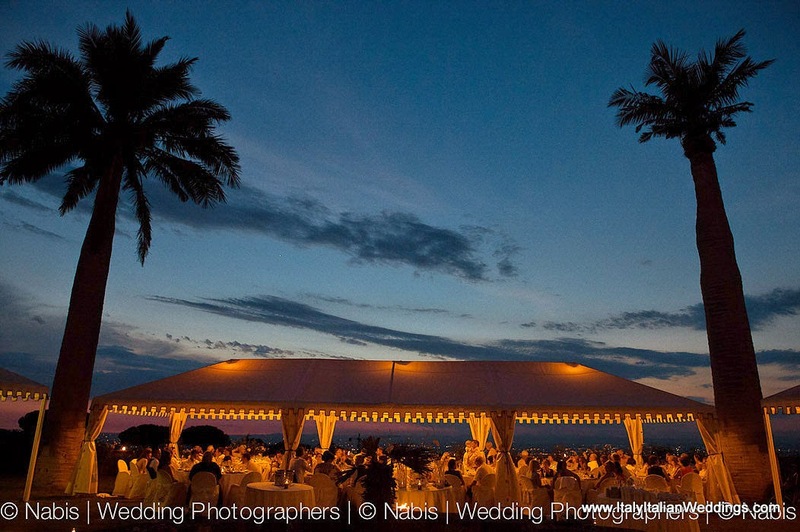 They have an incomparable, stunning way to narrate a wedding event, that makes you feel like you are right there when you're browsing through their photos. 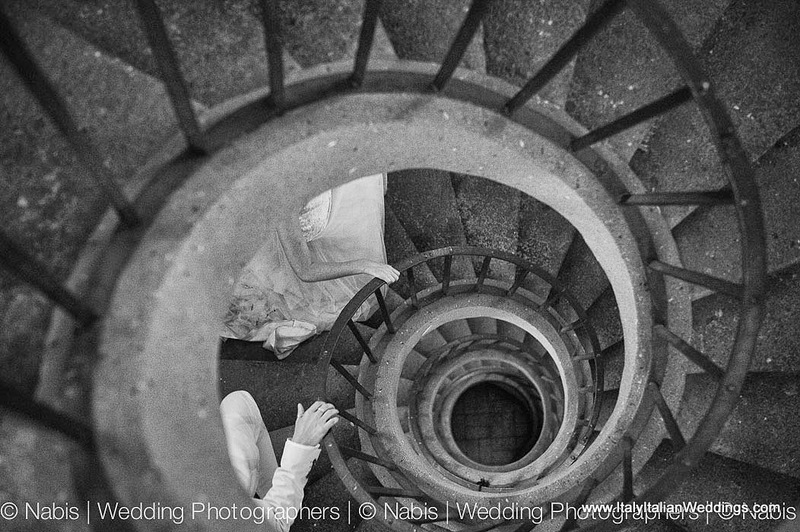 No wonder their wedding story is the featured wedding album on our website. 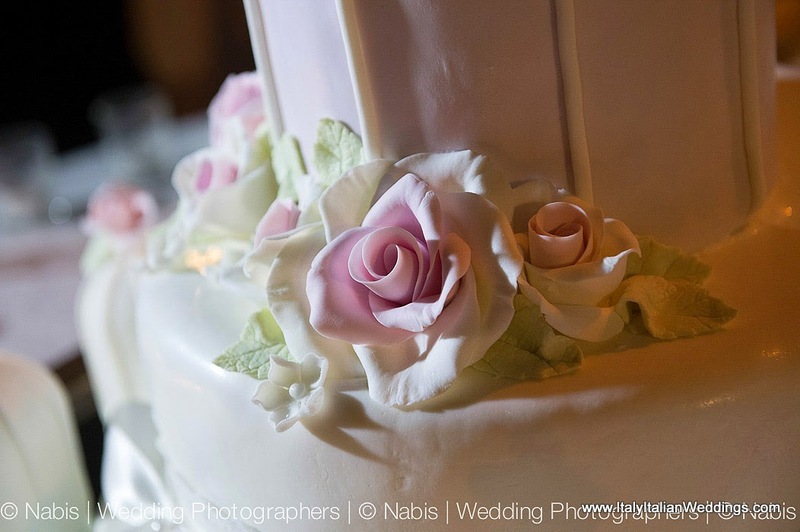 There are not enough compliments and not enough words to describle the perfect beauty of their work: clean, simple, soft, an amazing palette, a wonderful flow between images, a consistency that can only be accomplished through experience and a natural predisposition towards art, passion for one's work and tremendous skills. 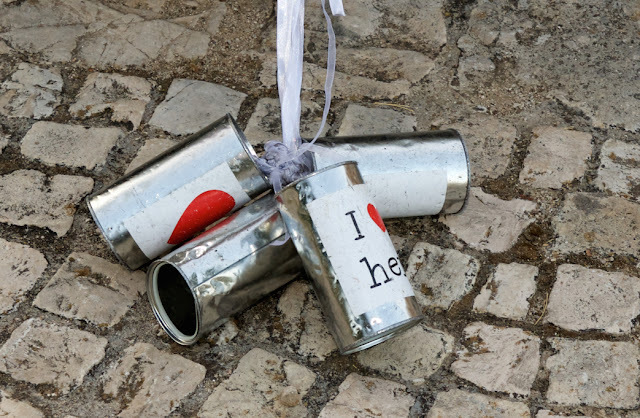 And it is also about their philosophy in particular, and they literally say: "You cannot talk about love, without believing in love. 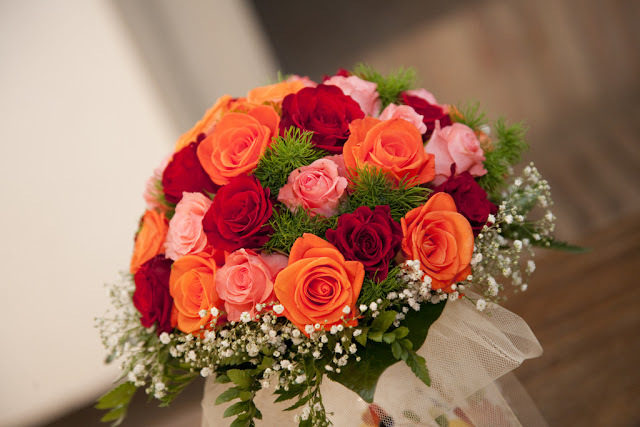 And you cannot believe in love, without sympathizing with those who are experiencing it...". 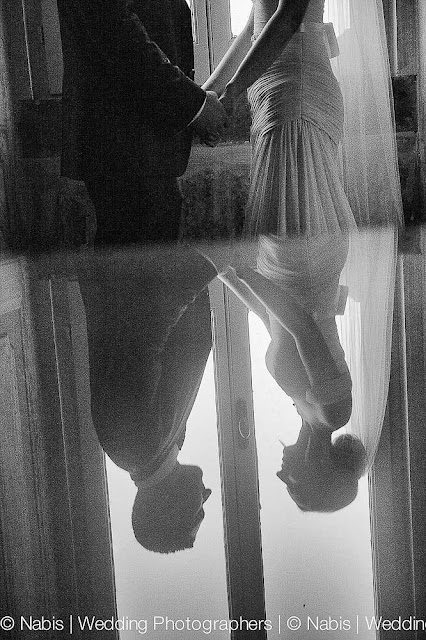 And those are their weapons to discover the most inner beauty of the bride and groom and the ceremony in itself: they remain a discreet accomplice to their love. 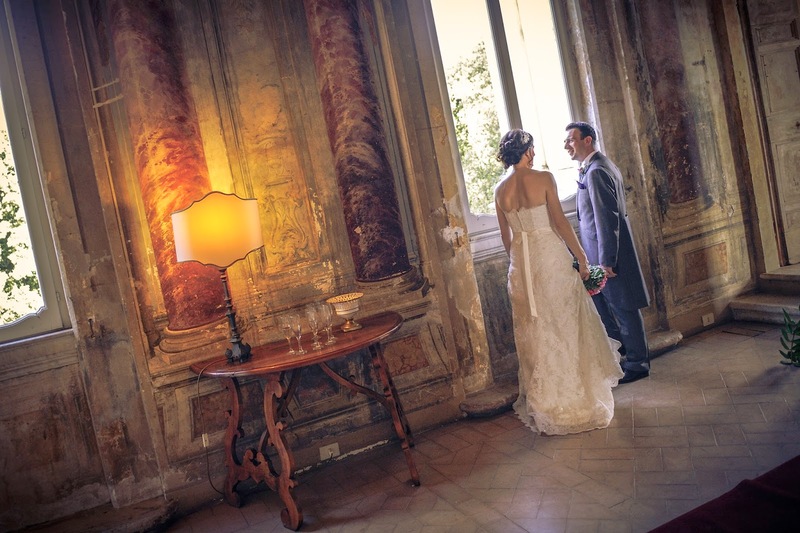 Francese Photography has been rightfully awarded with the Wedding Industry Experts Award in 2012. 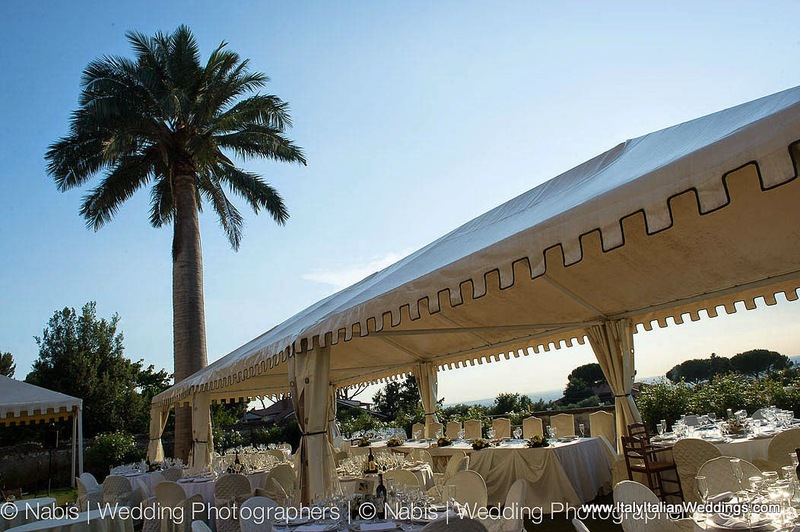 Please visit their profile on our website, and do not hesitate to request more information! 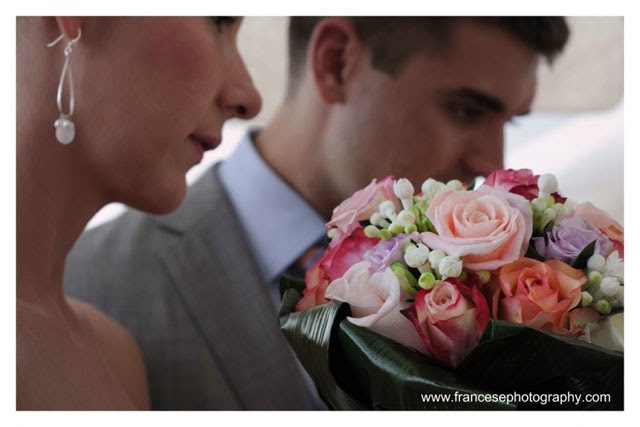 Francese Photography on Italy Italian Weddings. 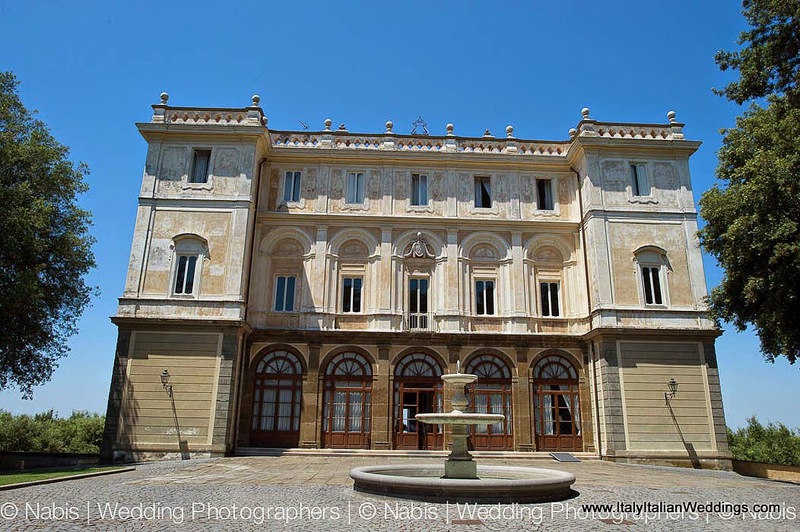 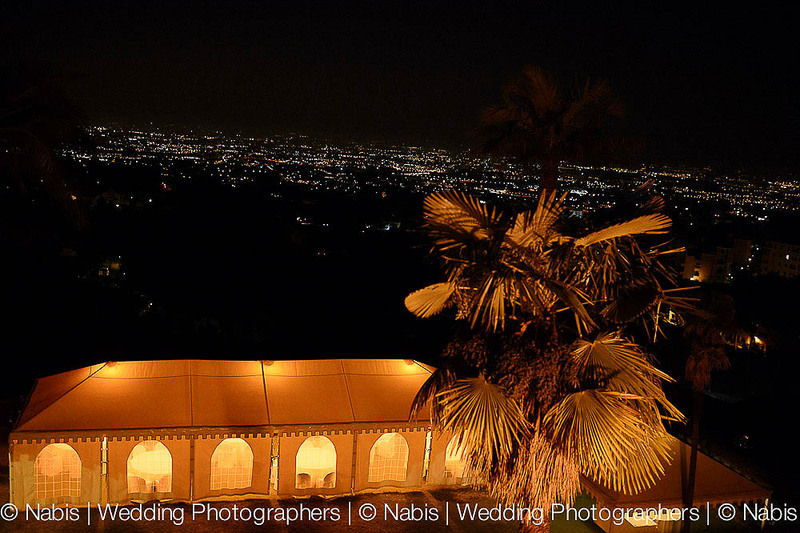 The Tivoli Wedding Hall: Our featured Wedding Venue this weekend! 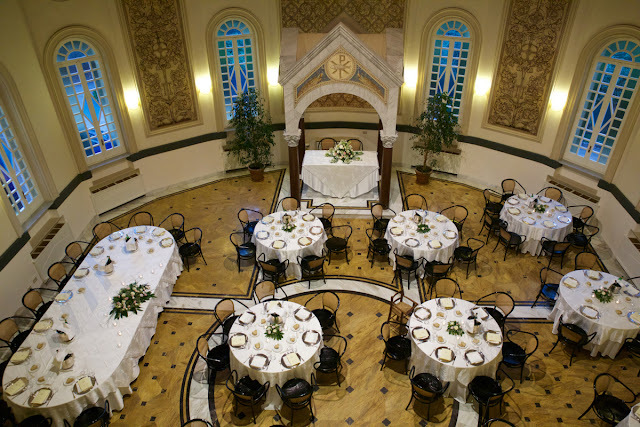 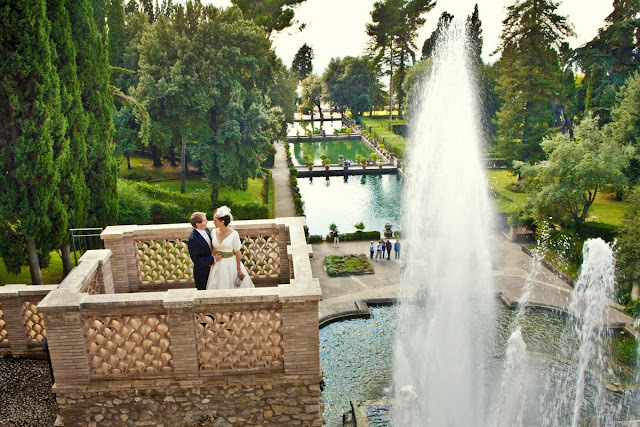 Our wedding planner Daniela Castellarin, recommends the Wedding Hall of Tivoli, for a perfect civil wedding ceremony near Rome. 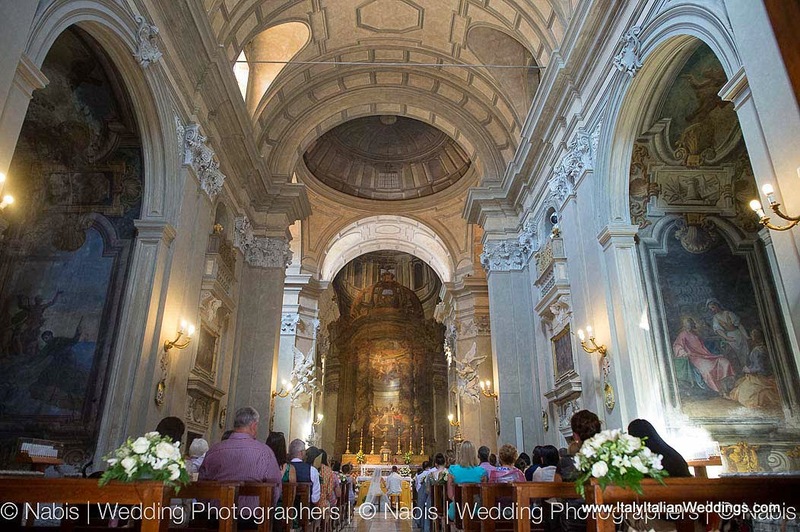 Only half an hour away from the modern capital of Italy, Rome, this Wedding Hall is located in the Palazzo San Bernardino, a former monastery from the 15th century. 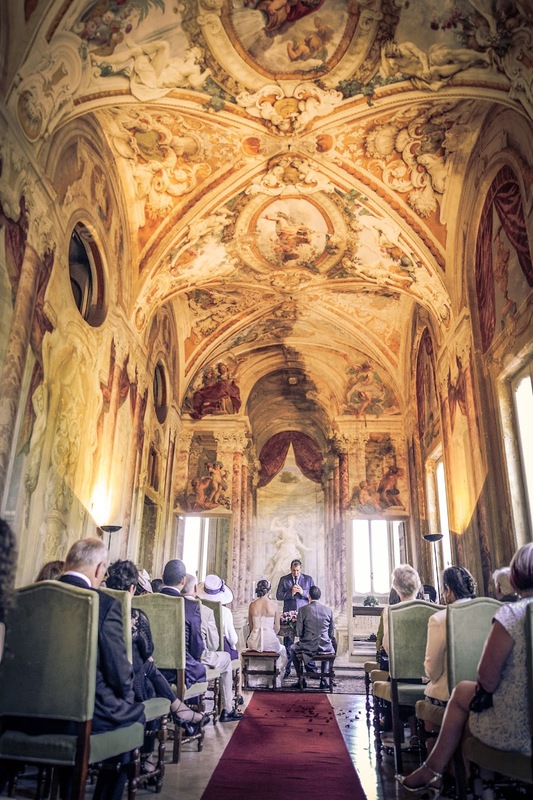 Richly decorated with frescoes and paintings from the Renaissance times -including "La Pala d'Altare" by Sano di Pietro (1406-1481)-, there are also dozens of Roman statues, mosaics and antique furniture. 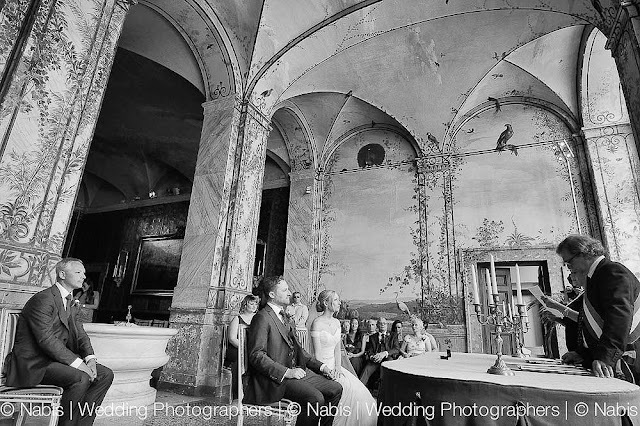 Please take a look at the pictures selection, and visit the Hall's profile on our website, to see more photographs of Tivoli (including a photo shoot at Villa d'Este!) and learn more about this venue! 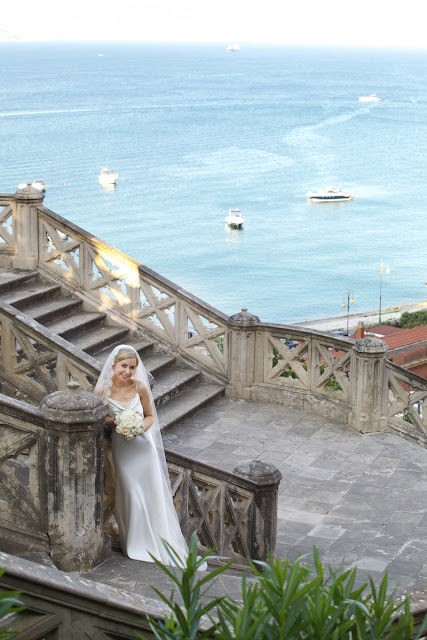 You are always welcome to contact Daniela Castellarin, to get more information. 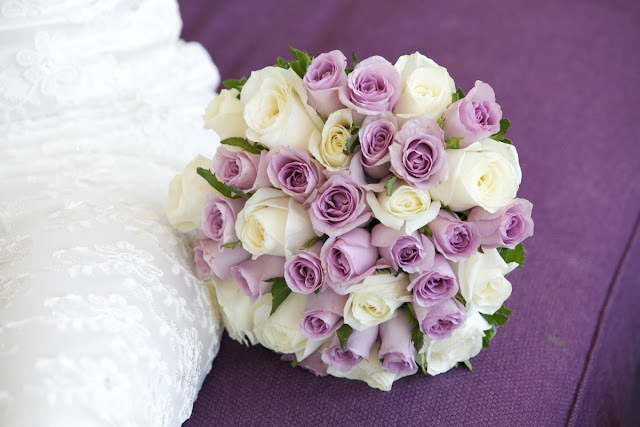 *A special permit is required and must be requested in advance. 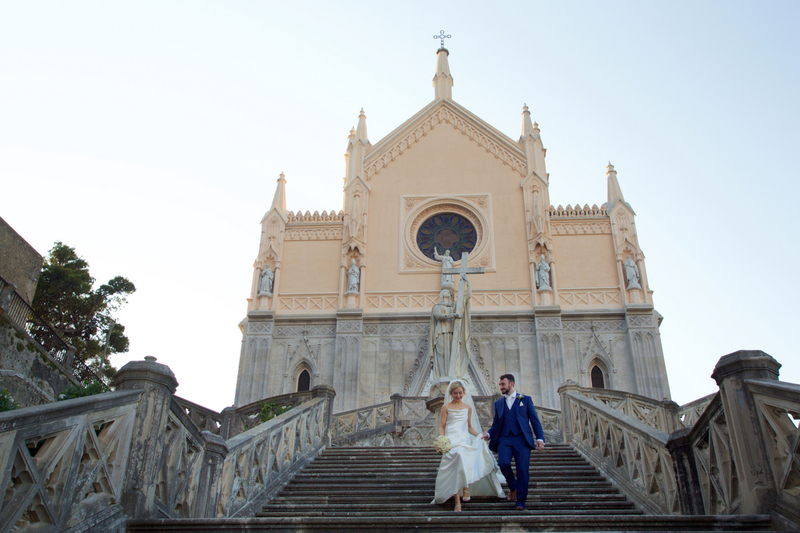 Giuseppe Laiolo Wedding Photography: Our featured wedding service provider this week! 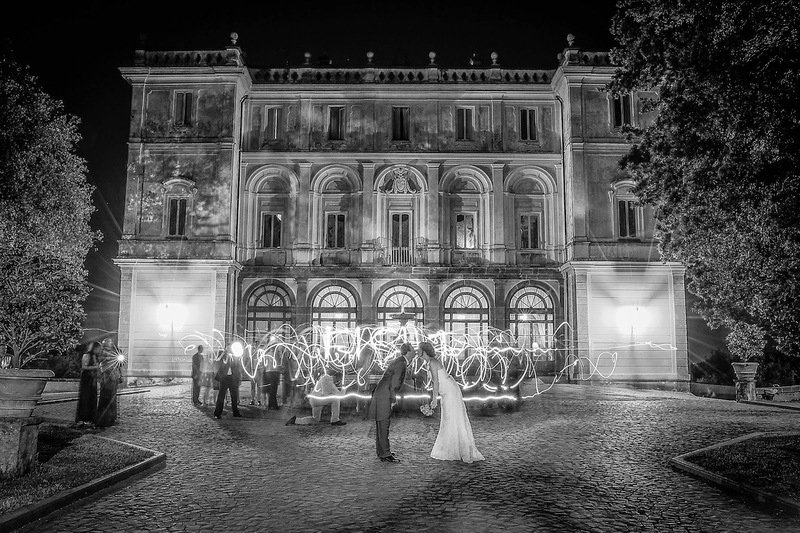 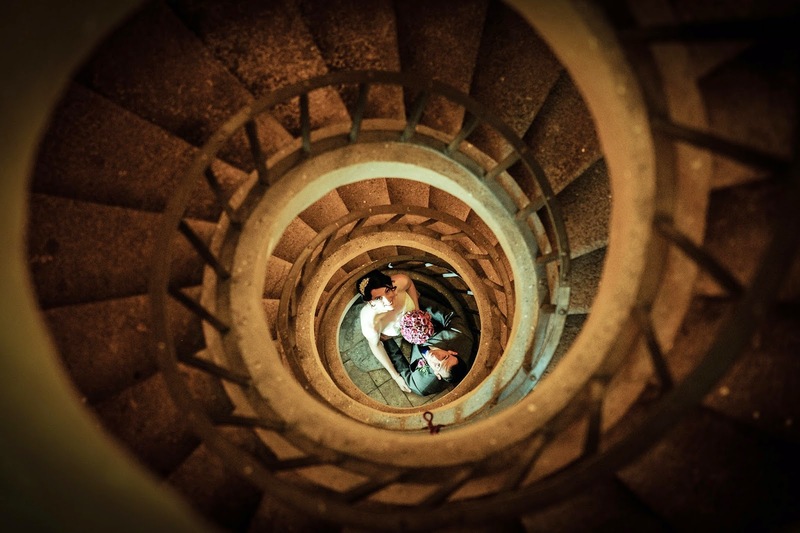 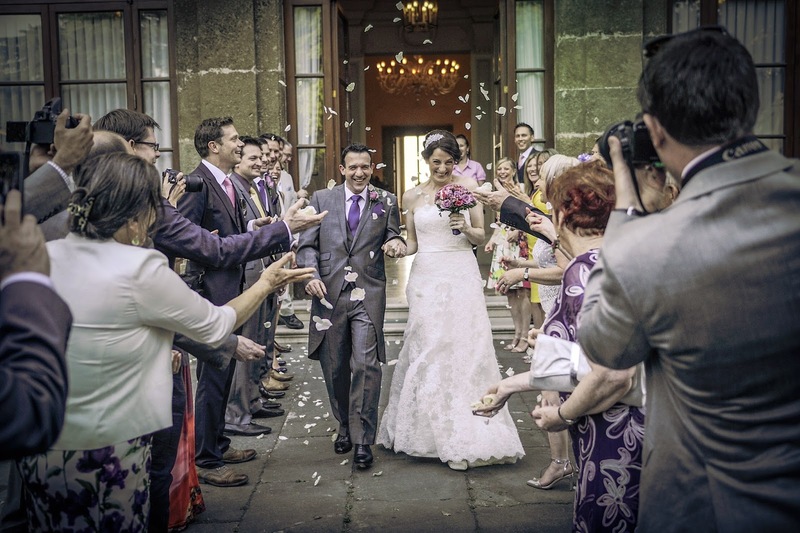 Giuseppe Laiolo has over 15 years of experience in the world of wedding photography. 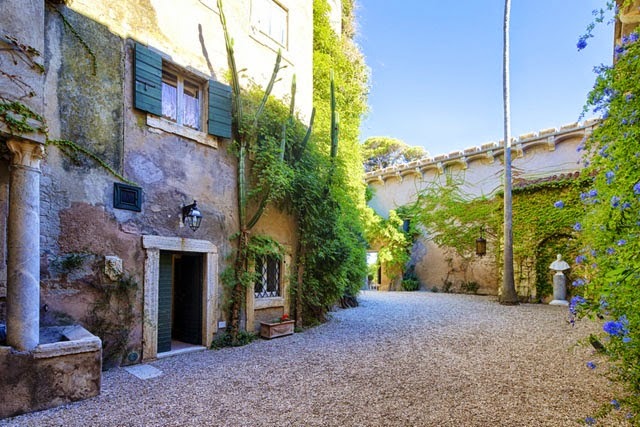 He studied in Milan and later on moved to Tuscany, where he has found the perfect landscapes and backdrops to frame his art. 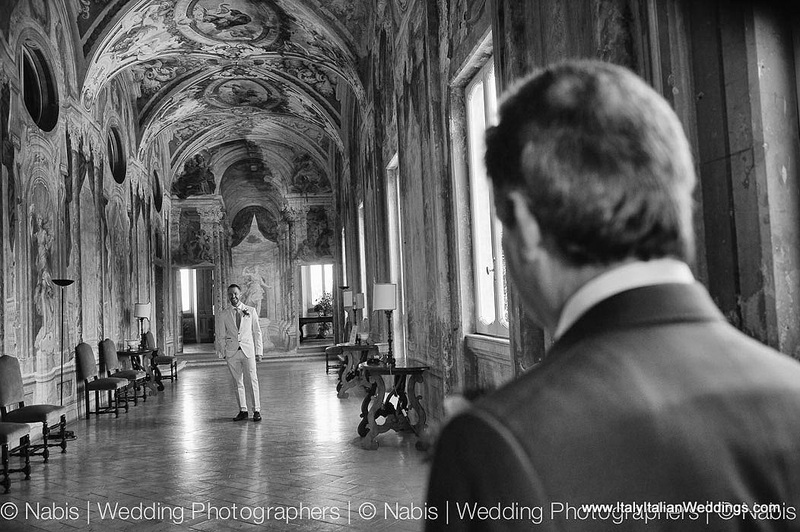 Ever since then, he has covered hundreds of weddings and other high profile events all over Italy. 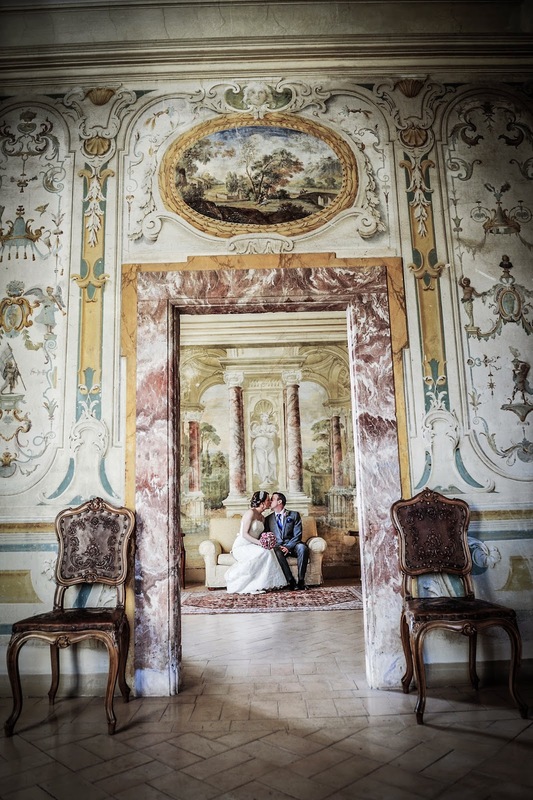 Giuseppe's work captures the unique essence of both a wedding event, and the unmatched natural and historical beauty of Italy. 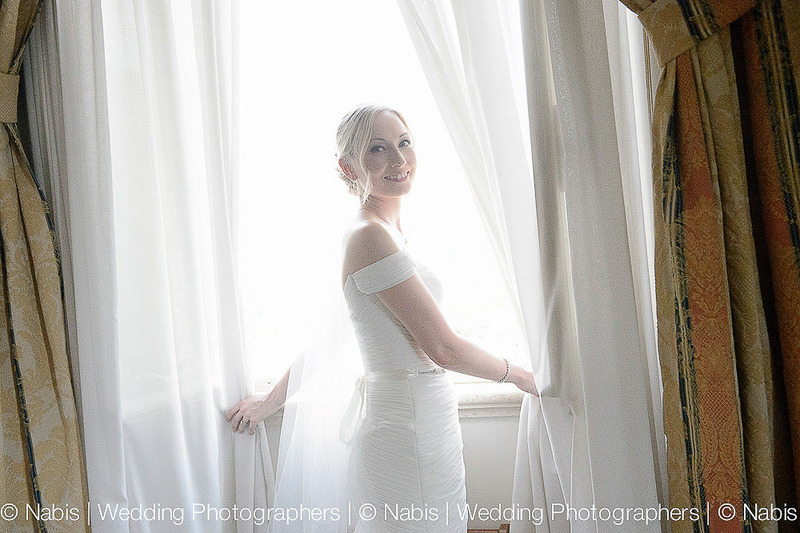 Sunbeams gracefully caressing the bride and groom and enhancing the brightness of a gorgeous wedding dress. The rolling hills of Tuscany blending with a splendid sky in the horizon, to set the ideal scenario. 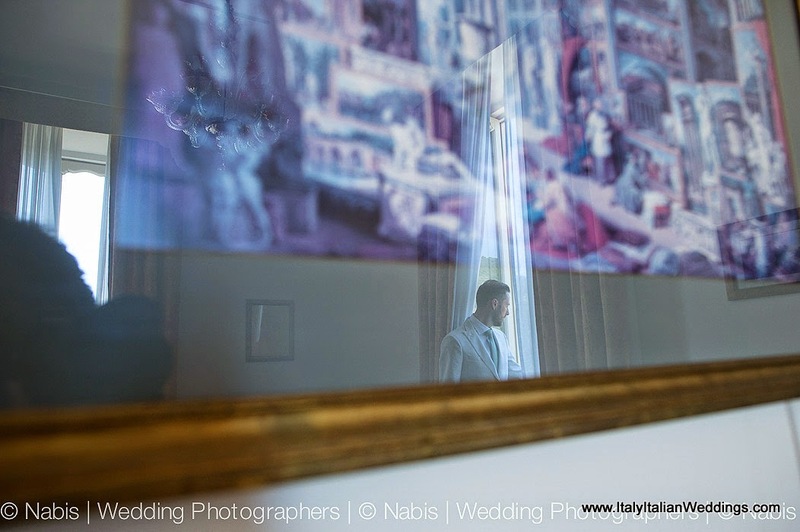 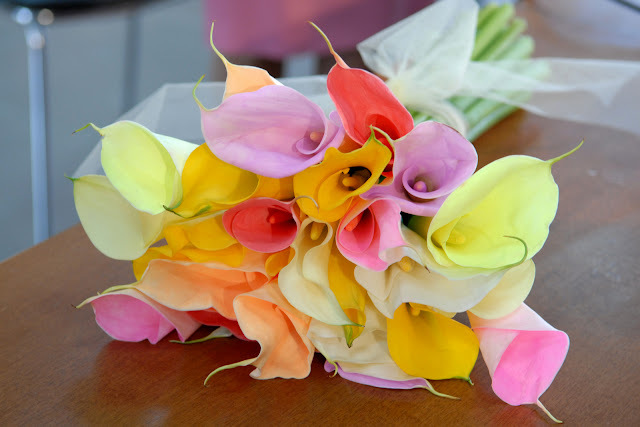 A perfect balance of contrast and an explosion of colors, all that represents the true spirit of a wedding in Italy. And Giuseppe won't miss a thing. All the spontaneous gestures, the smiles, the exchanged glances of complicity, the happy tears, the emotions of the wedding couple and their close ones, everything will be secured to be relived for ever. If you hire the photography services of Giuseppe Laiolo for your destination wedding in Italy, you will not get an album with photos, you will get a story in pictures, narrated with the impeccable style of a professional, following its natural course and composed by main subjects and all those little details that hide from the attention of most. 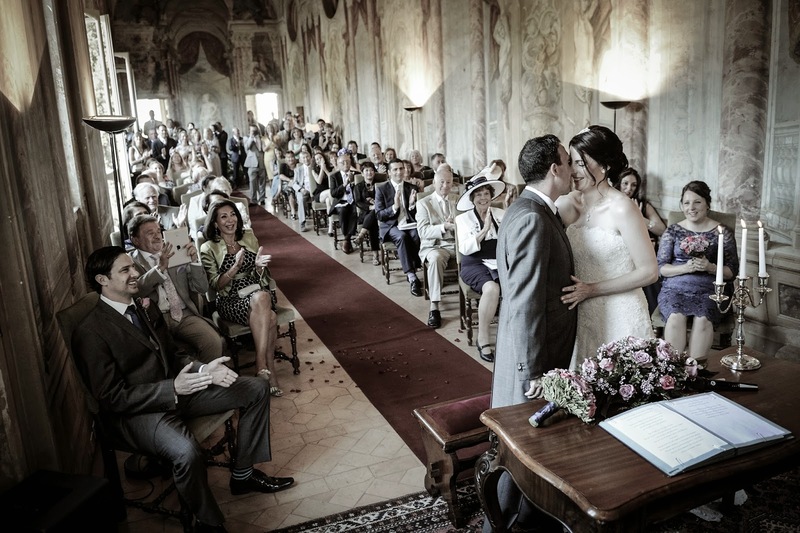 And because when it comes to wedding photography, a single picture is worth a thousand words, we have handpicked examples of his work to share with you, and kindly invite you to review his profile on our website, and a full wedding story by Giuseppe Laiolo! 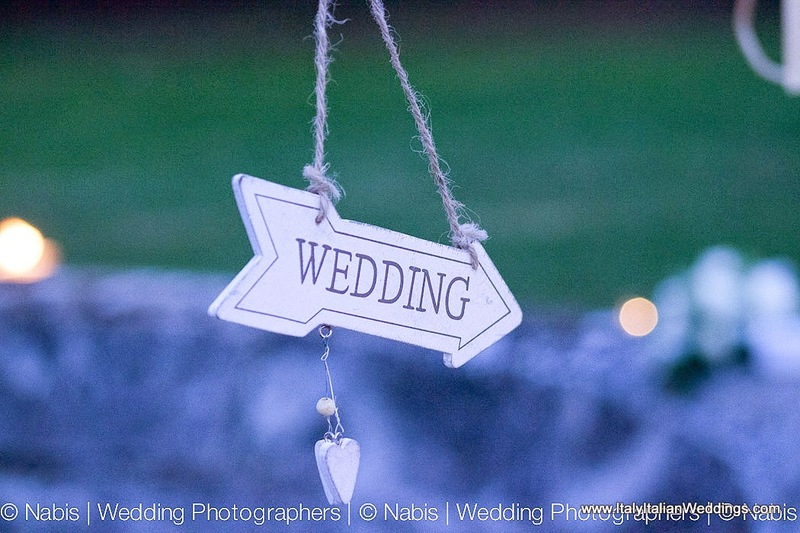 Don't miss it out! 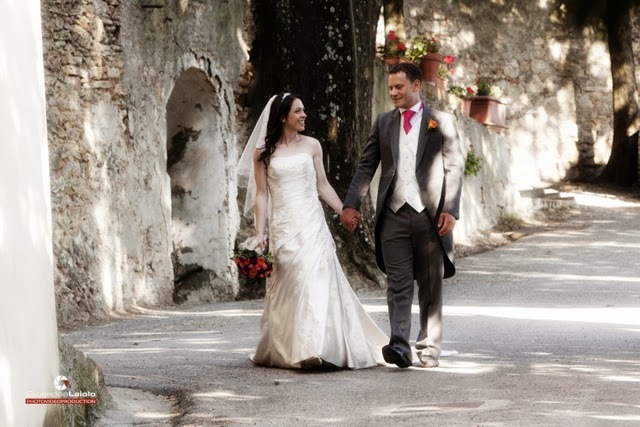 Giuseppe is available to work in Tuscany, Lazio and the whole of Italy. 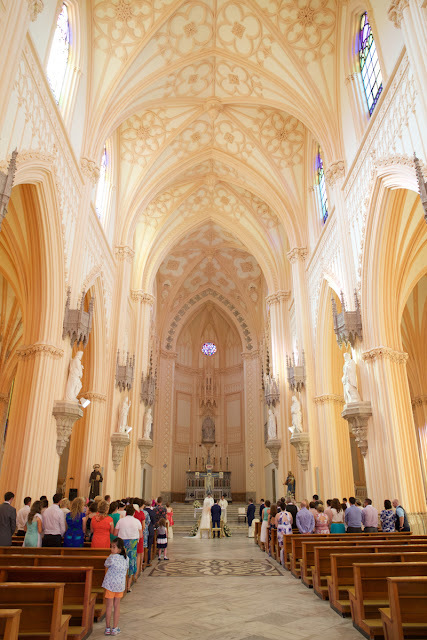 Do not hesitate to contact our prestigious wedding planner, Daniela Castellarin, to request more information.